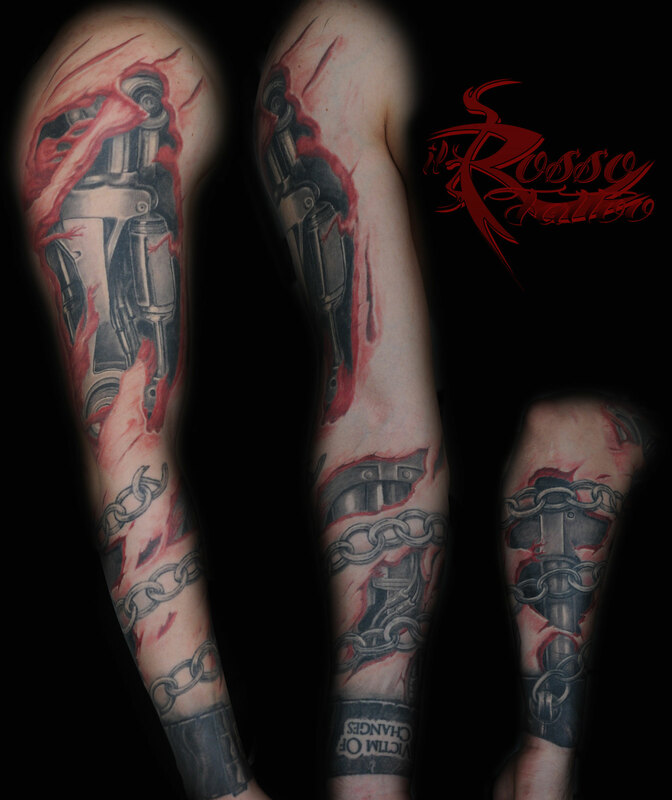 Ferrari Marco or as everyone calls me “Rosso”. 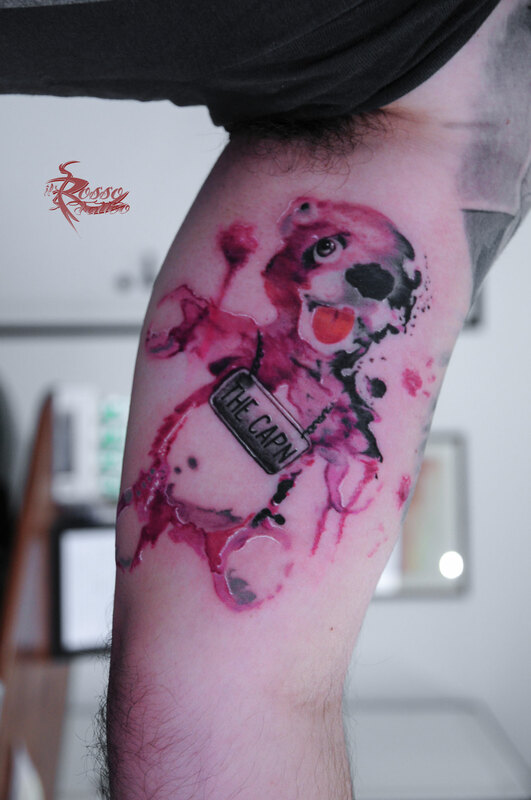 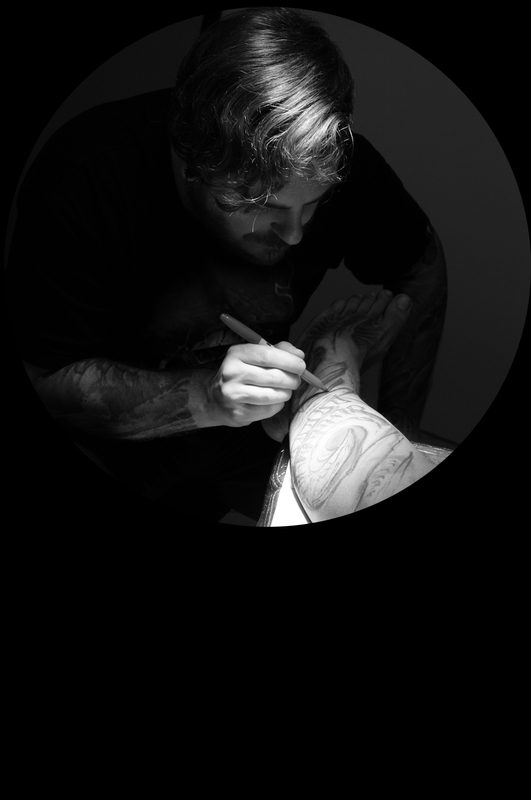 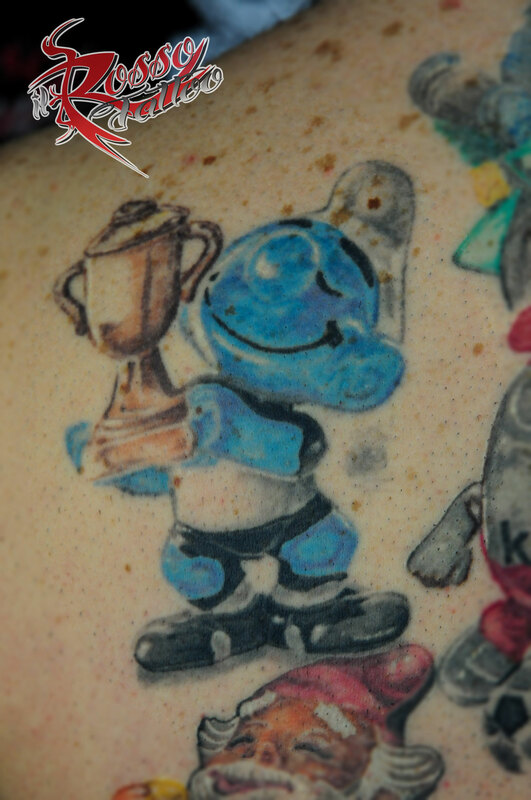 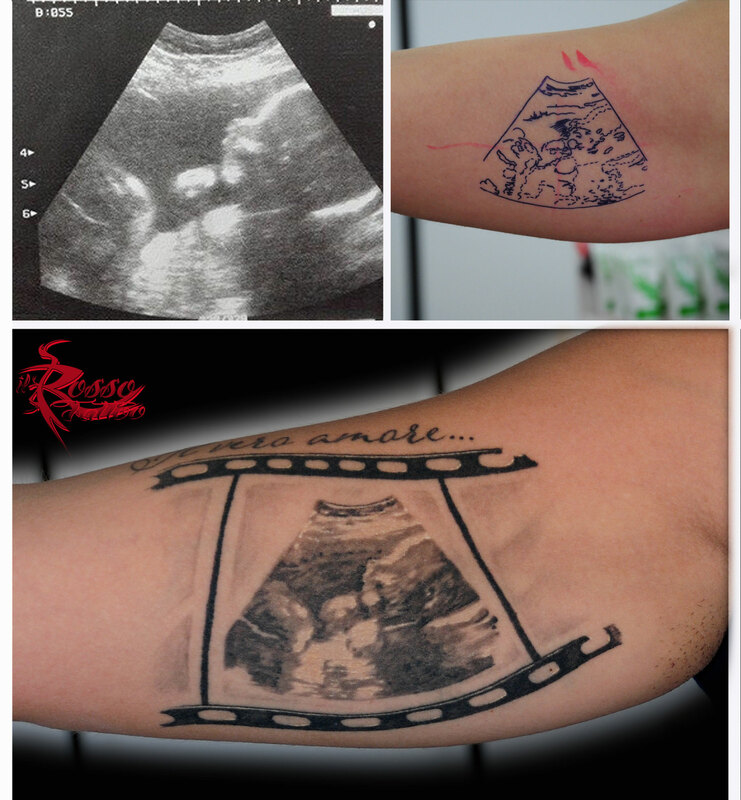 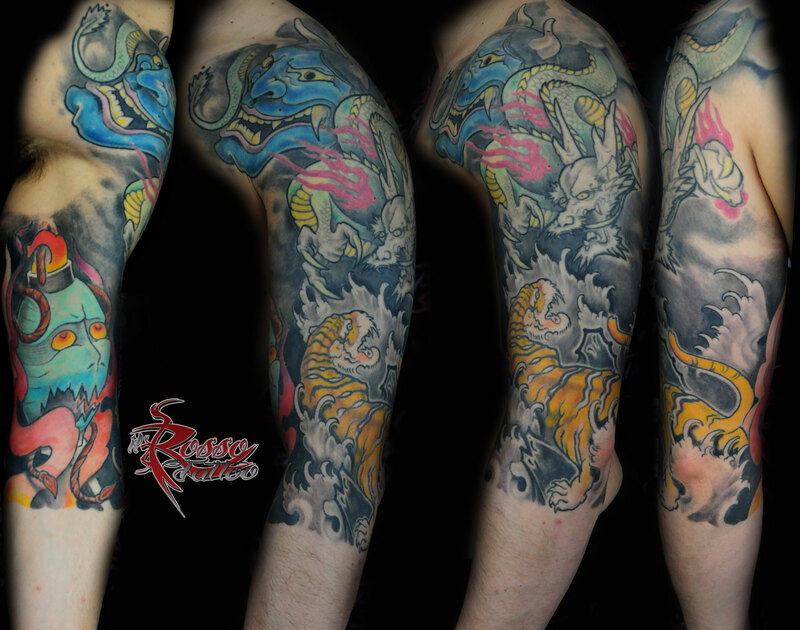 I was born in September 1979 and my adventure in the tattoo world began as self-taught, in 2000, a bit ‘for fun, a bit for curiosity. 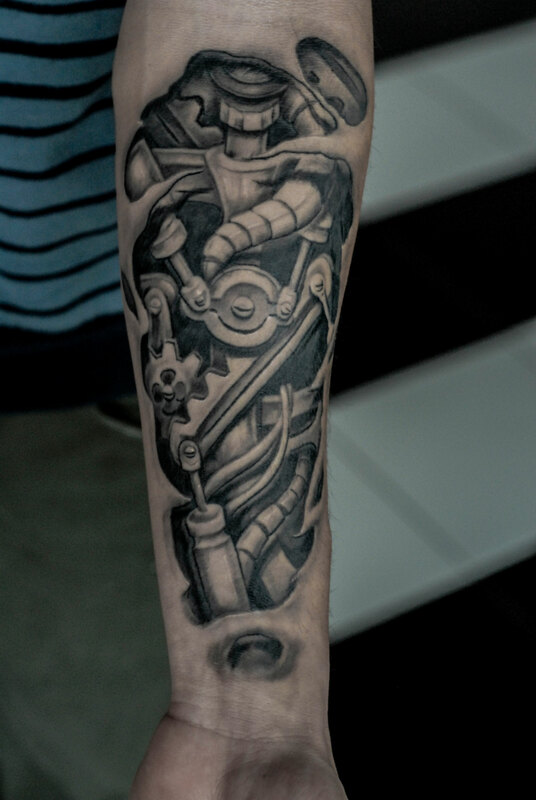 In the years of compulsory education i attended the technical institute that didn’t help my artistic training but the dedication and perseverance improve and finally I found in this art a way to express myself. 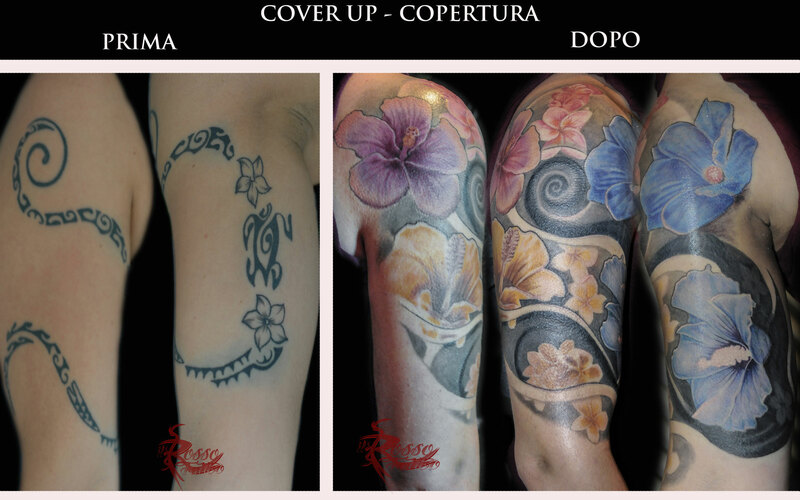 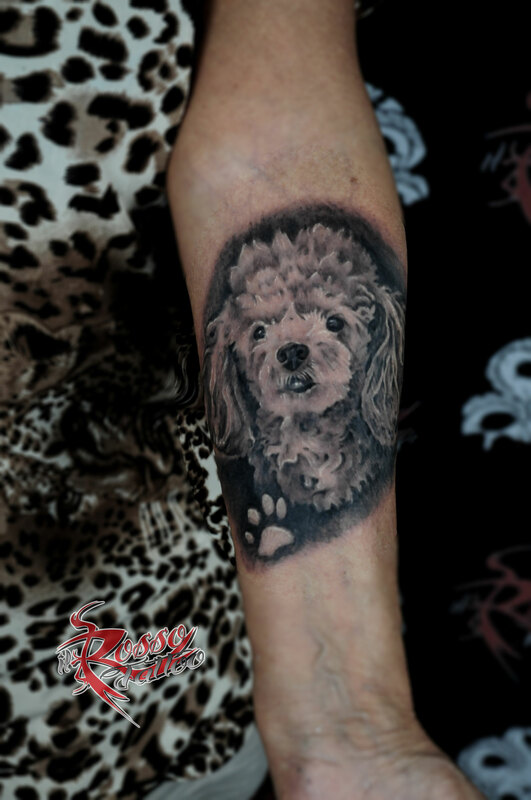 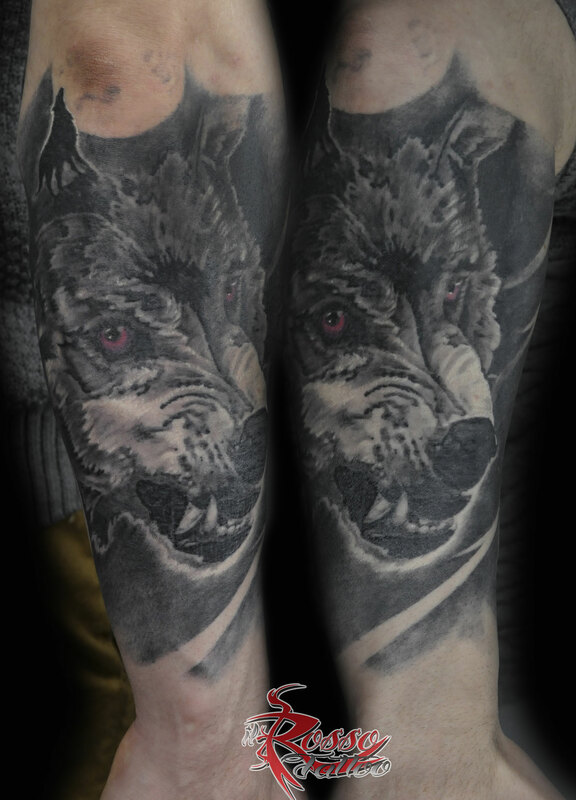 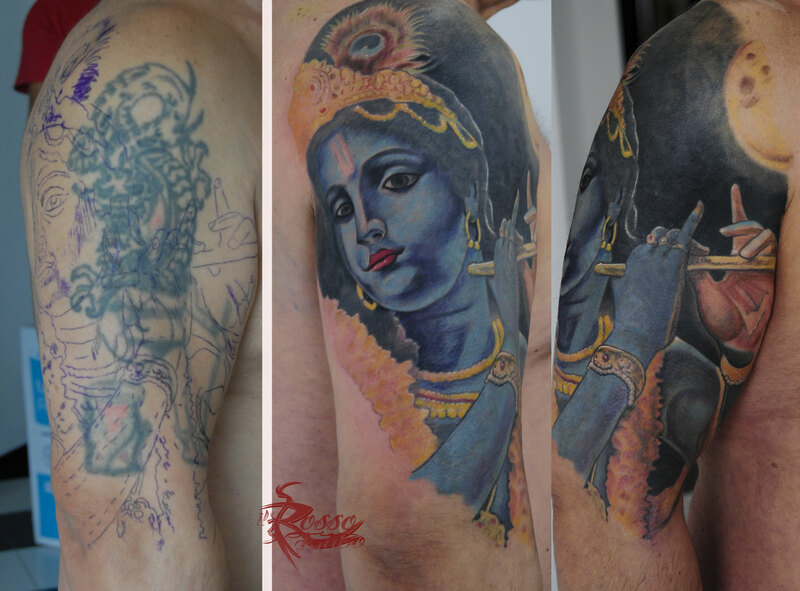 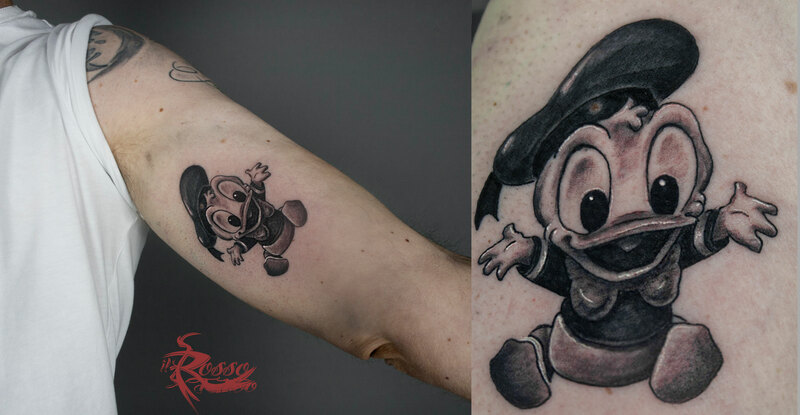 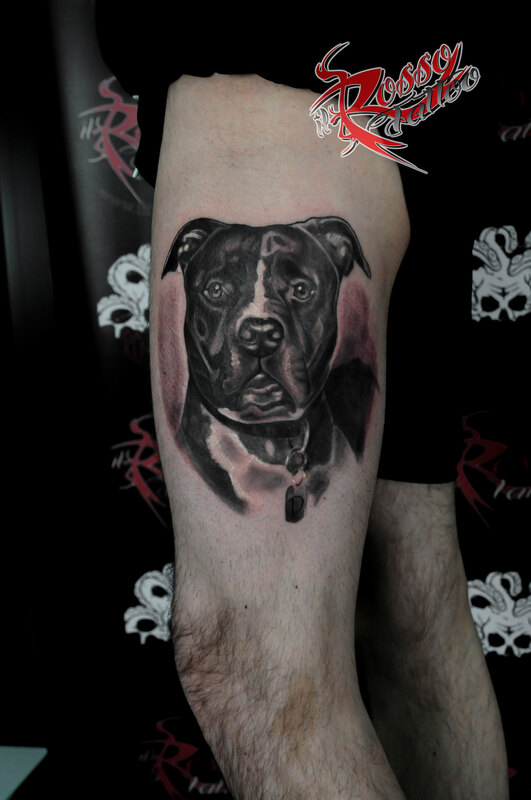 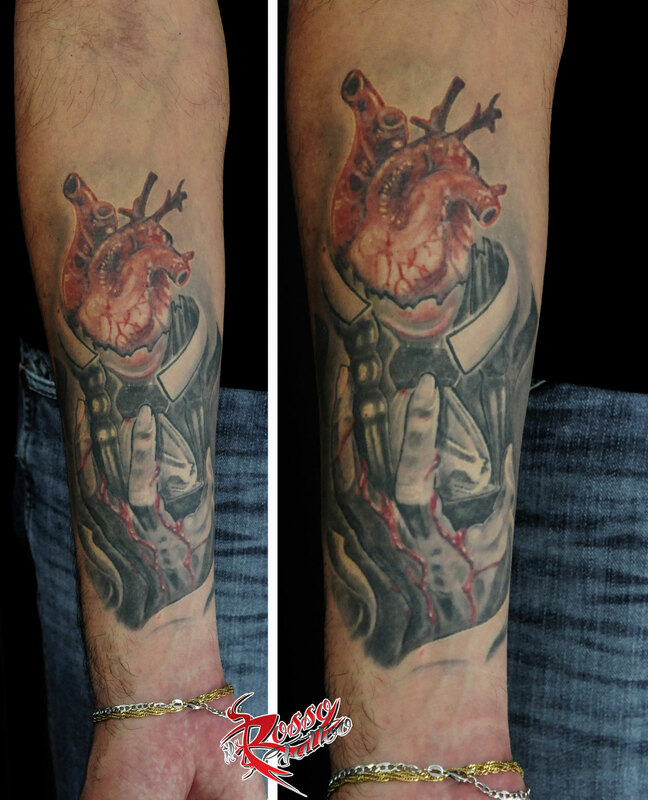 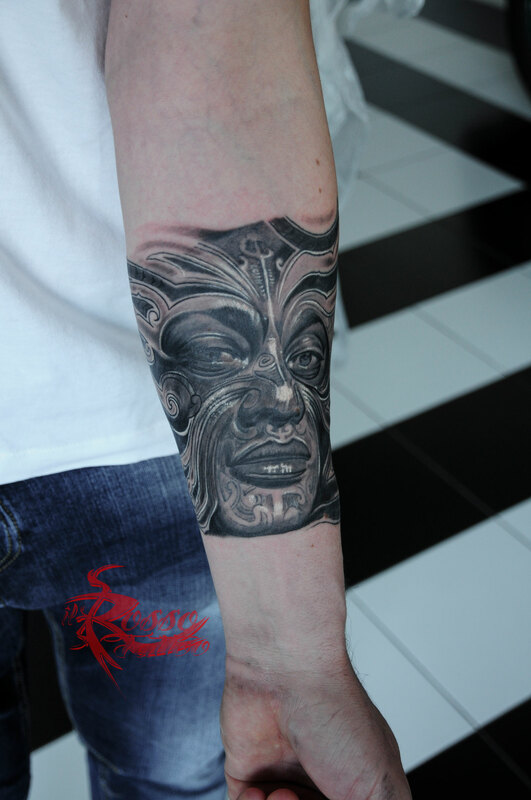 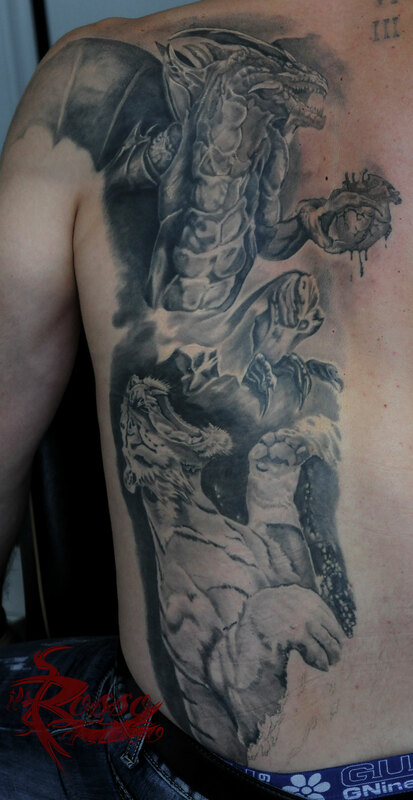 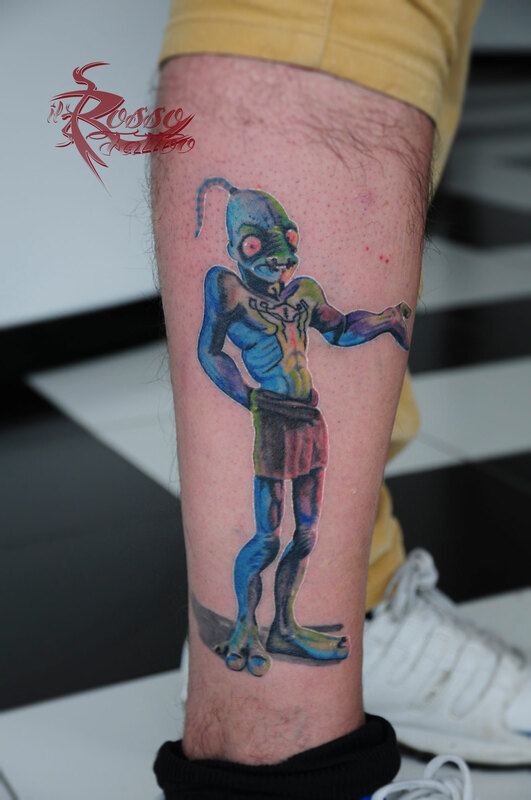 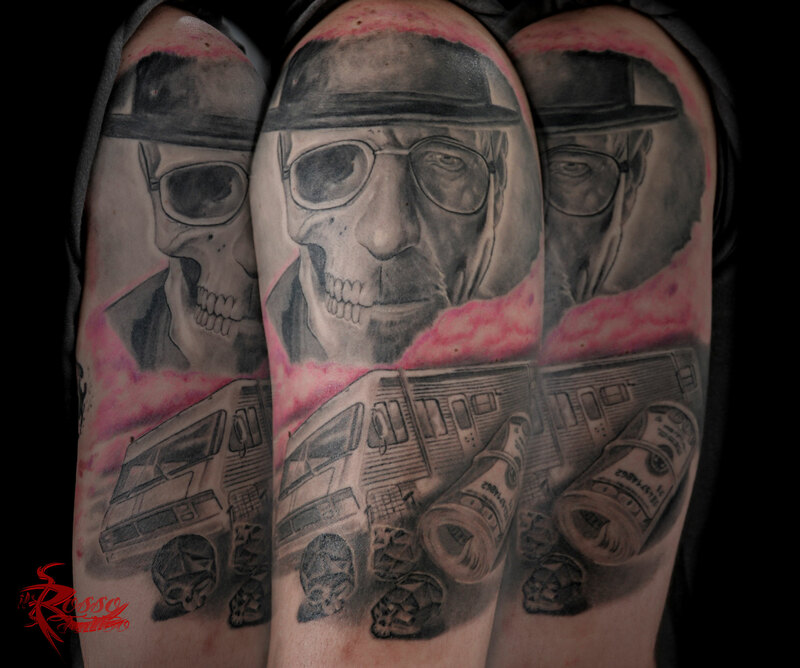 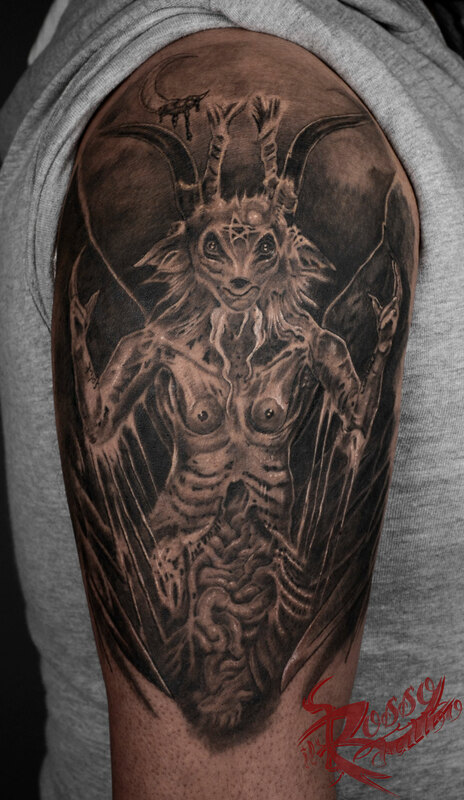 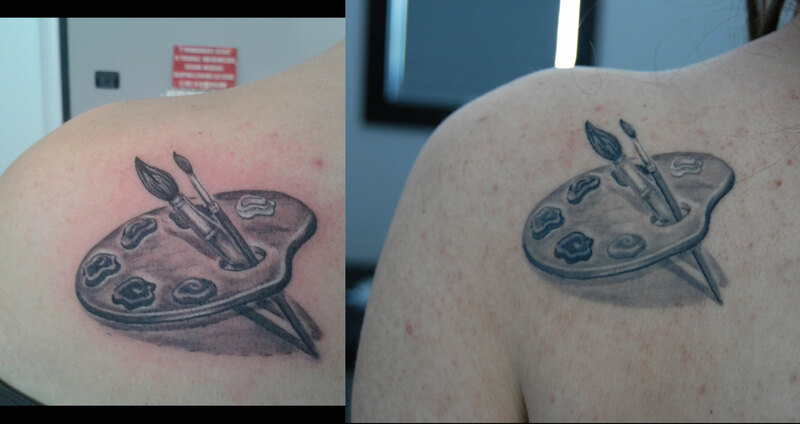 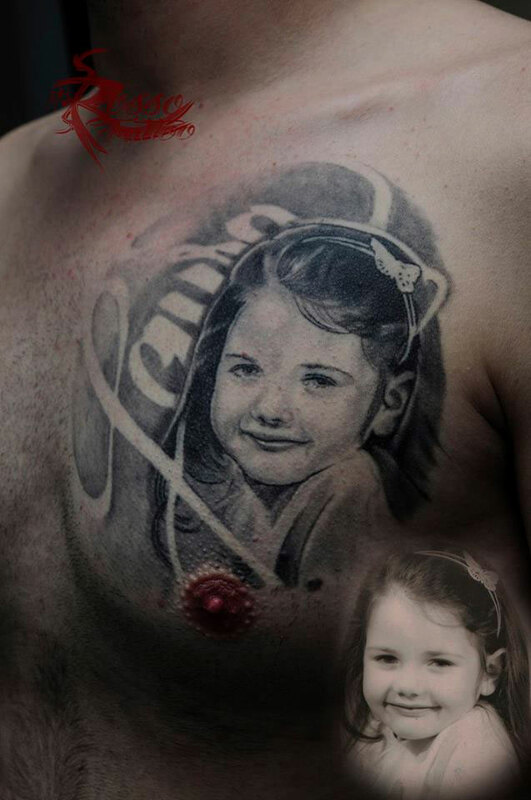 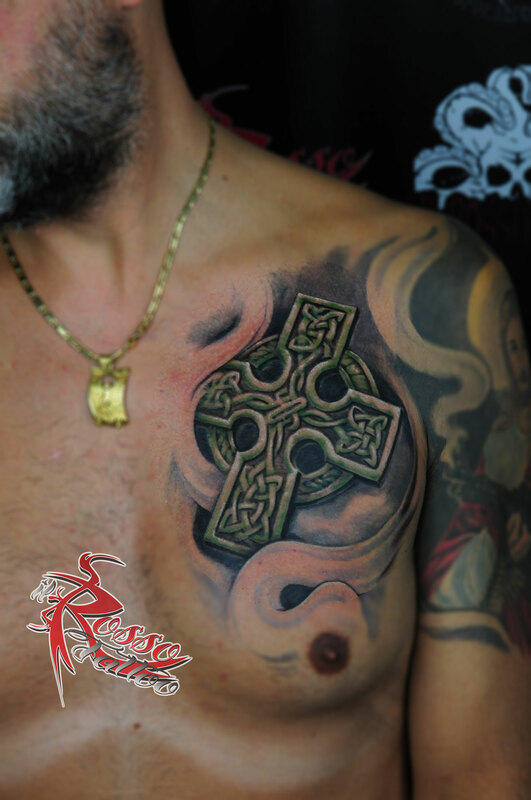 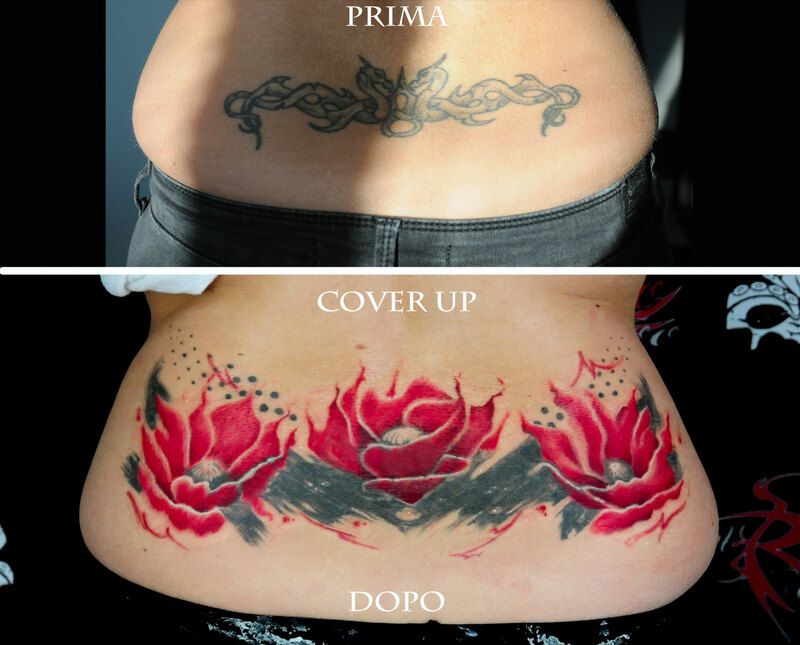 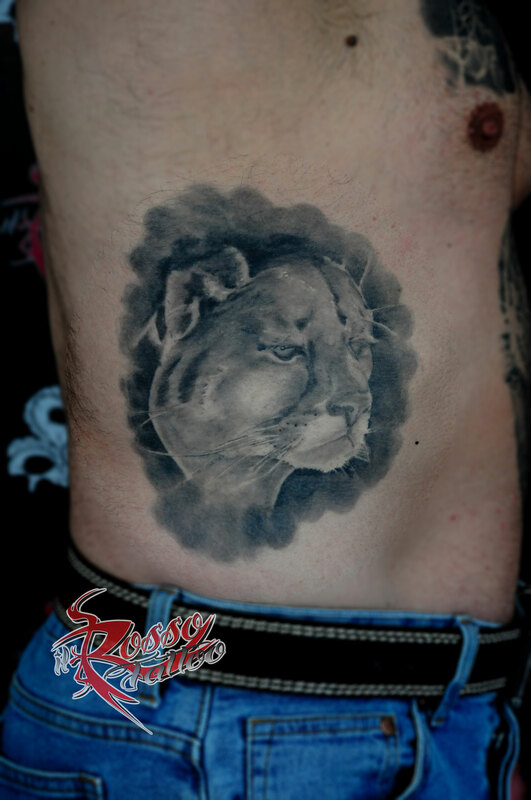 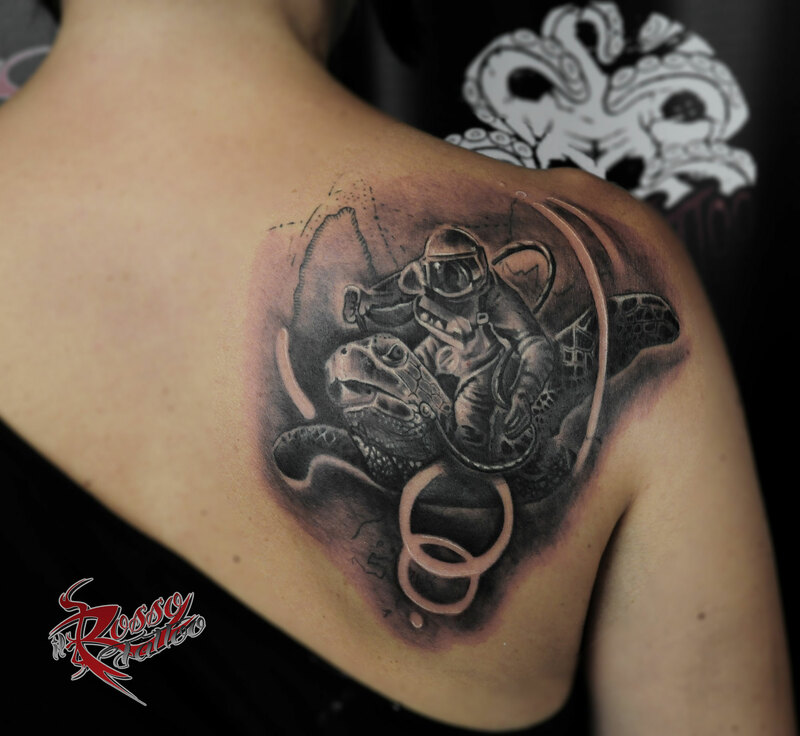 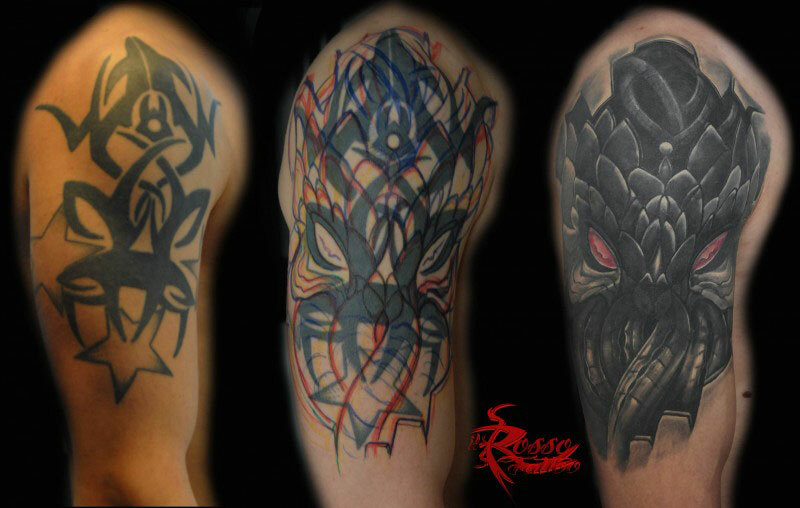 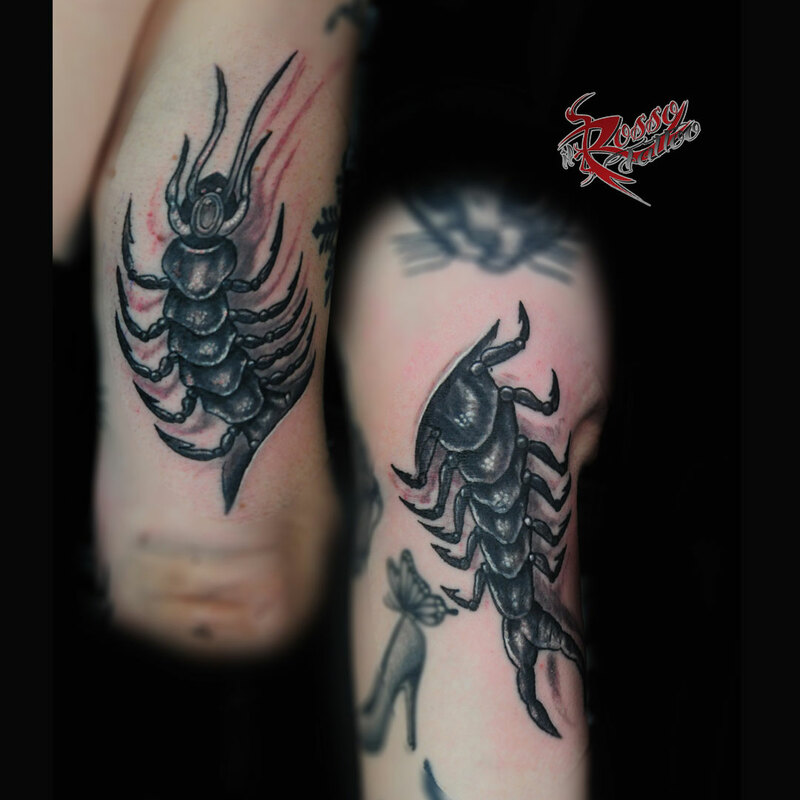 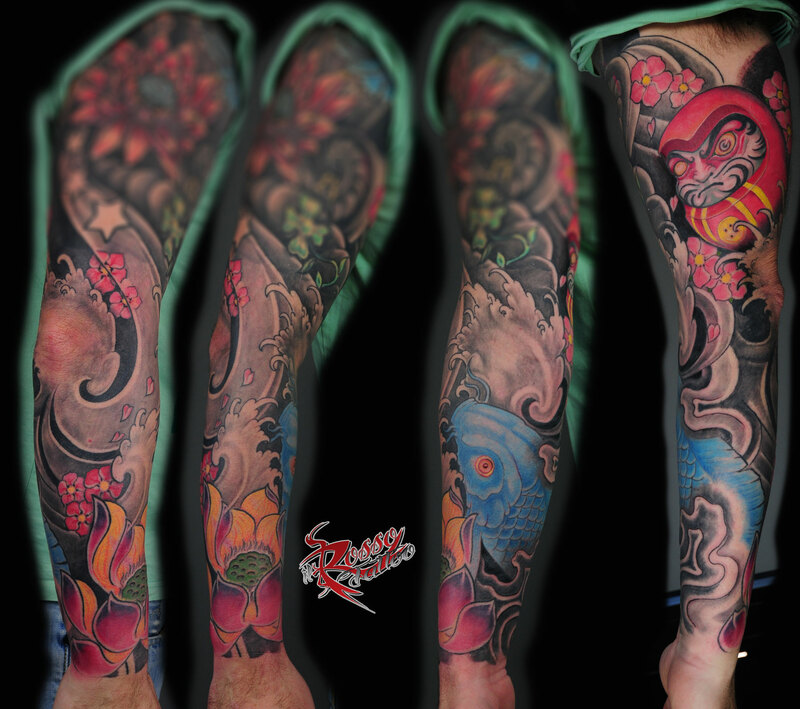 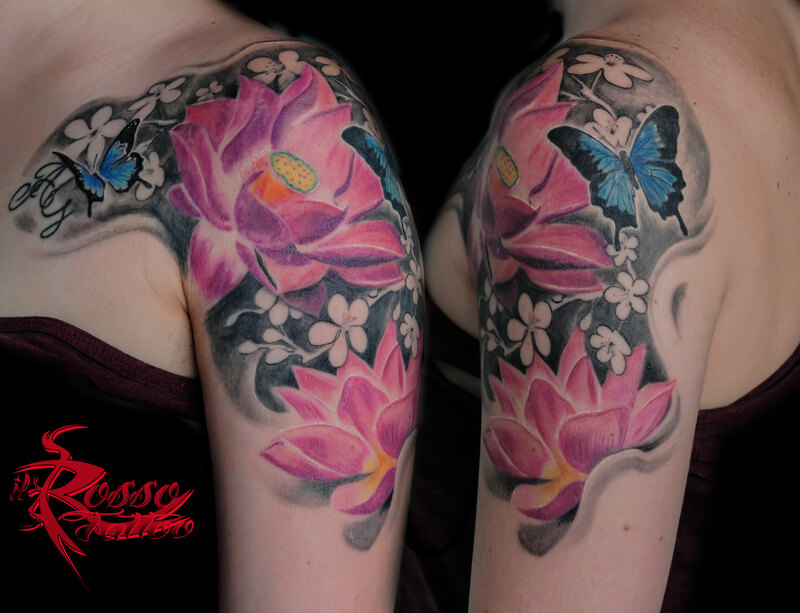 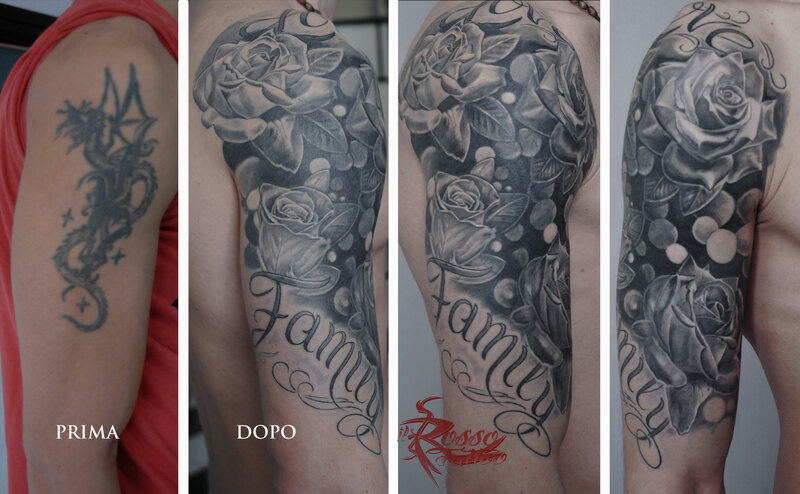 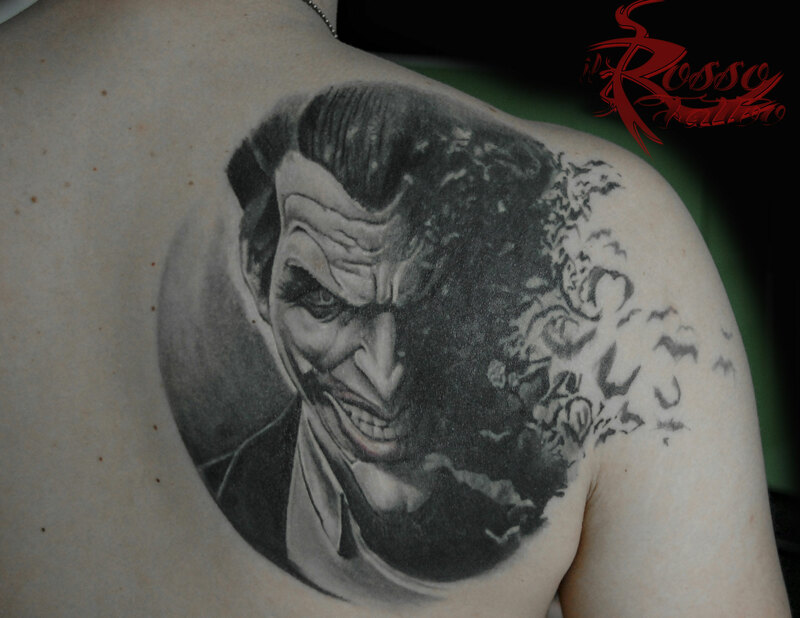 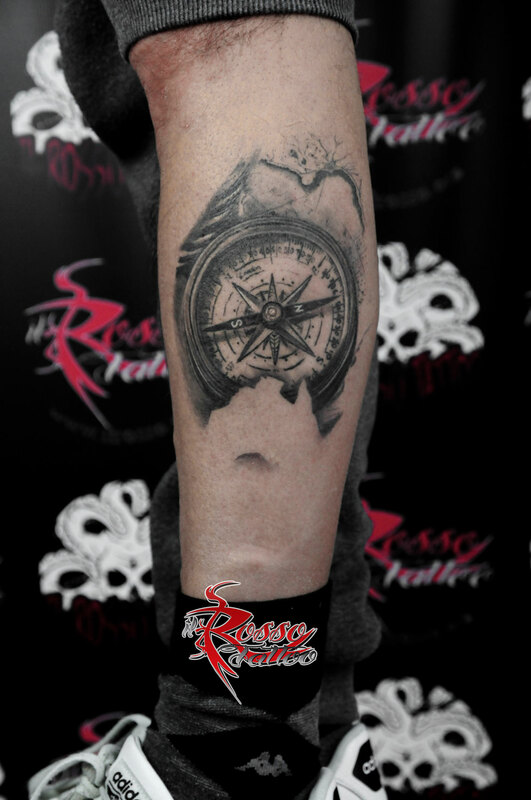 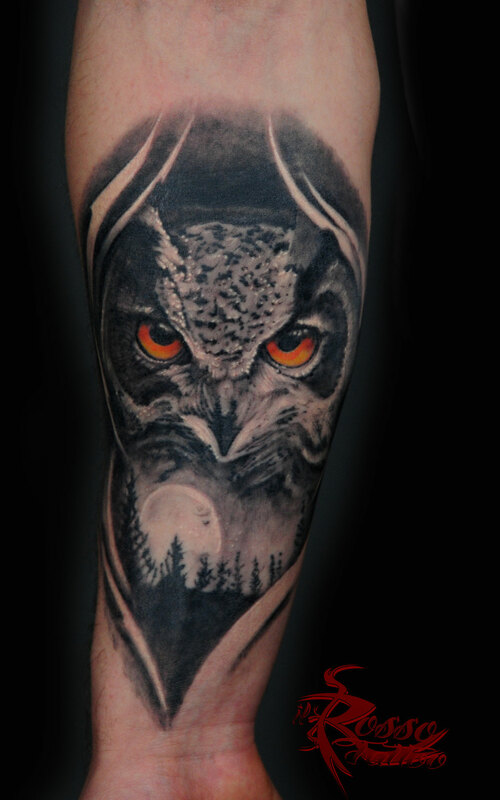 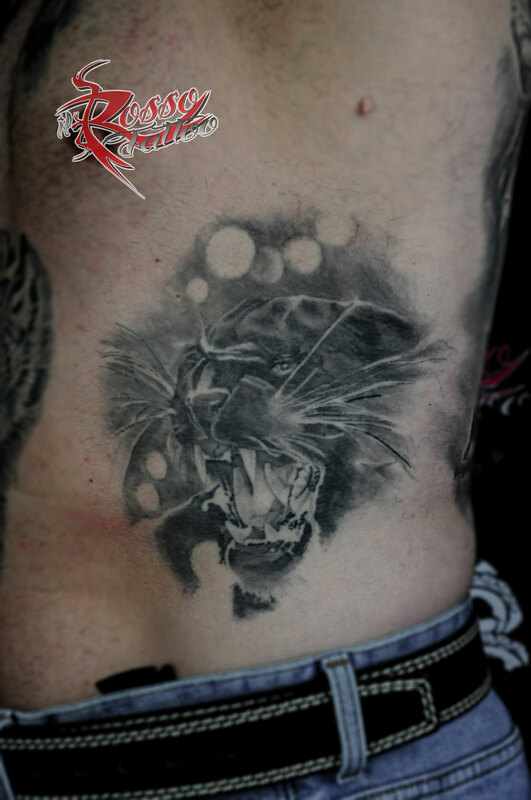 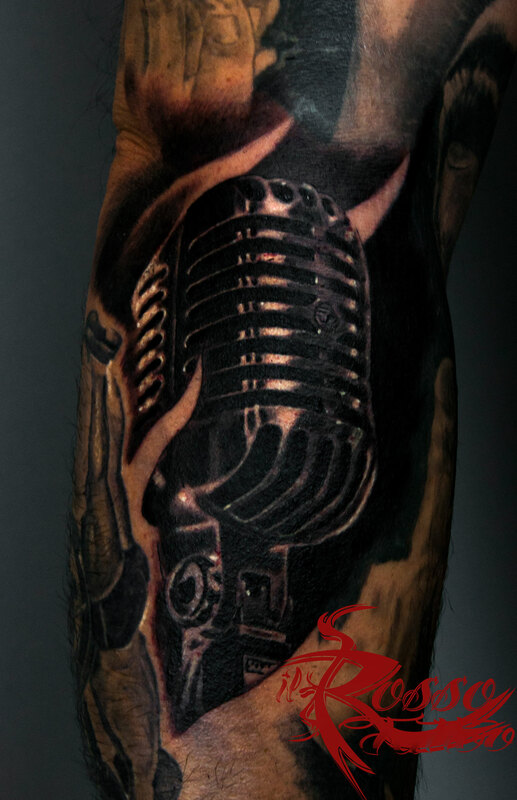 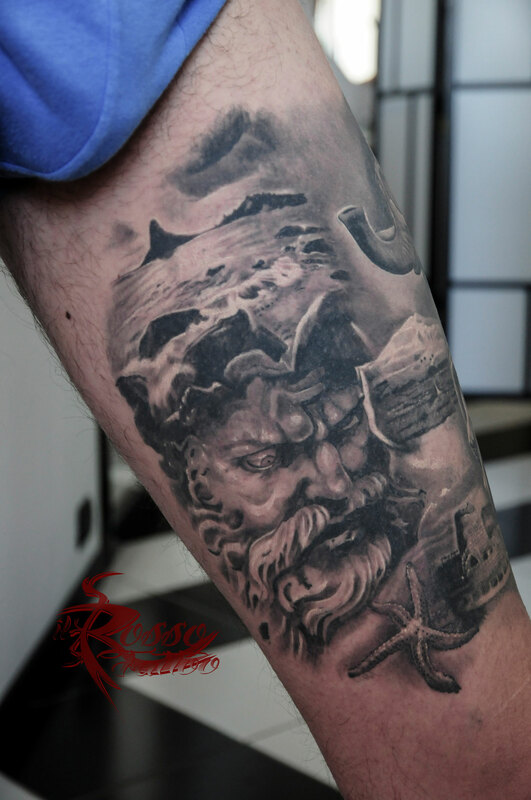 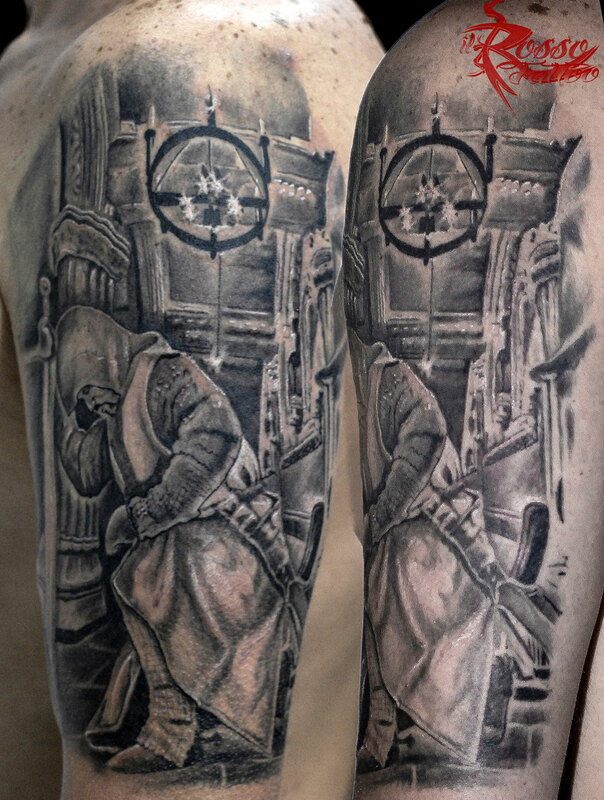 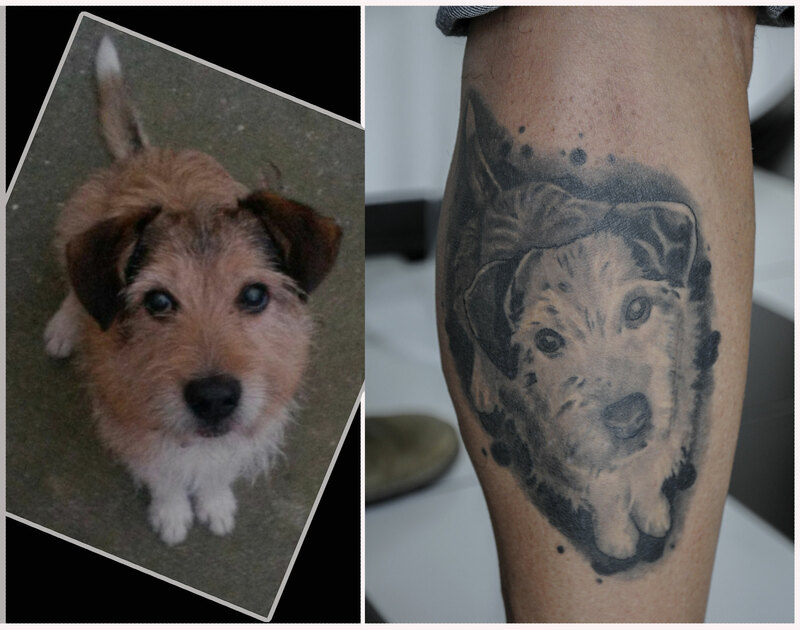 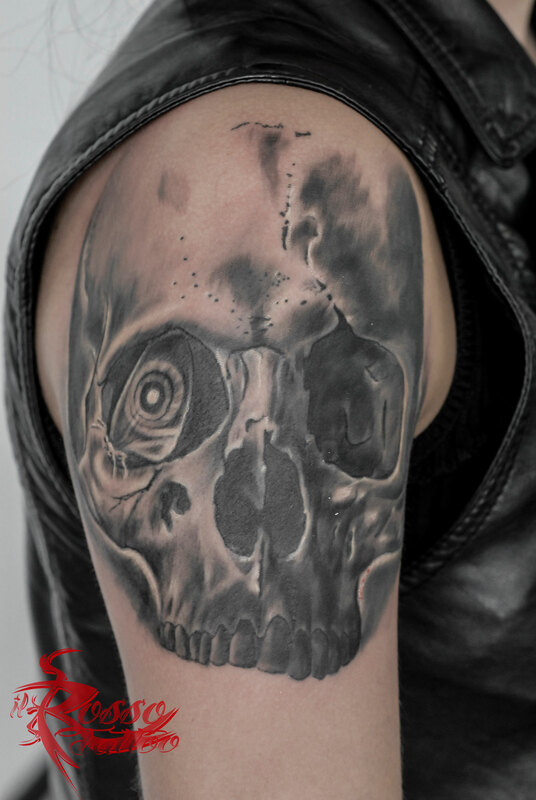 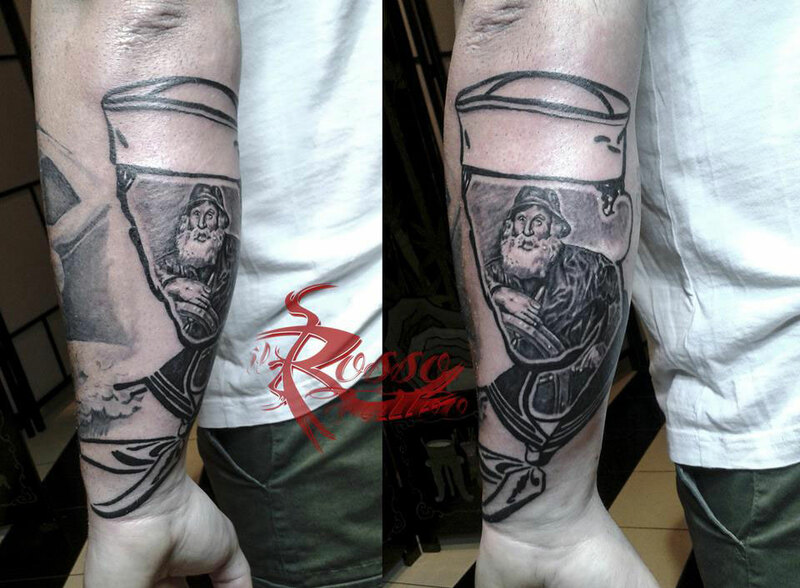 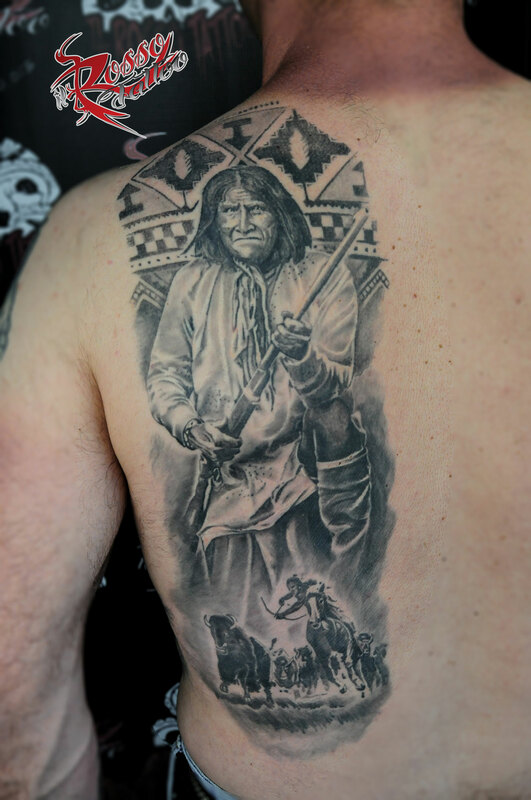 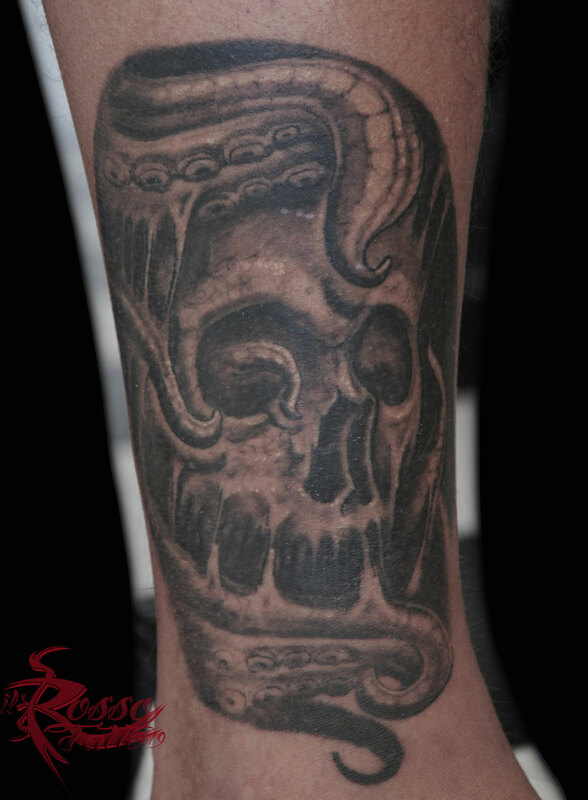 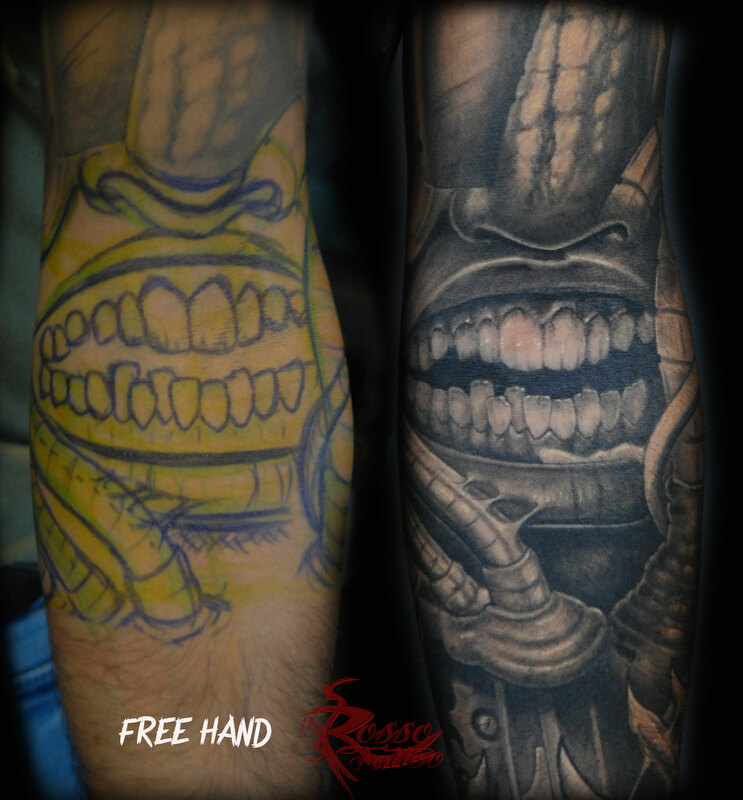 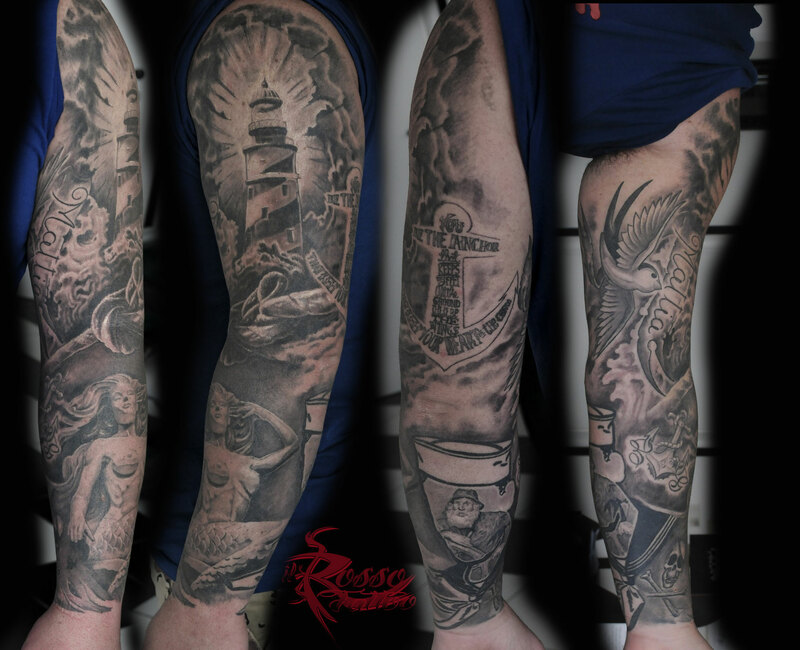 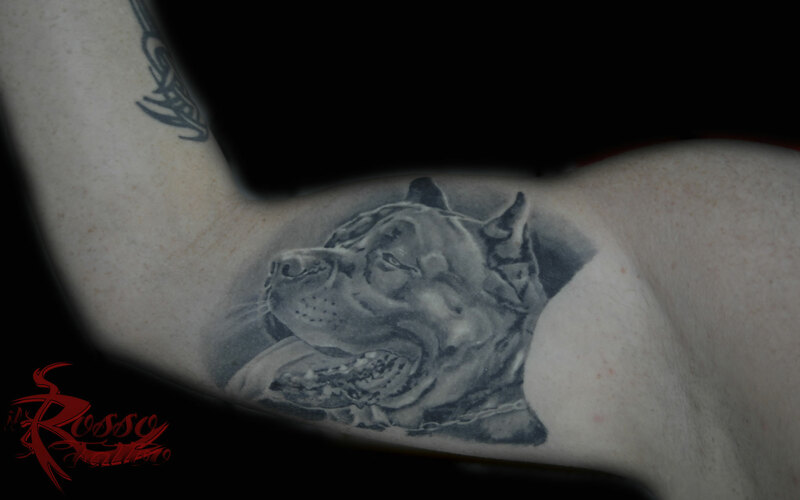 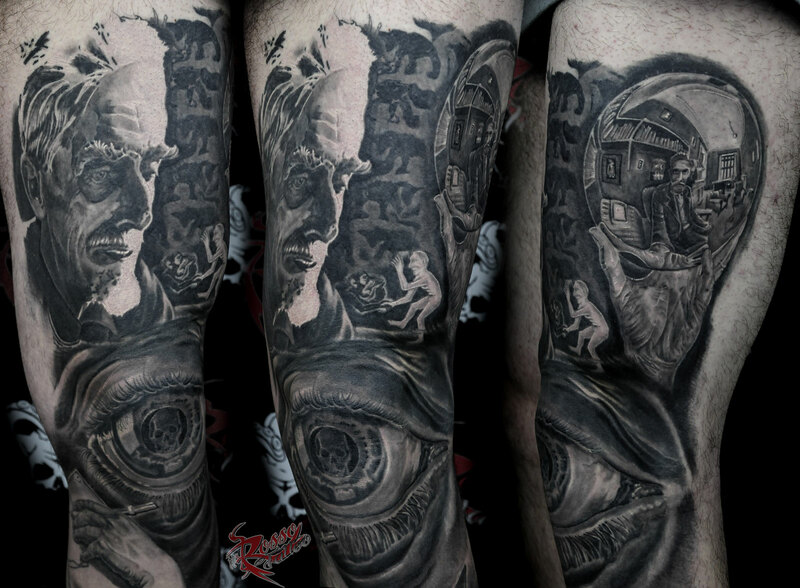 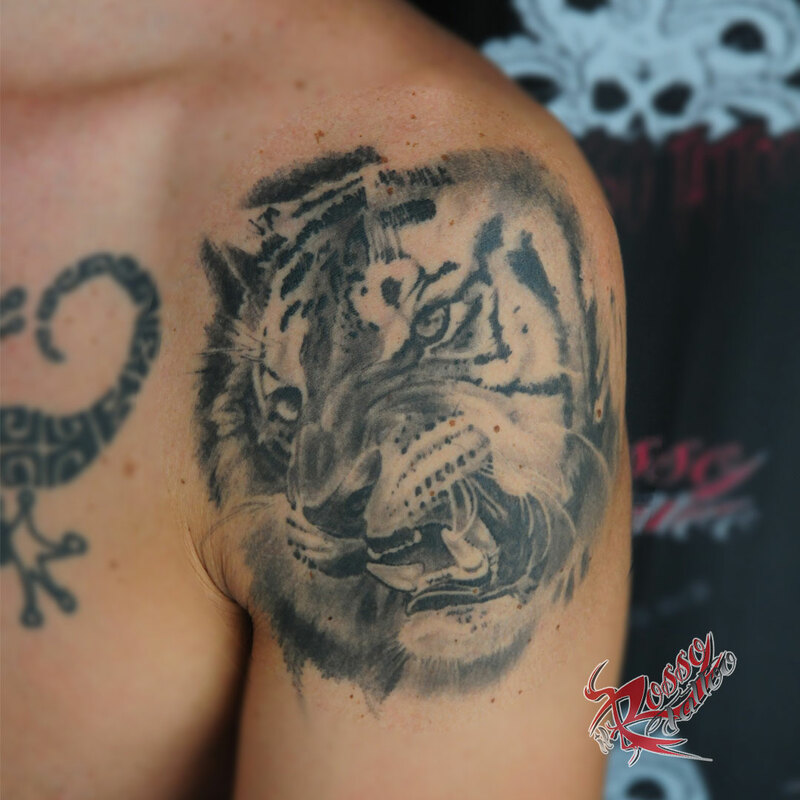 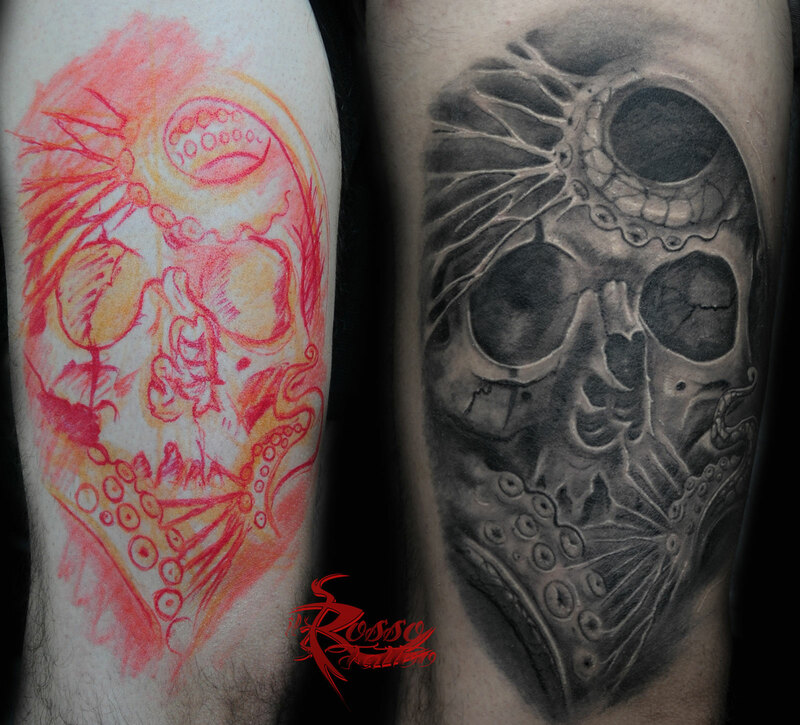 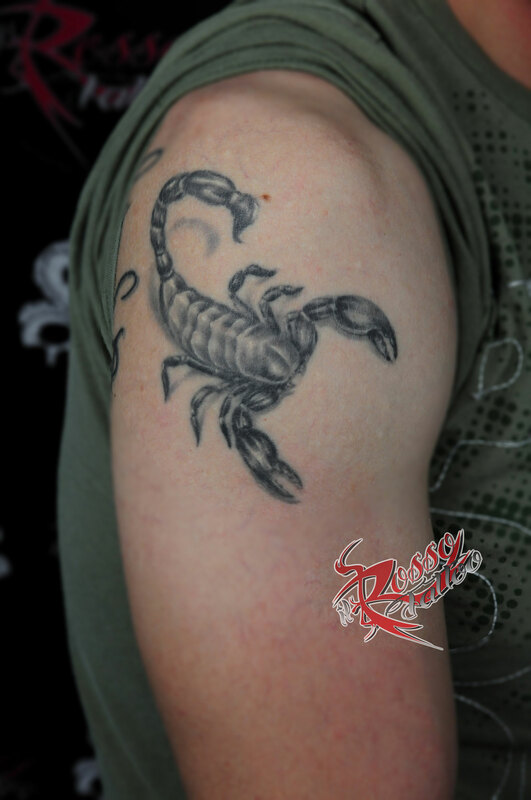 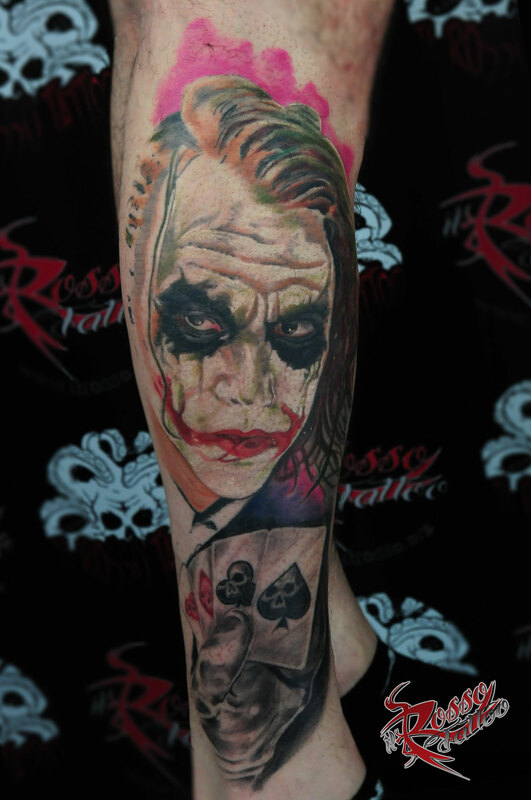 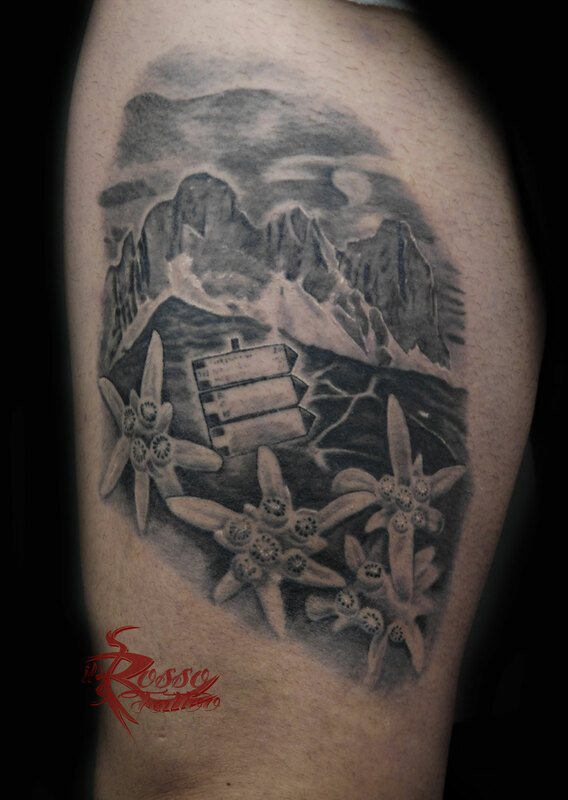 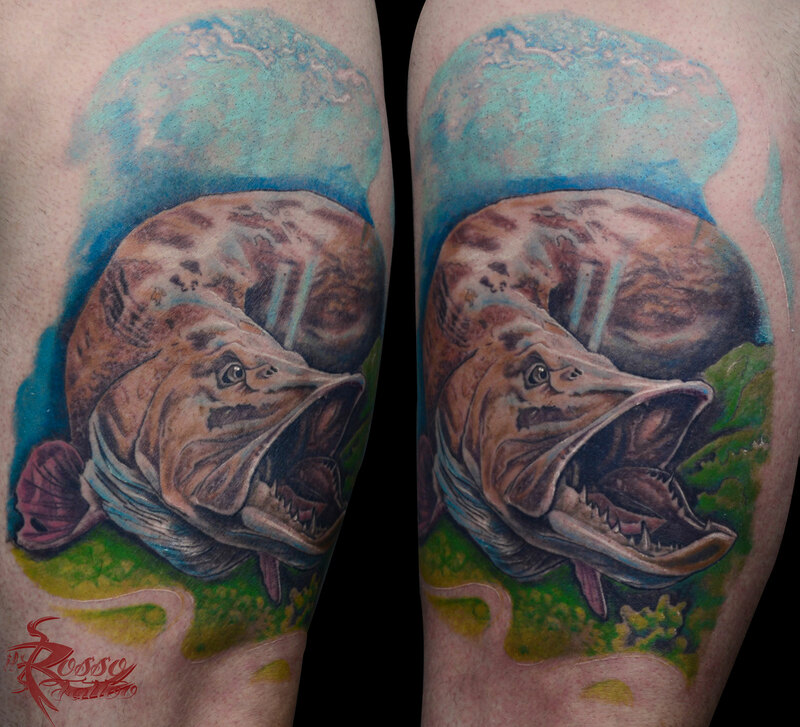 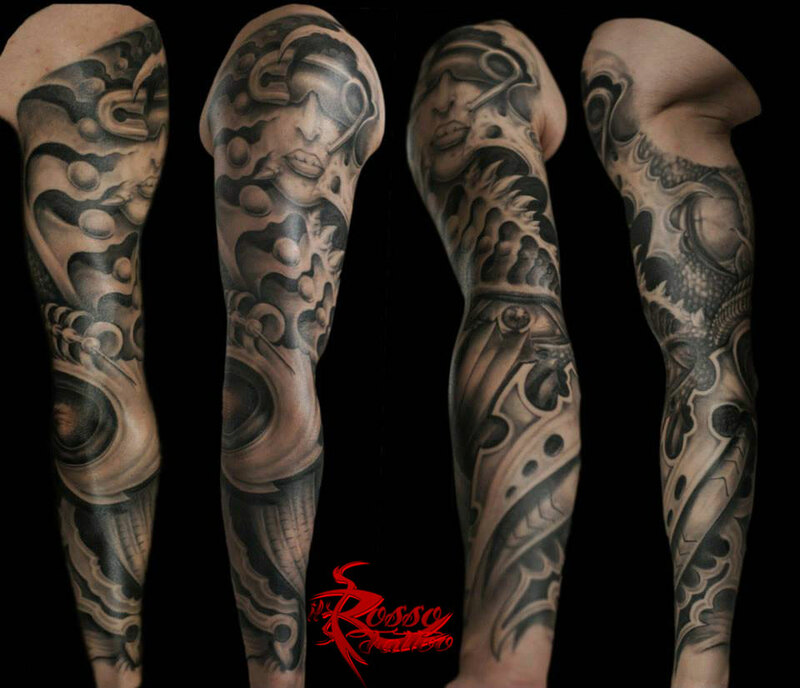 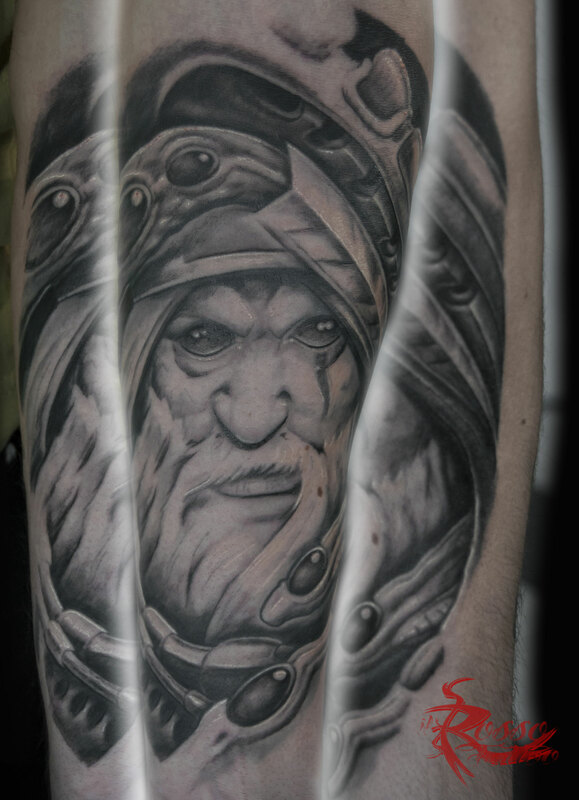 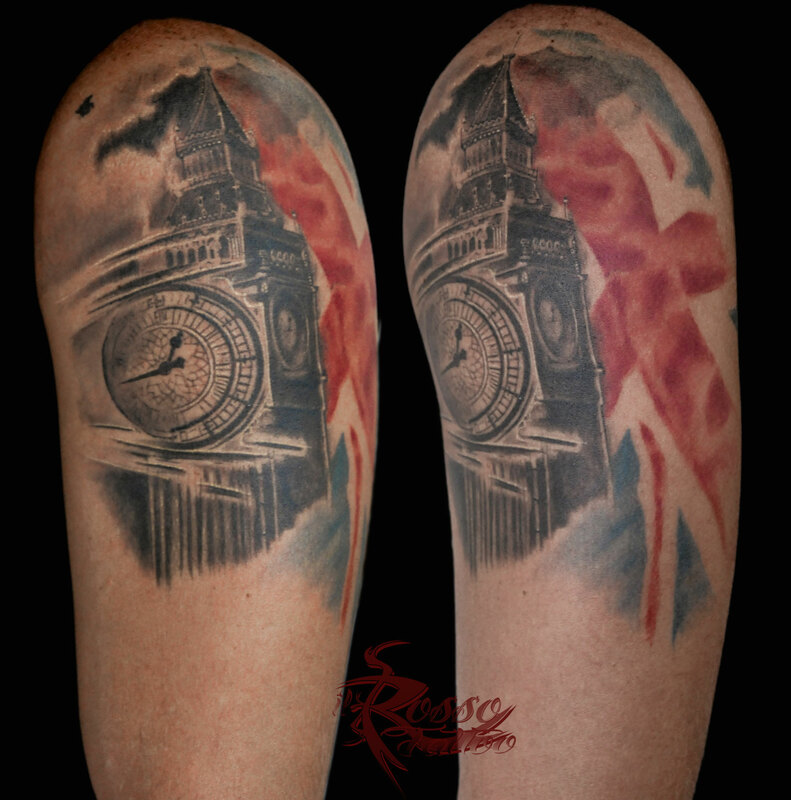 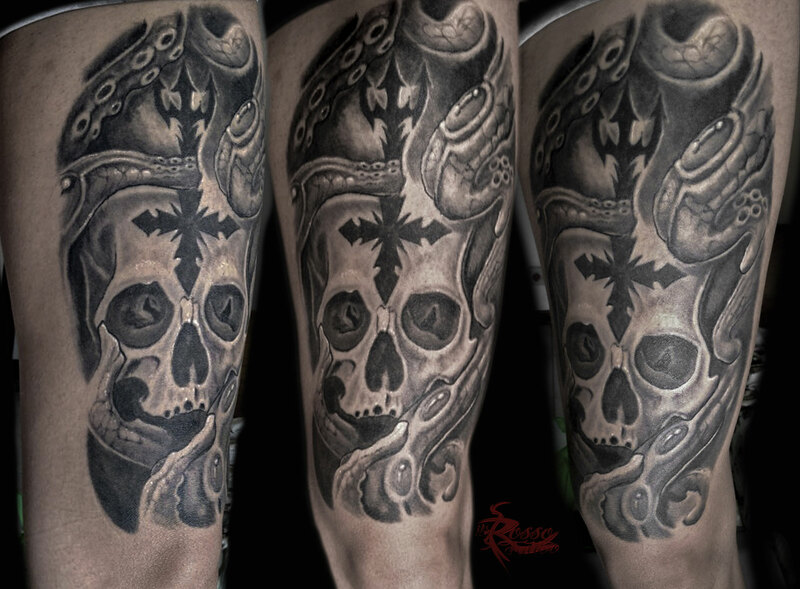 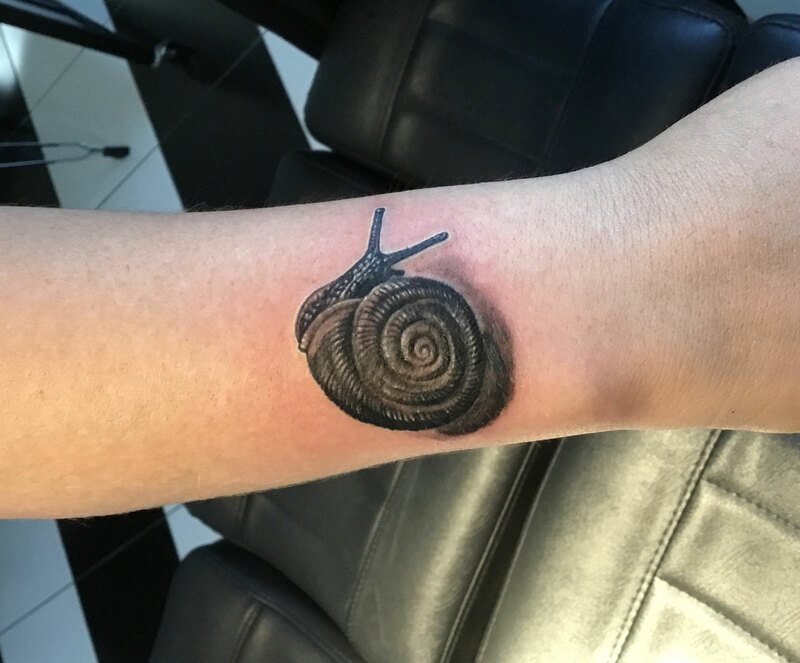 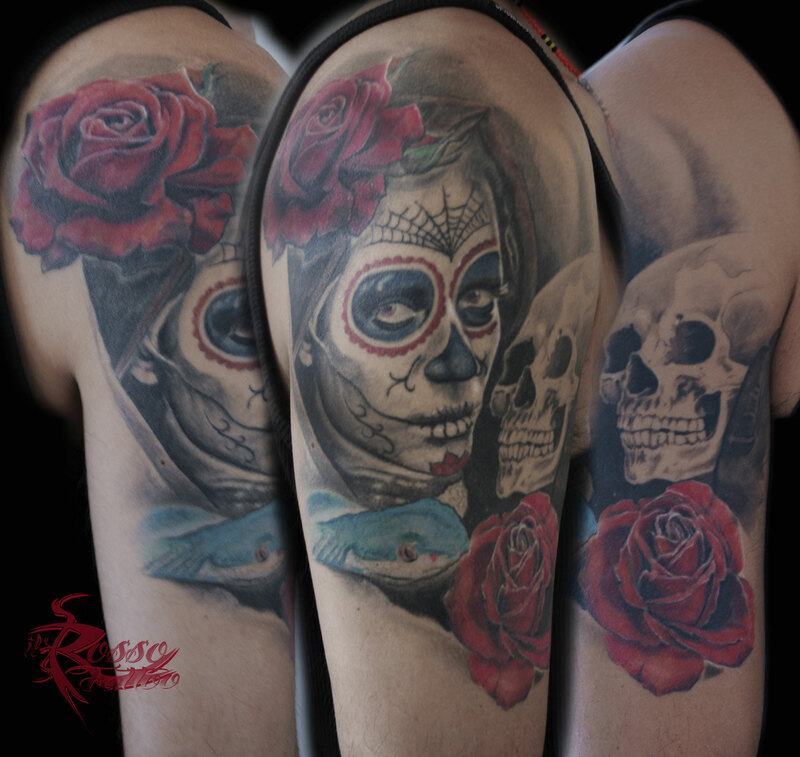 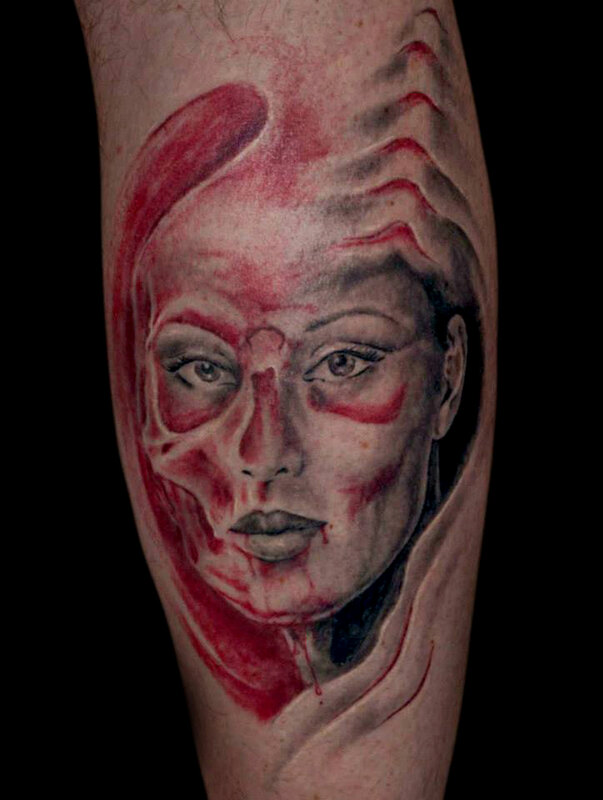 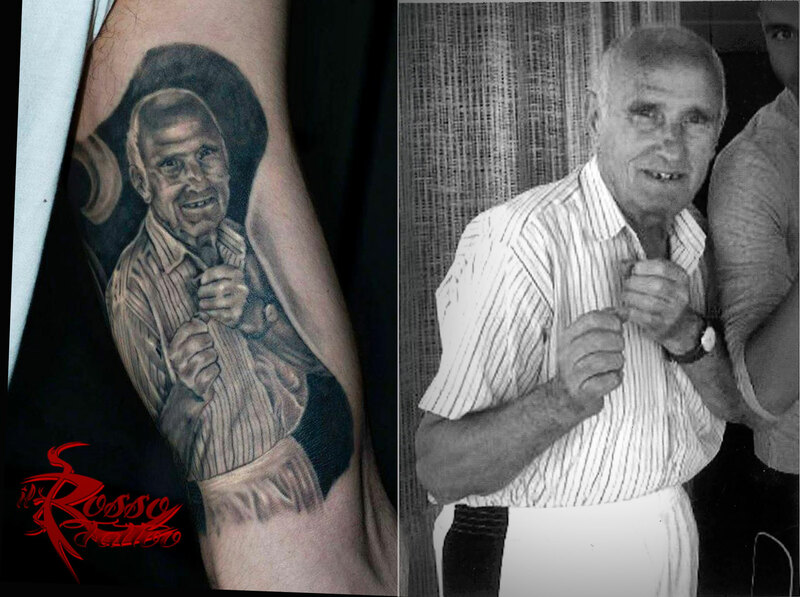 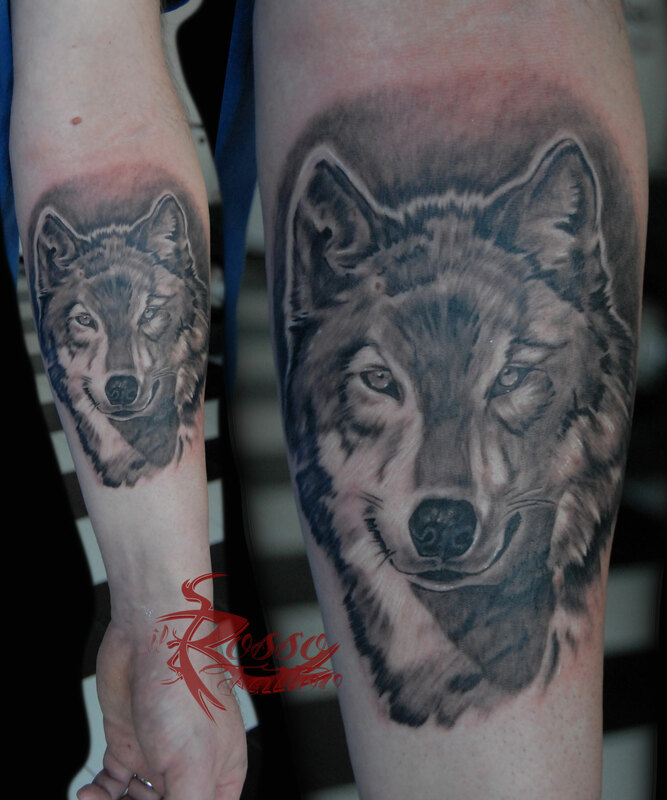 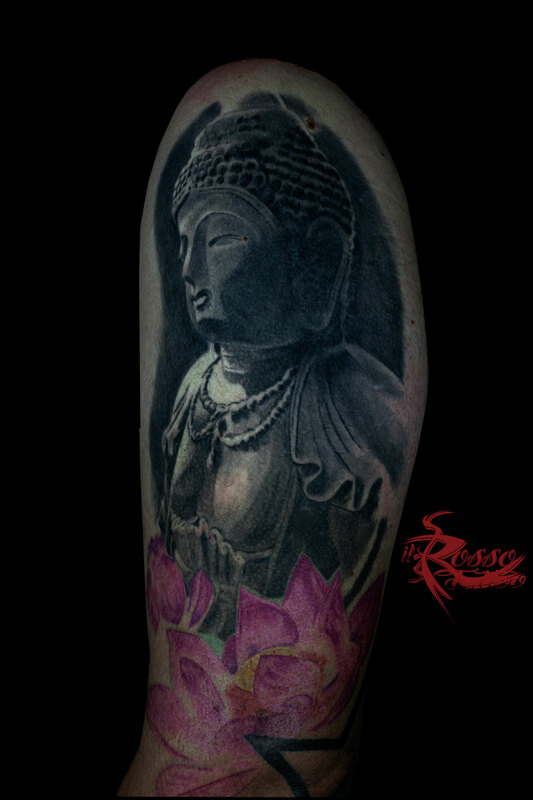 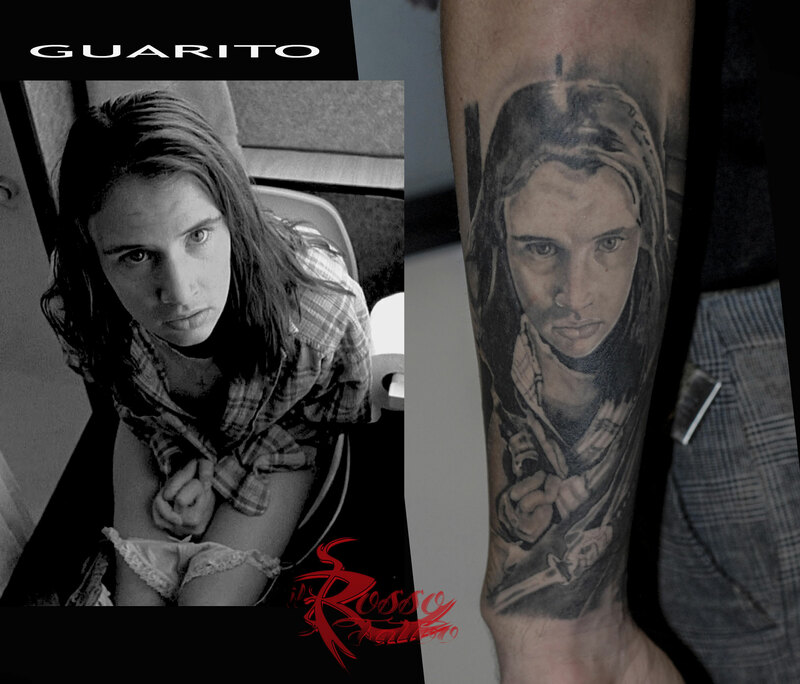 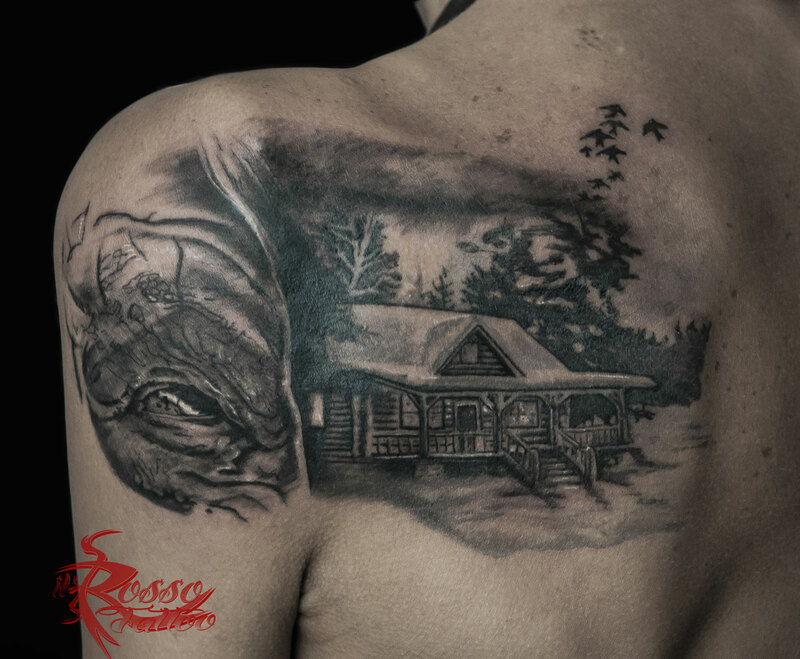 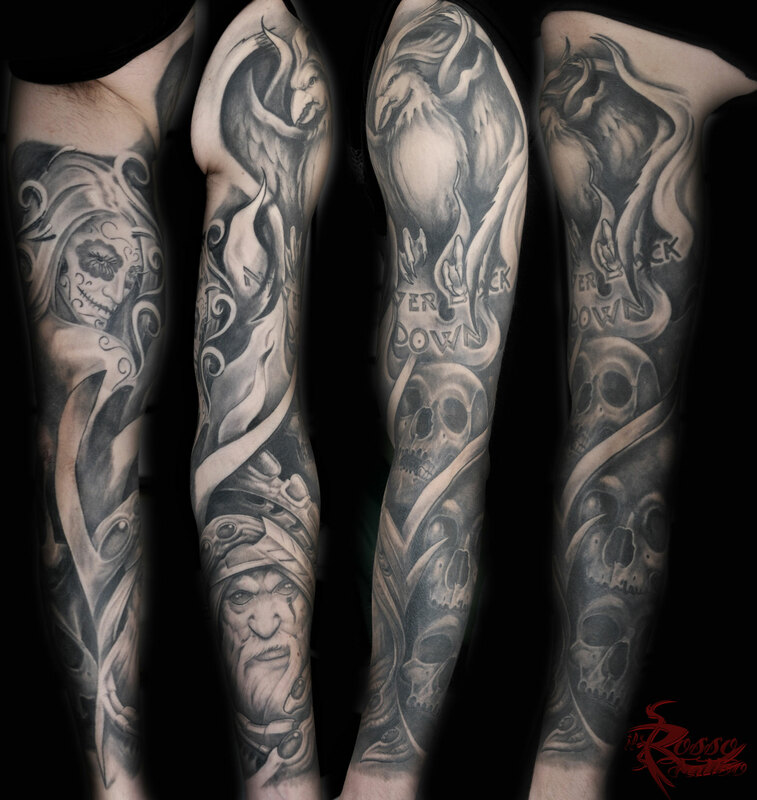 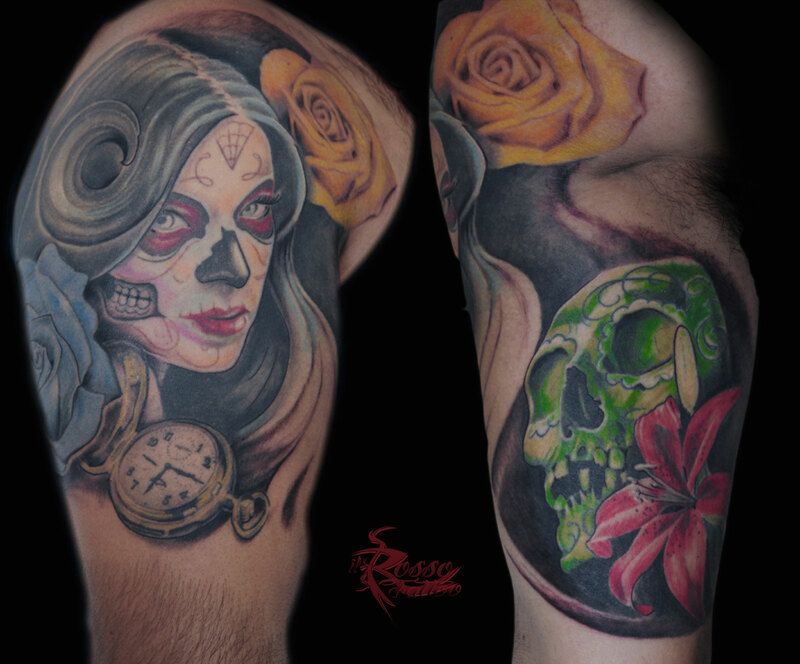 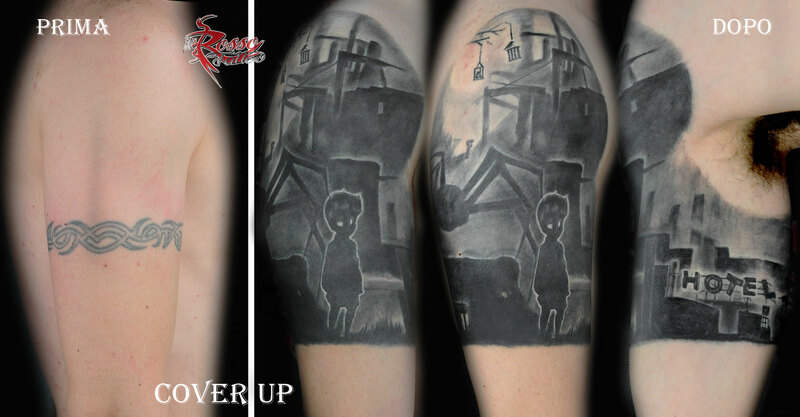 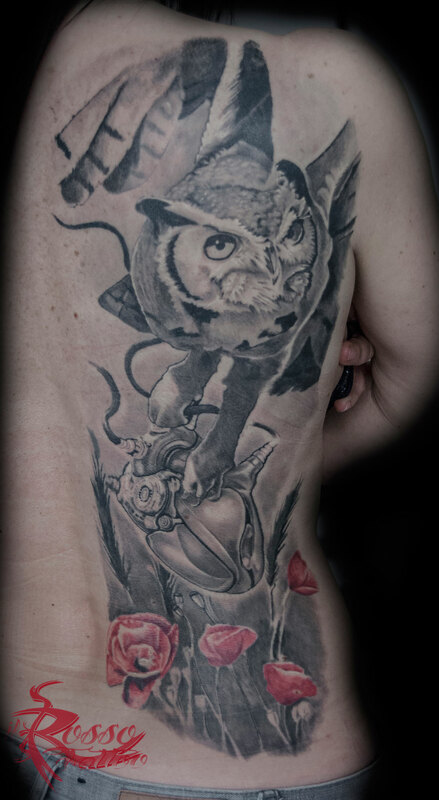 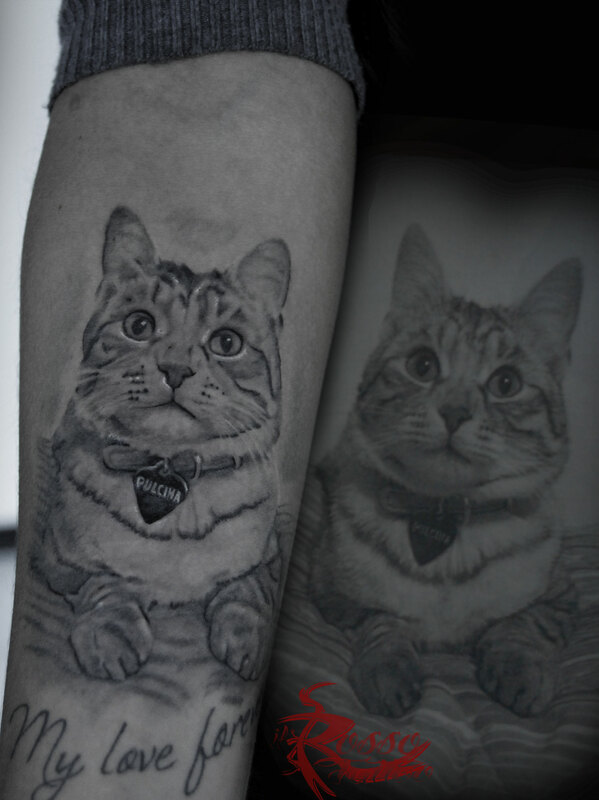 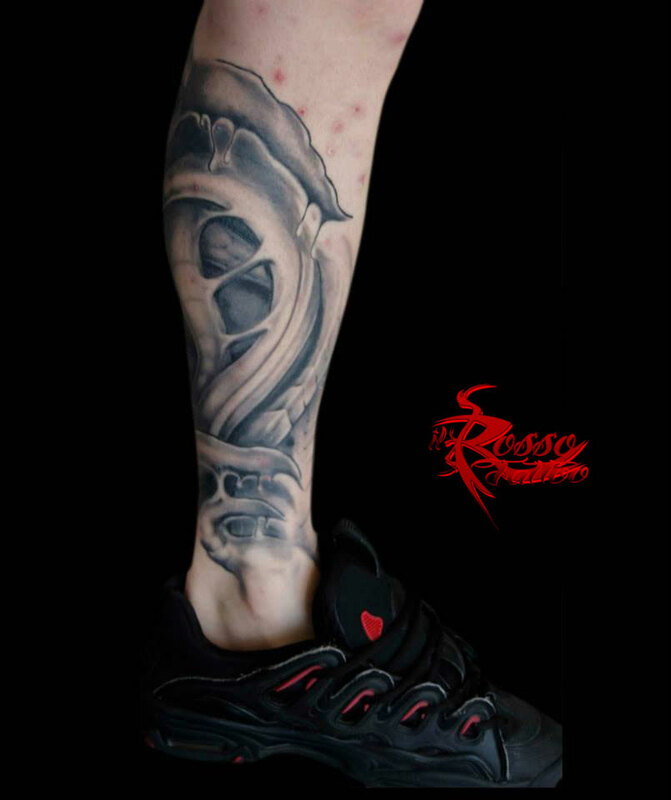 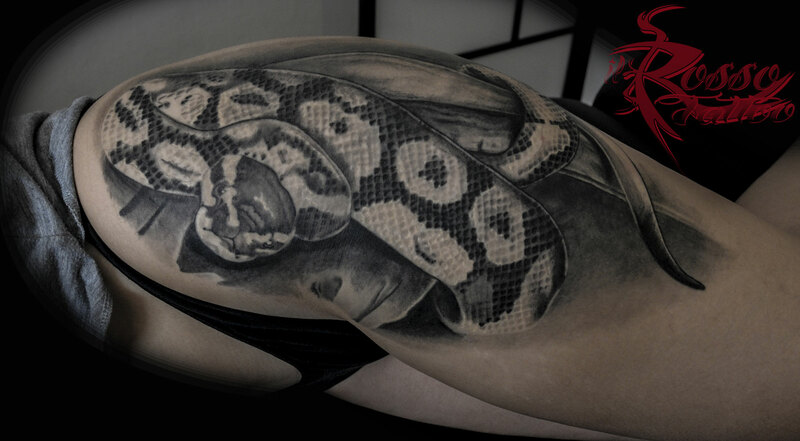 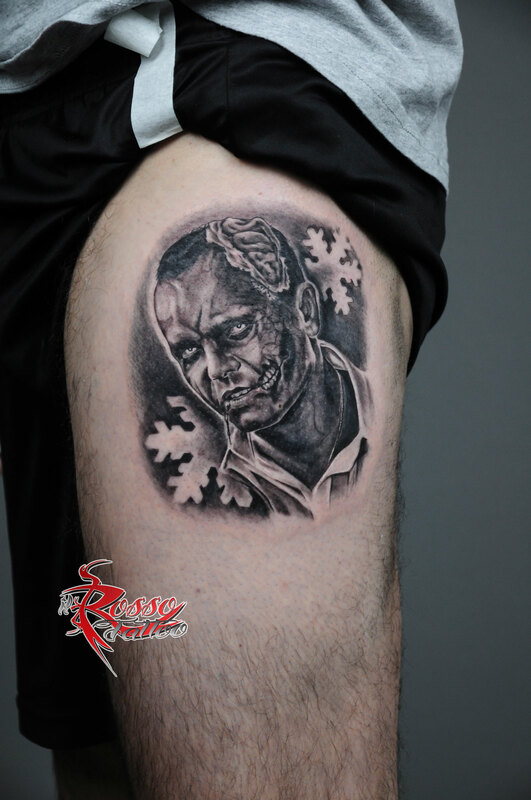 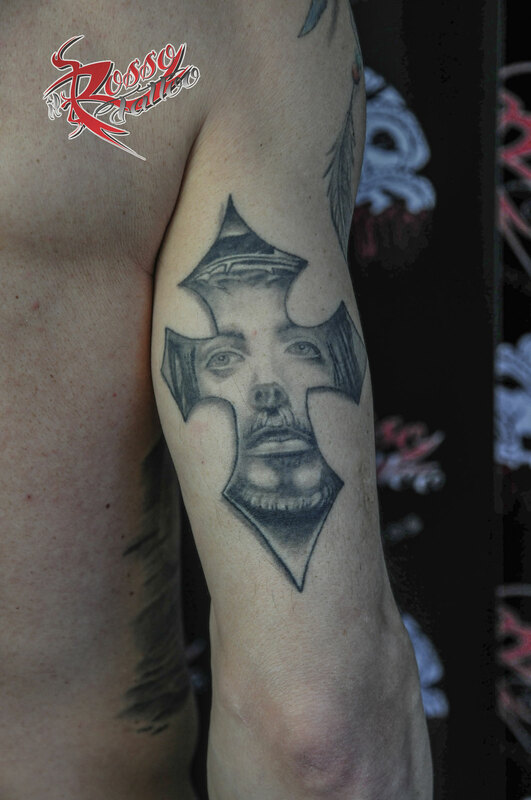 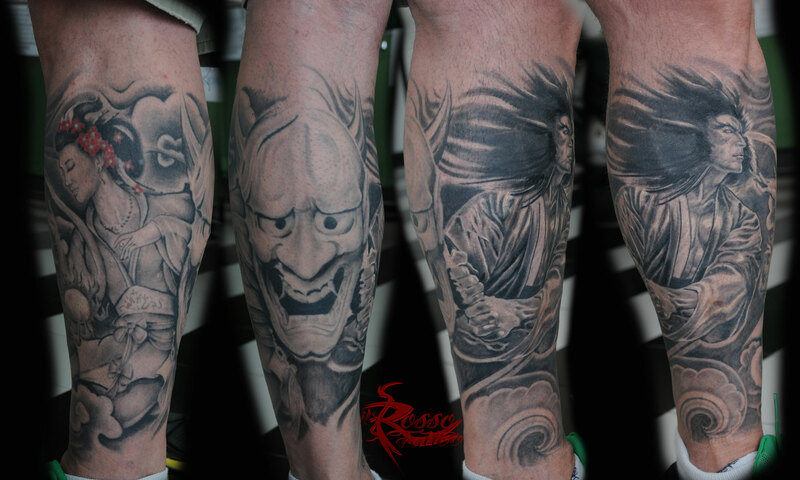 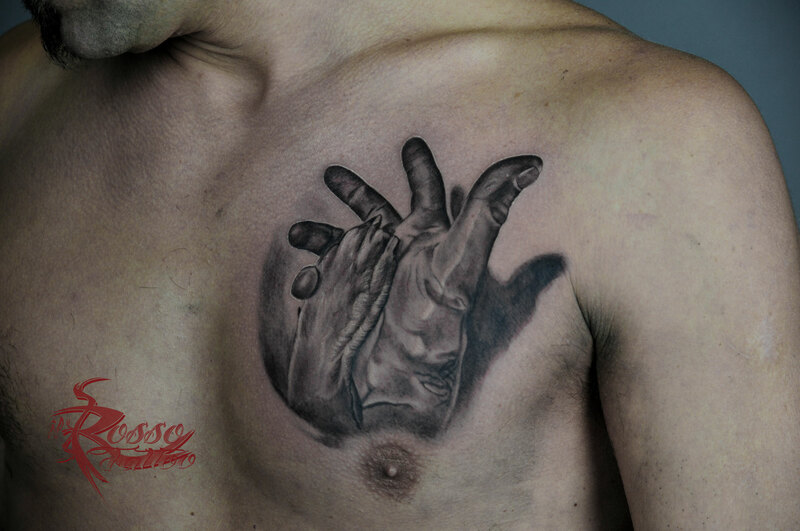 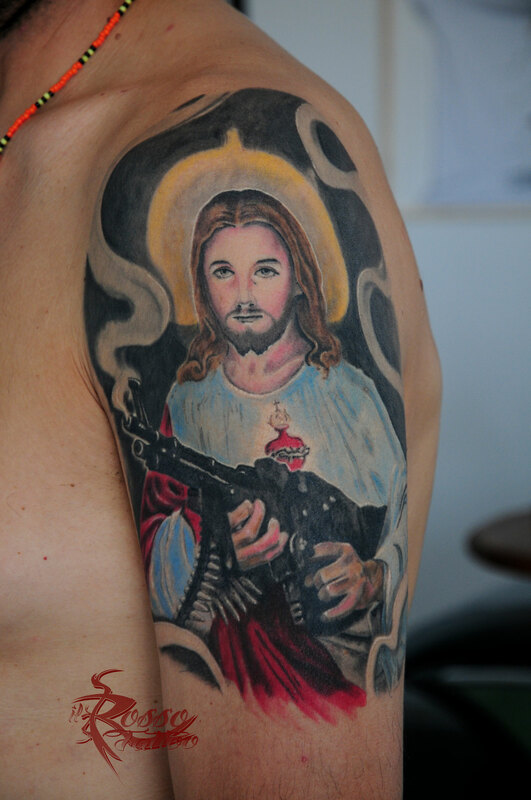 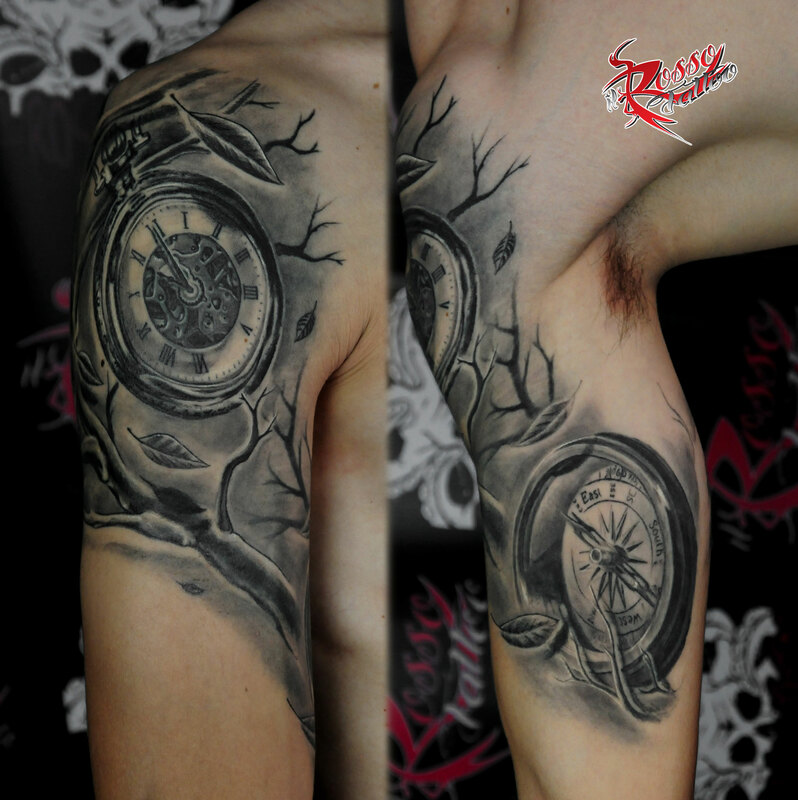 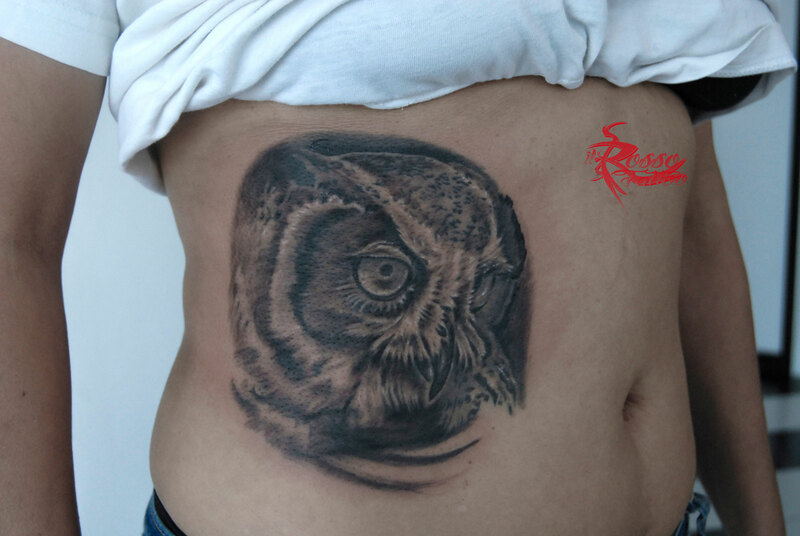 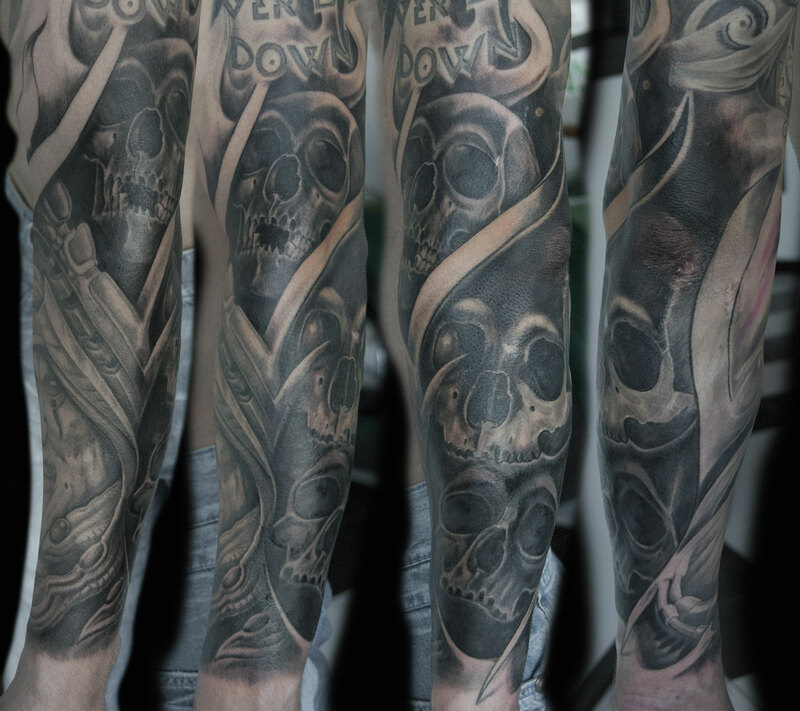 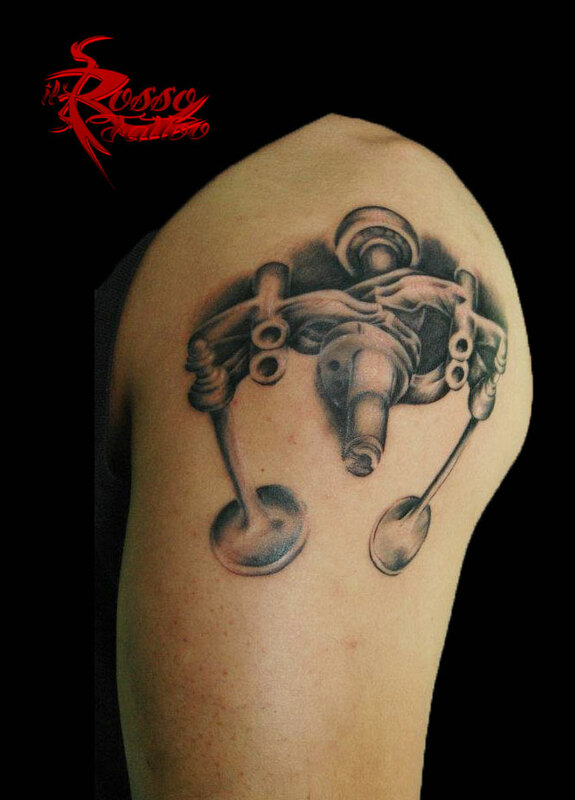 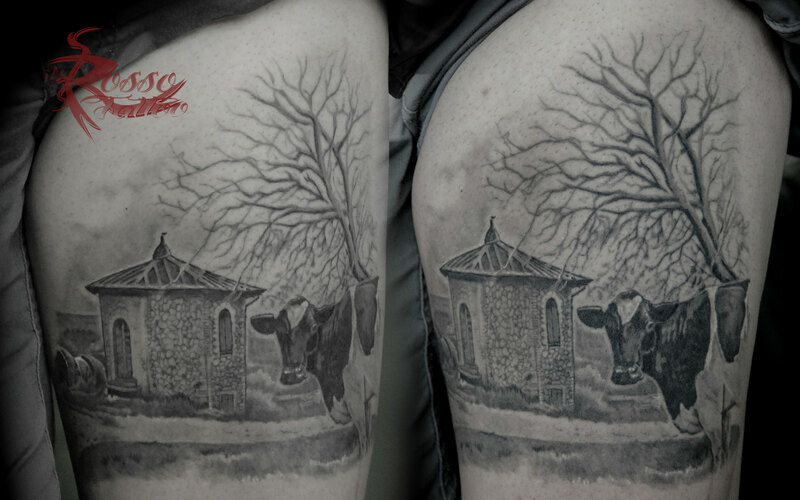 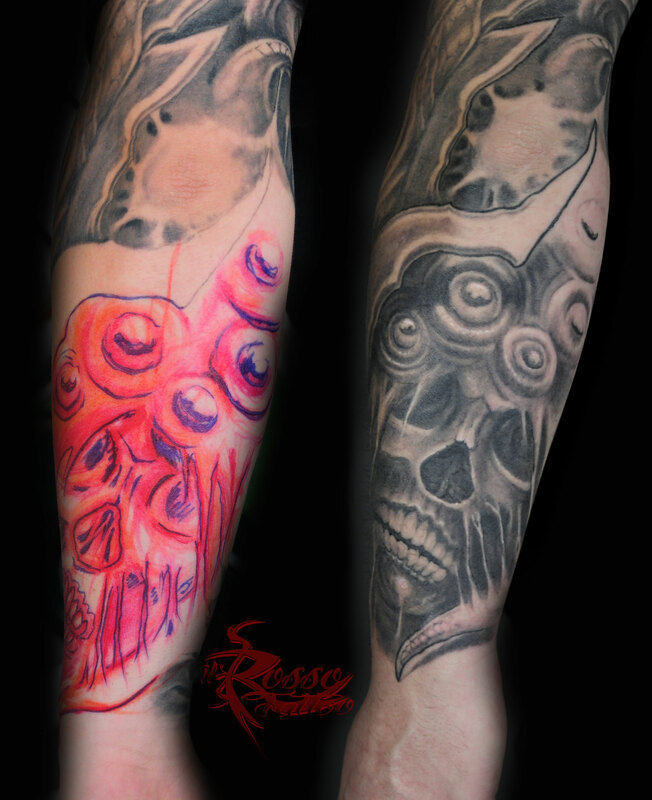 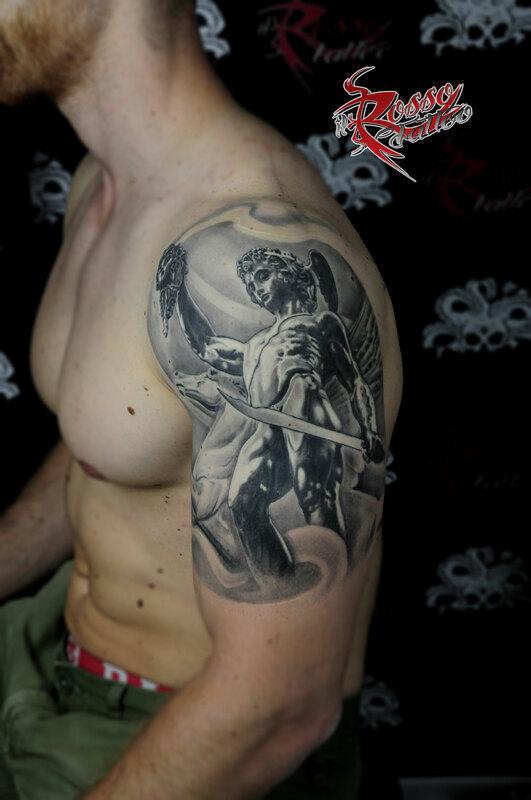 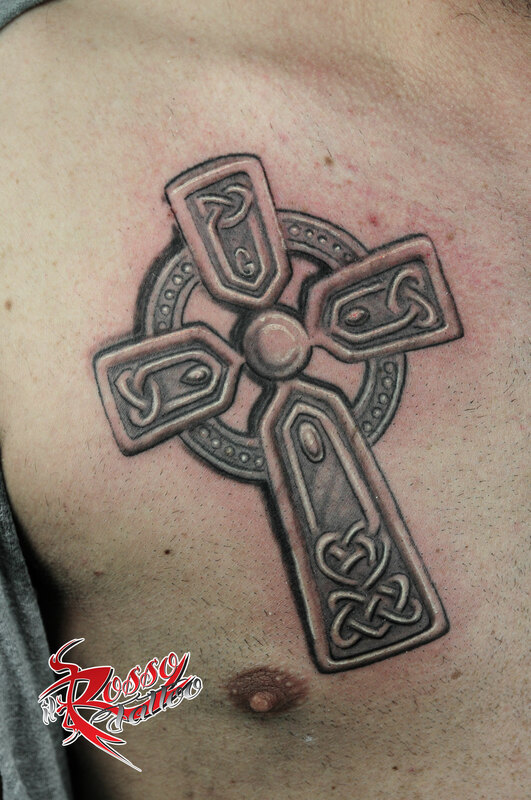 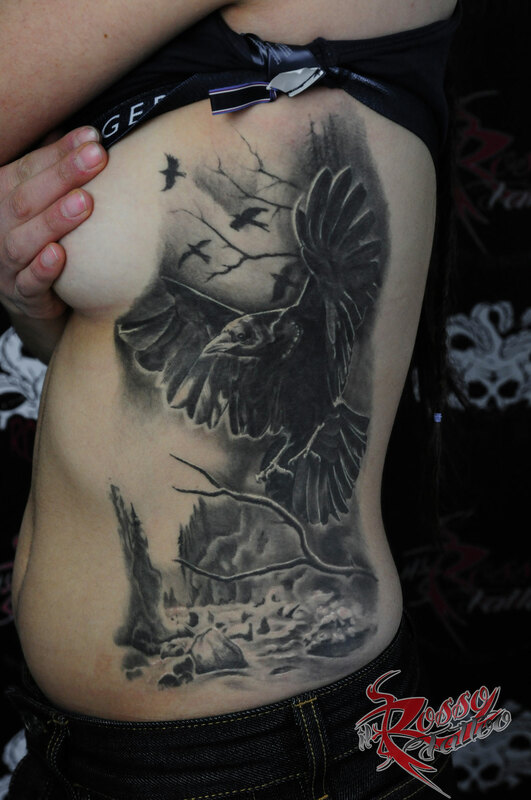 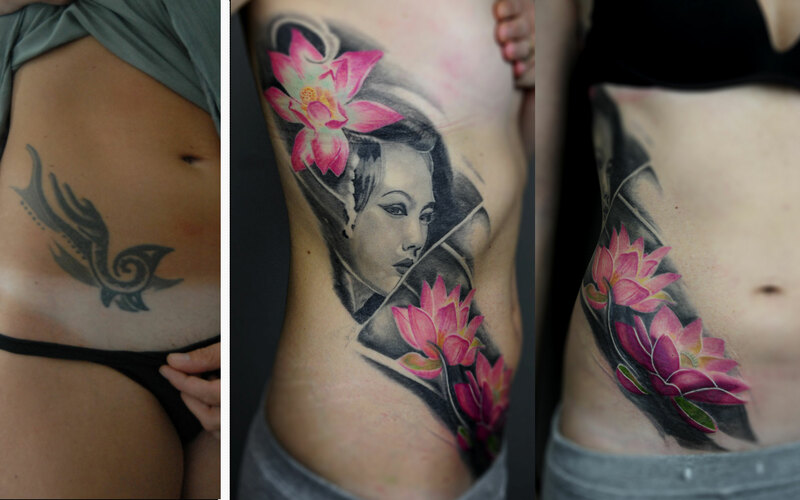 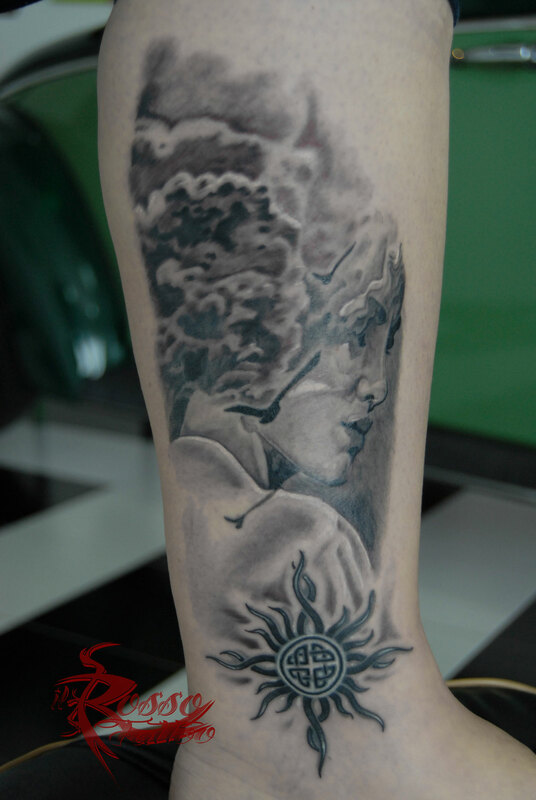 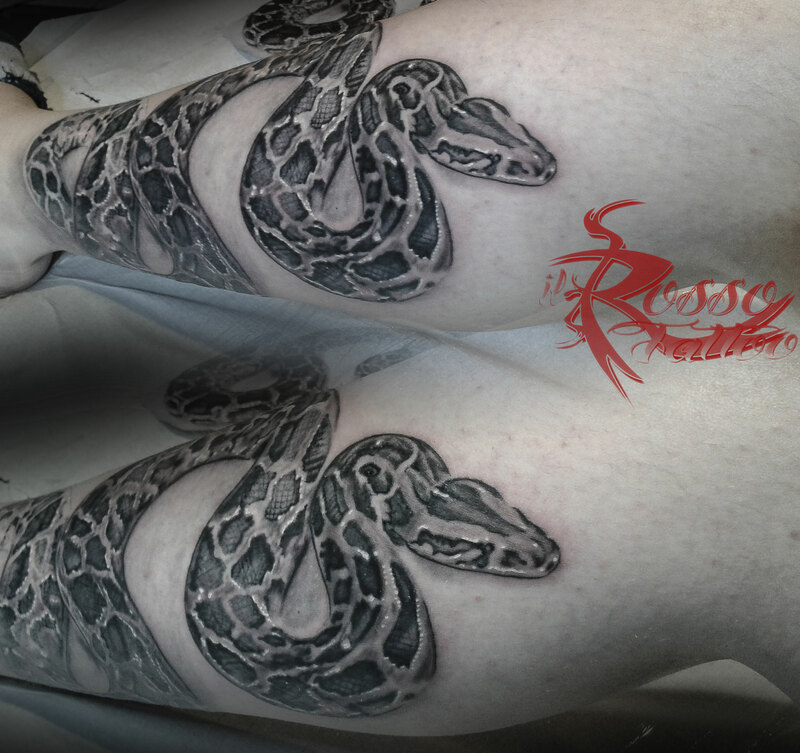 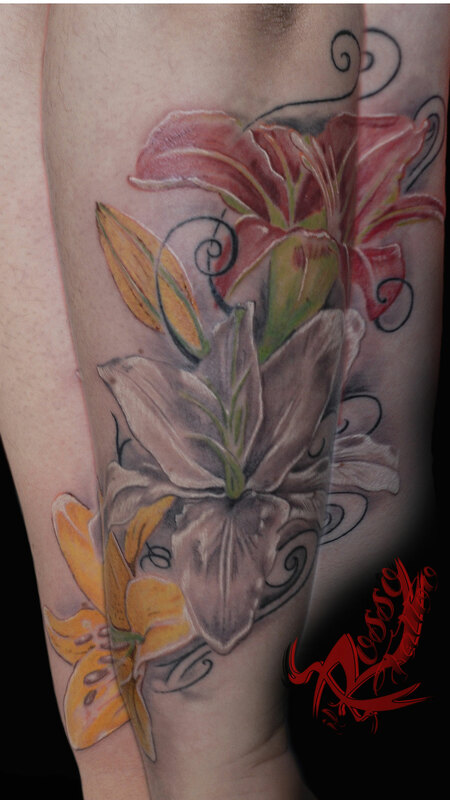 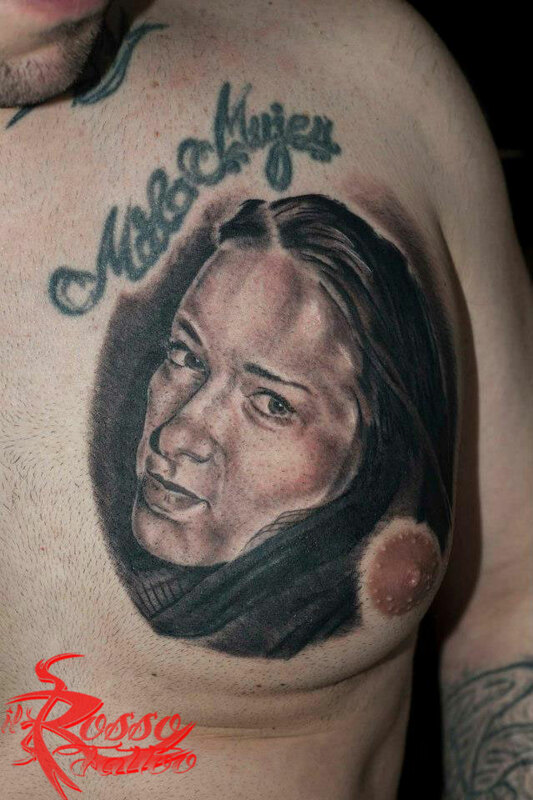 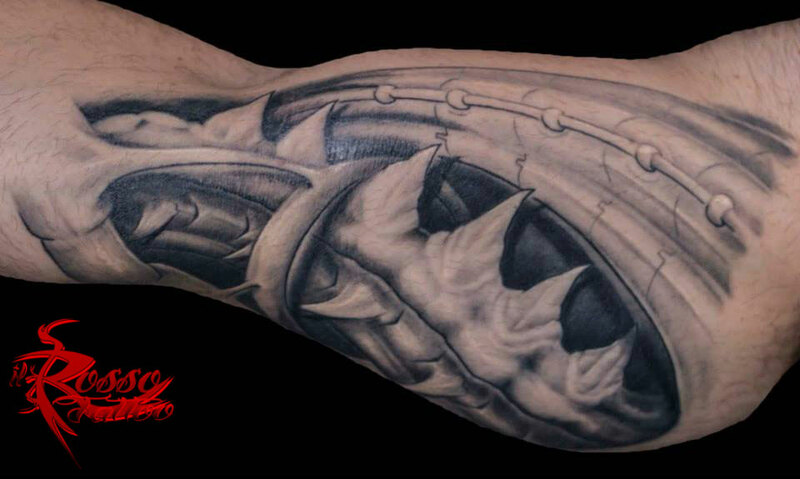 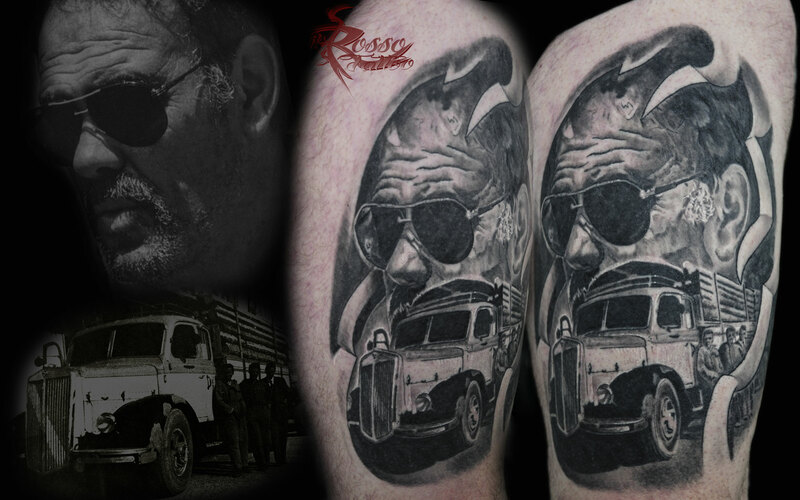 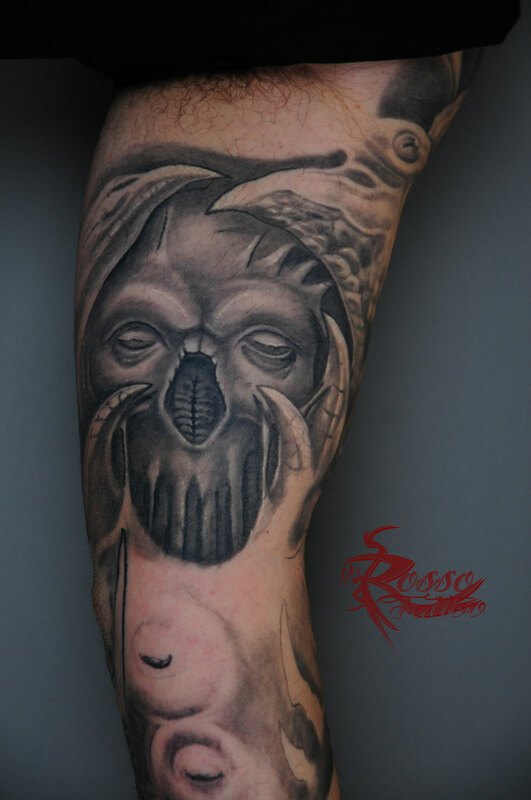 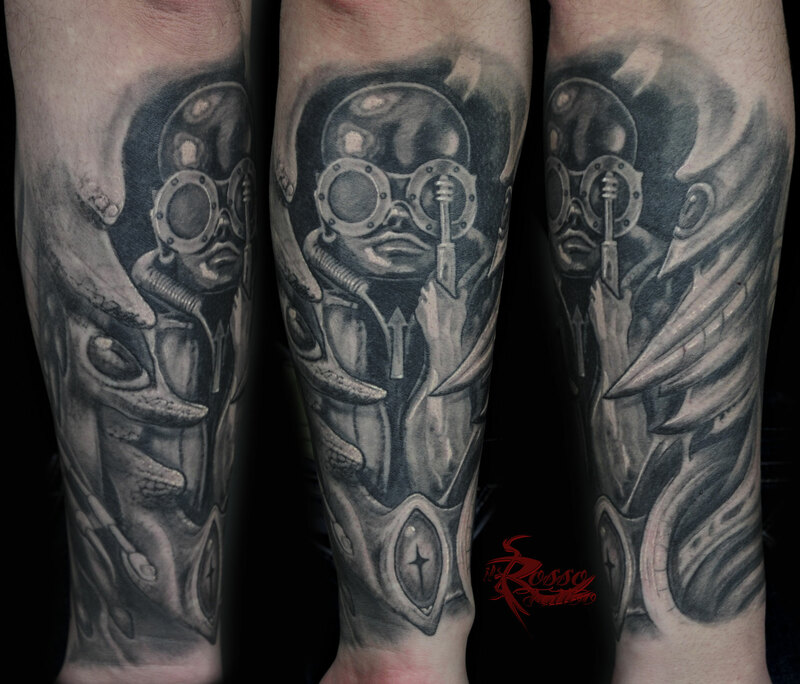 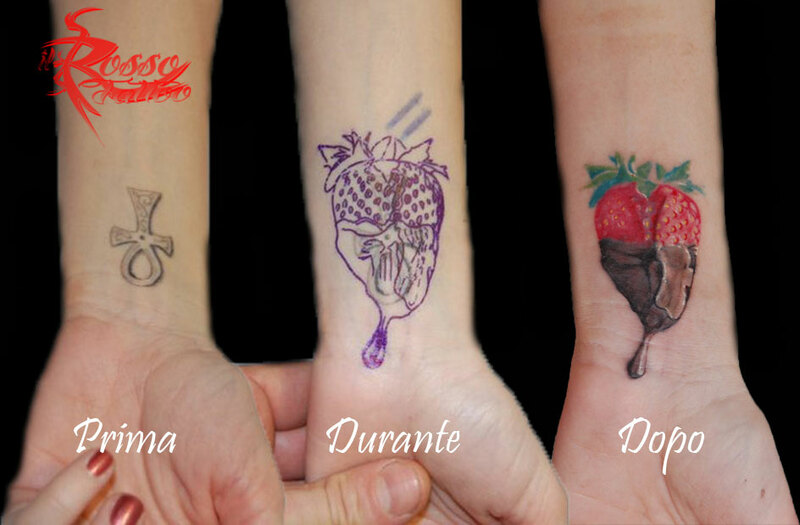 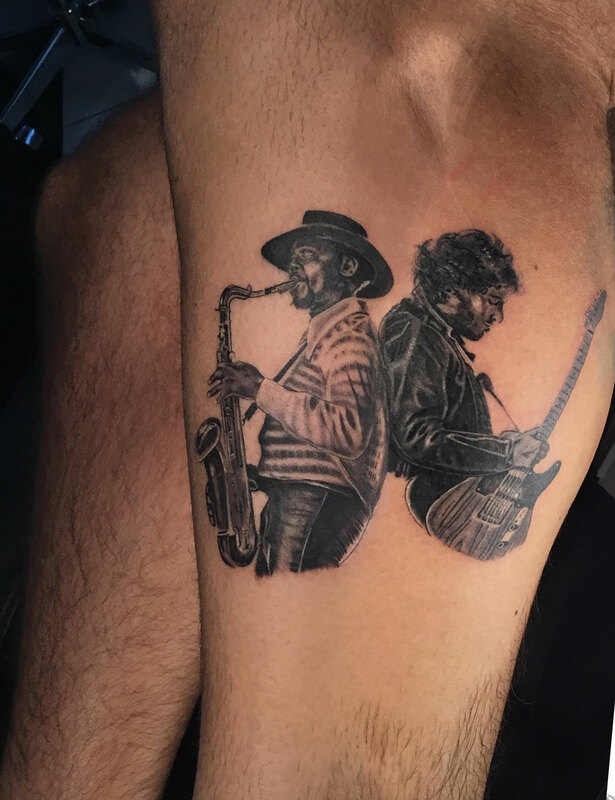 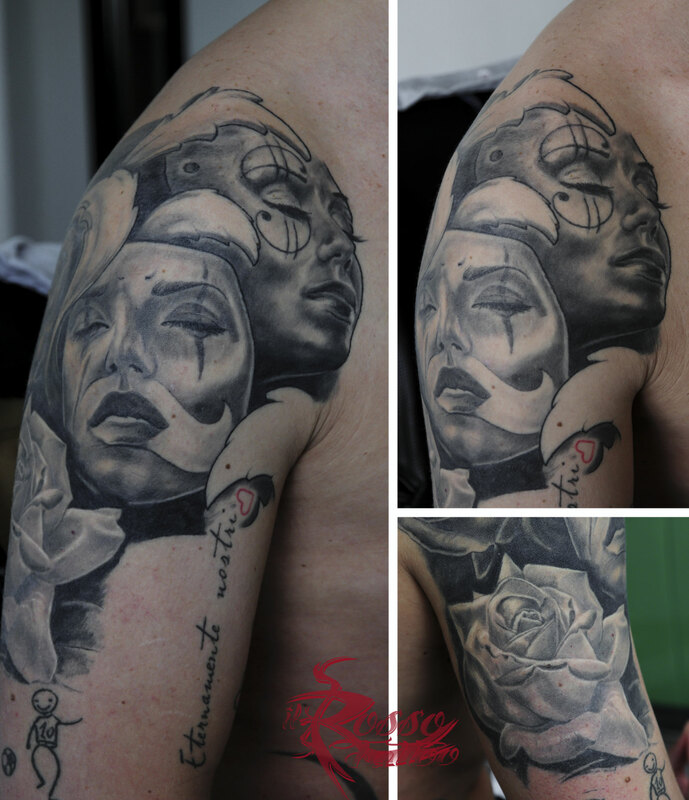 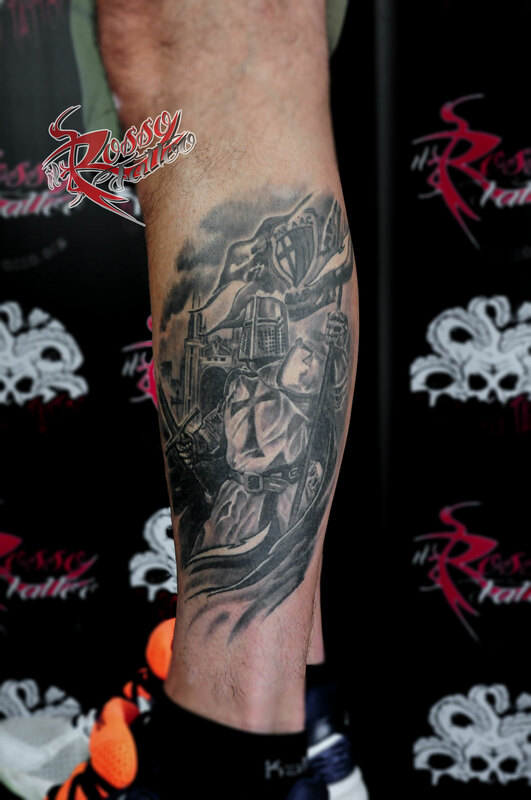 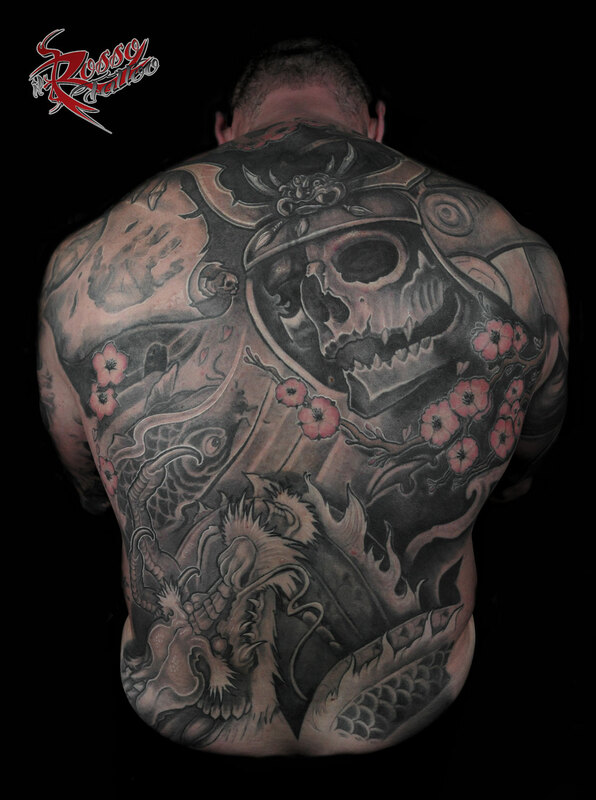 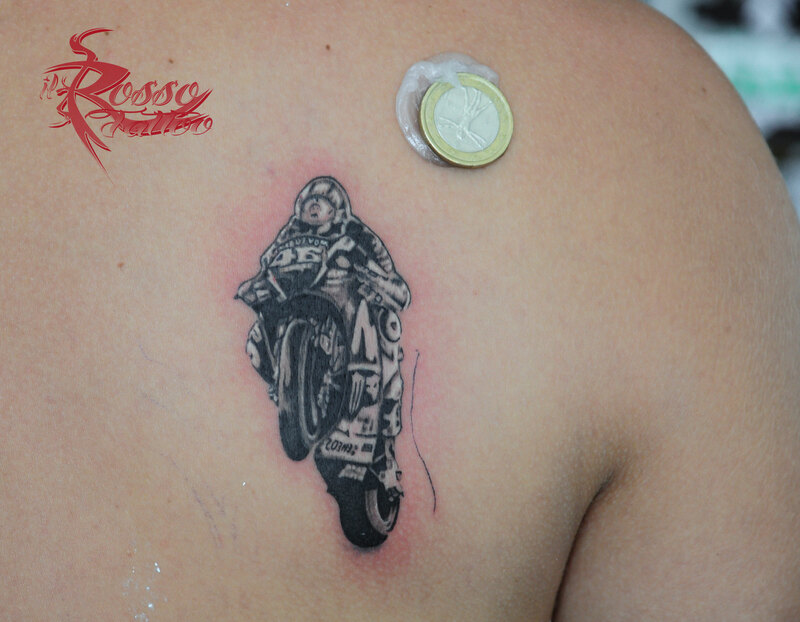 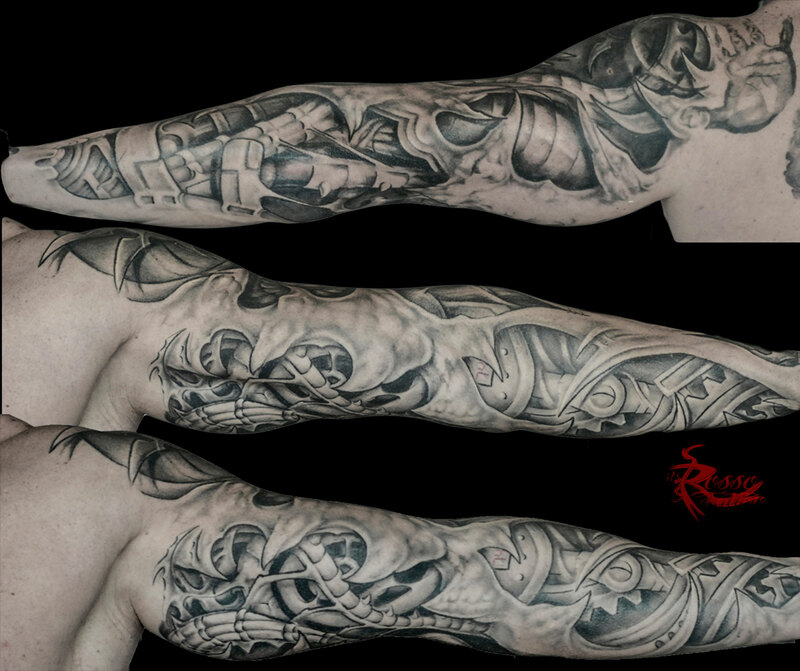 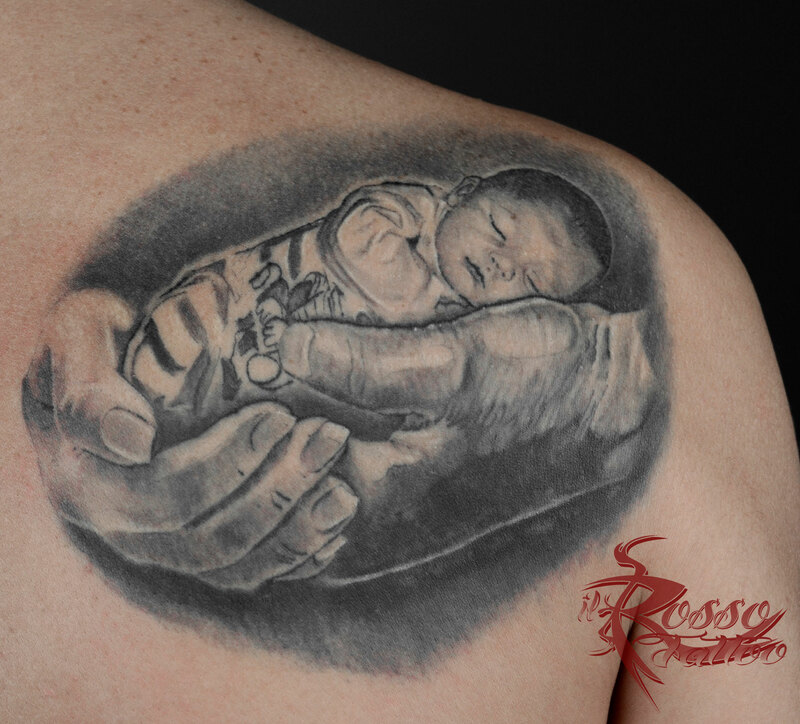 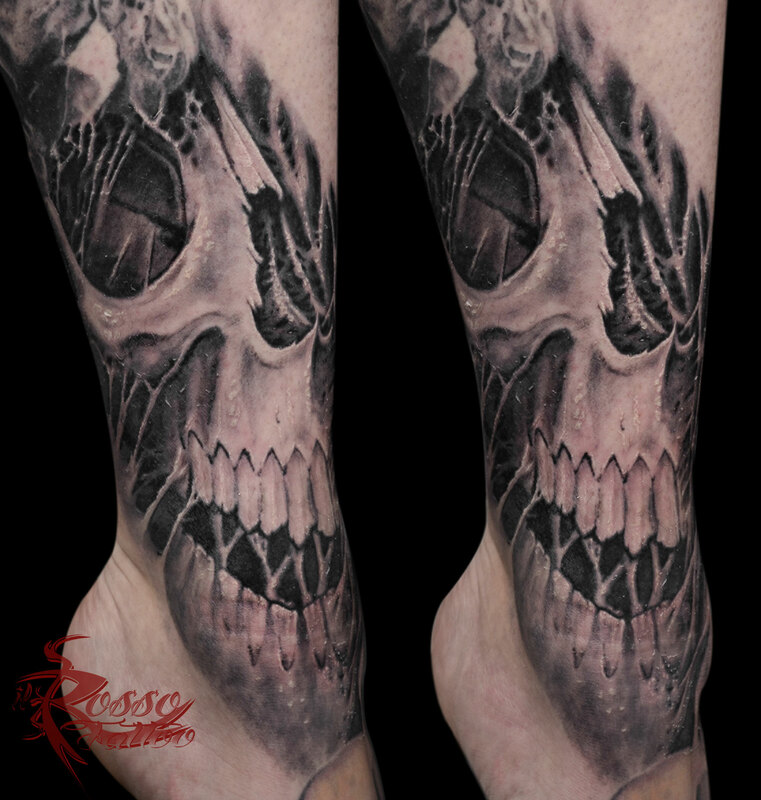 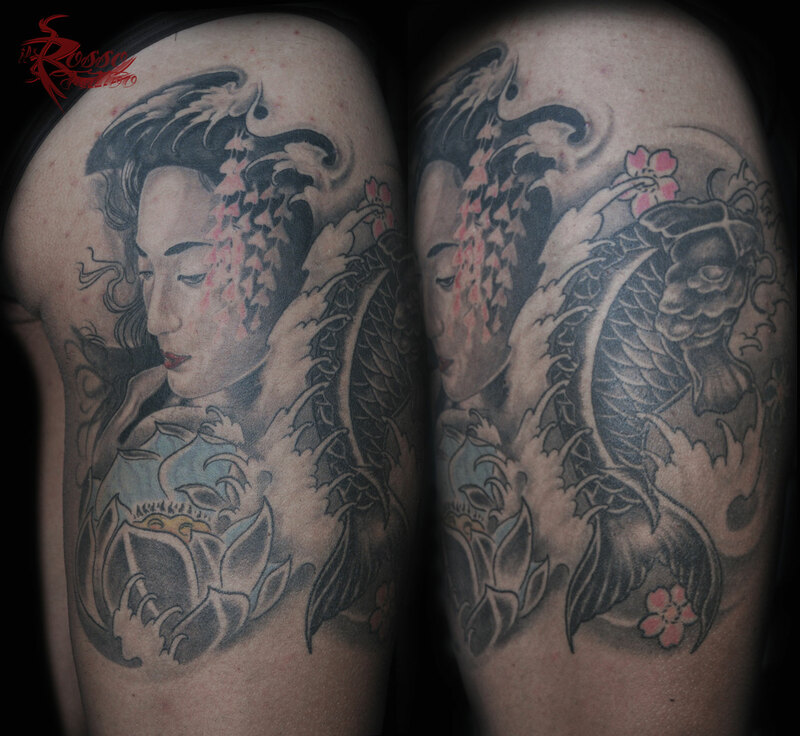 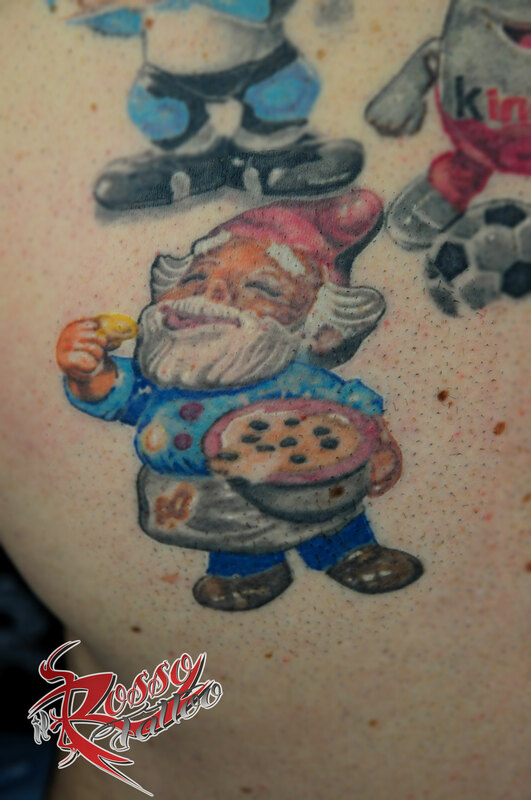 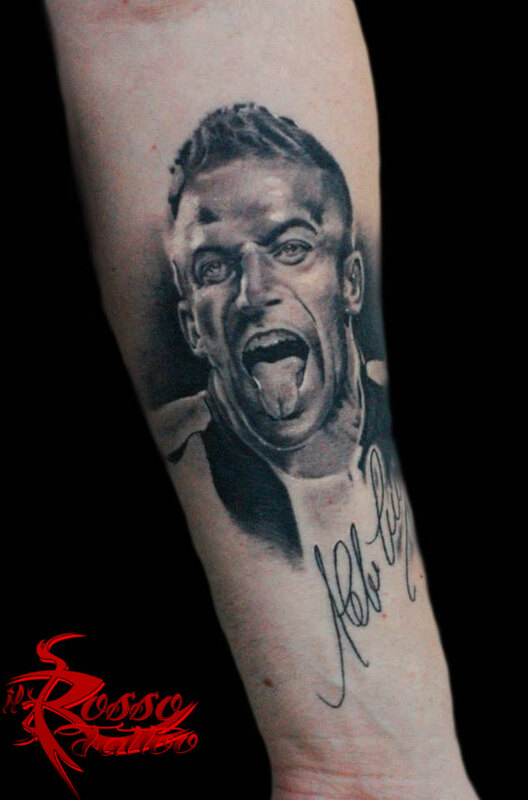 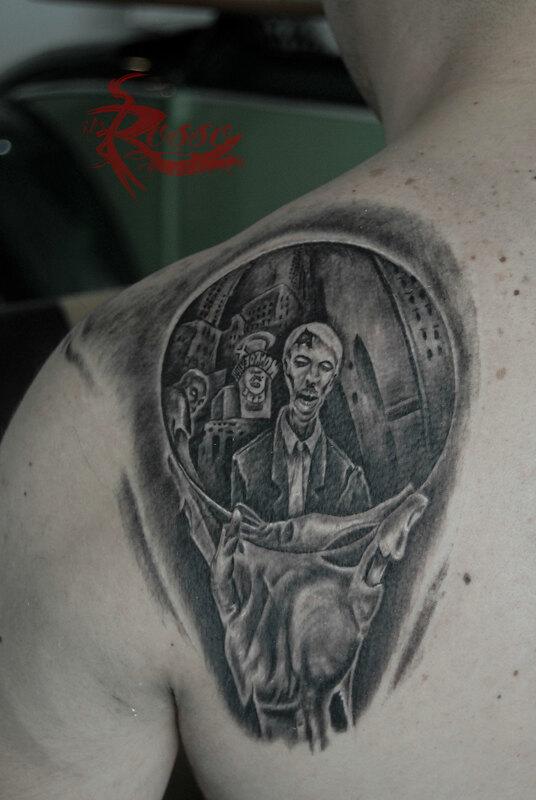 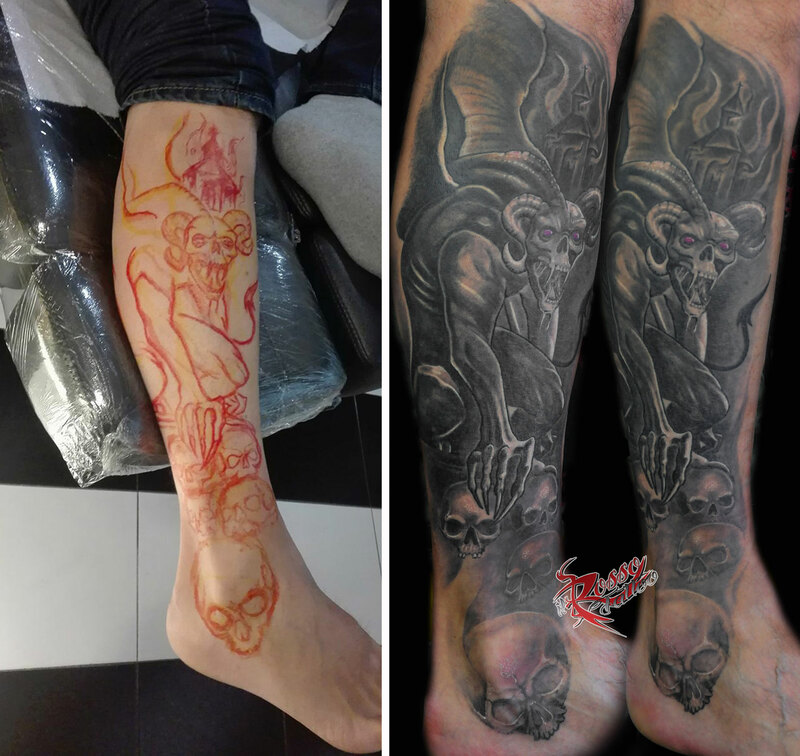 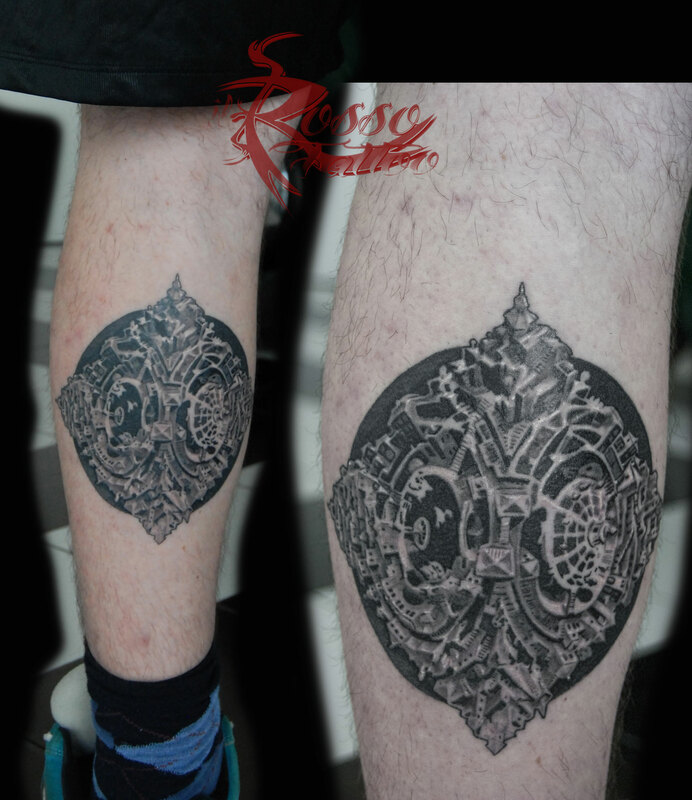 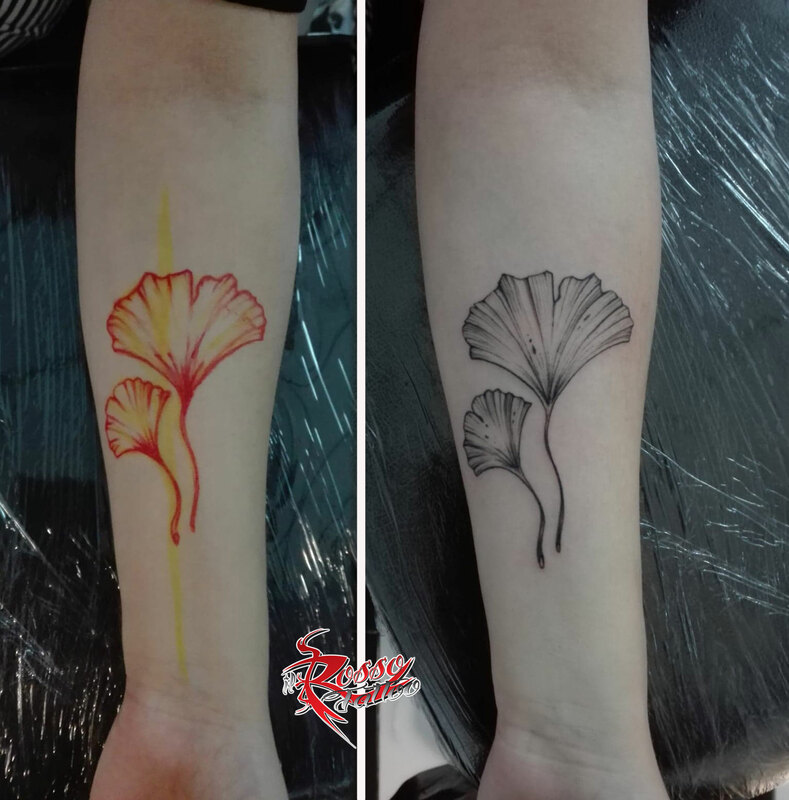 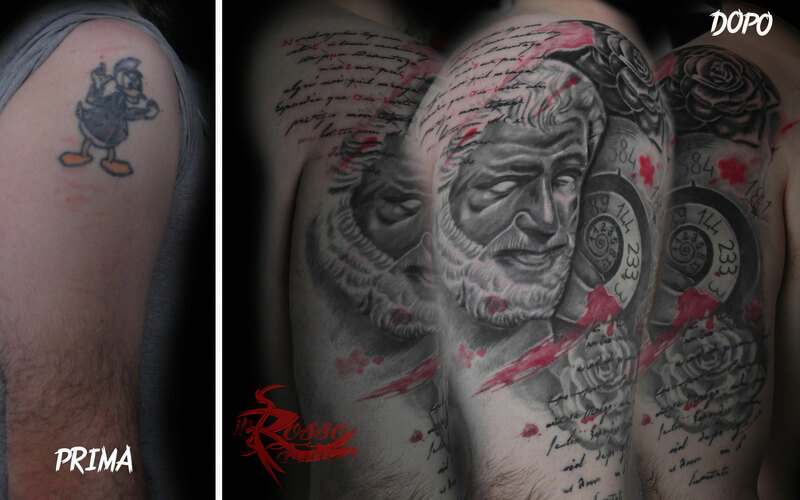 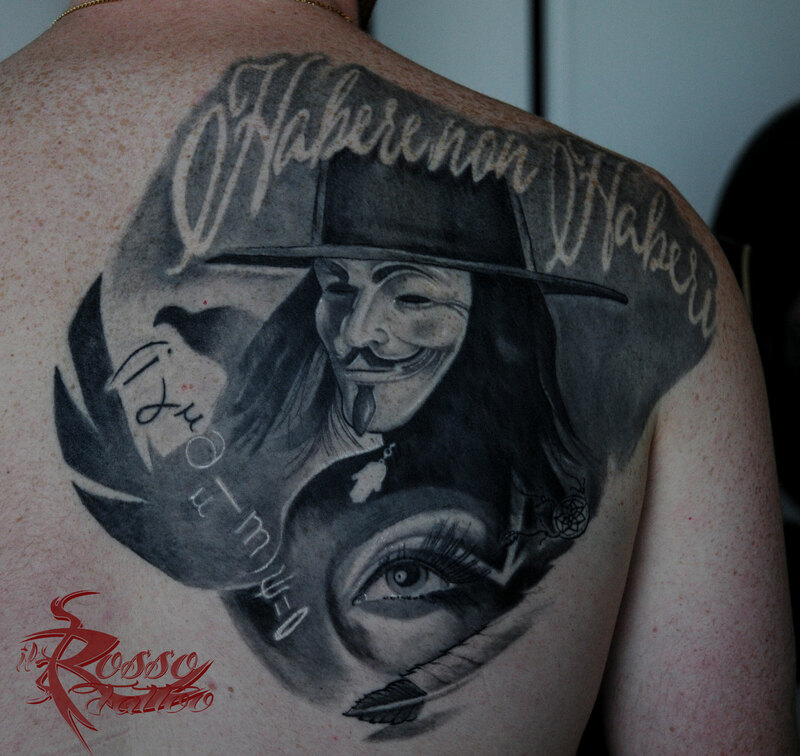 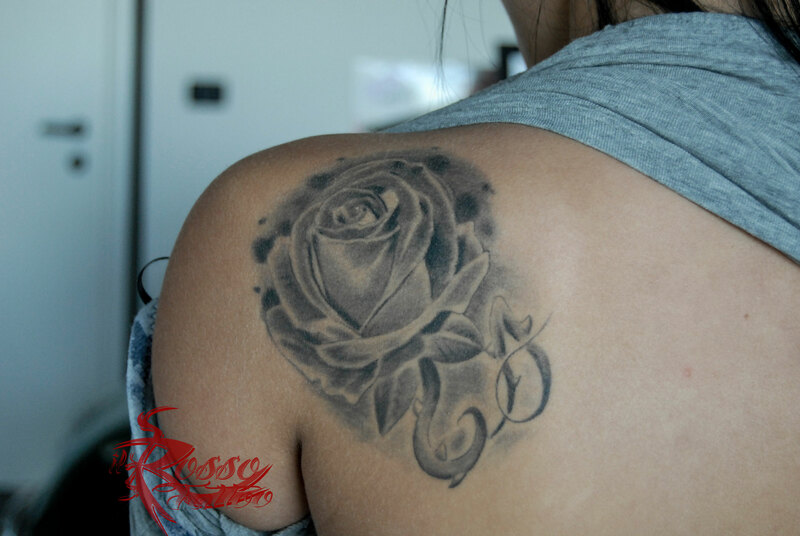 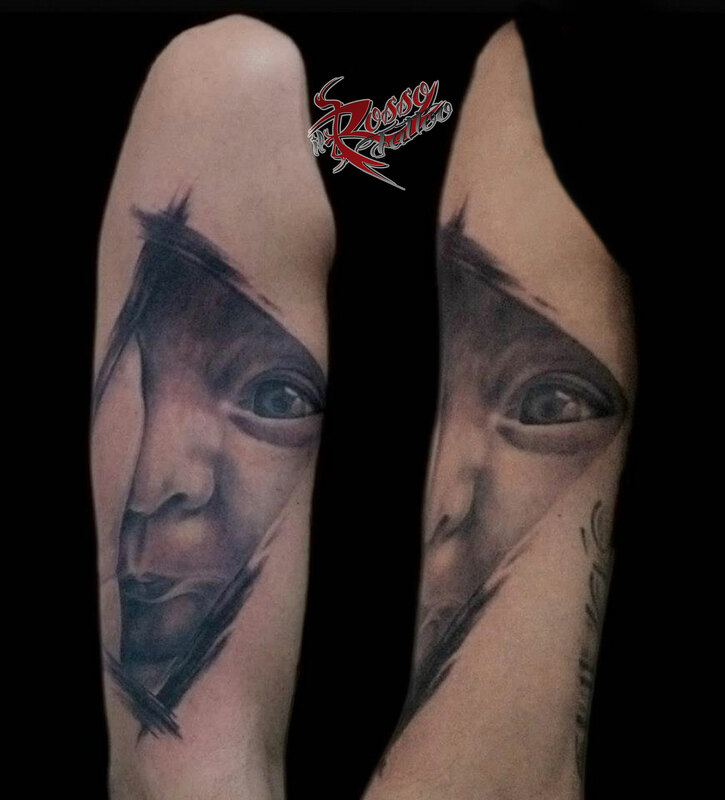 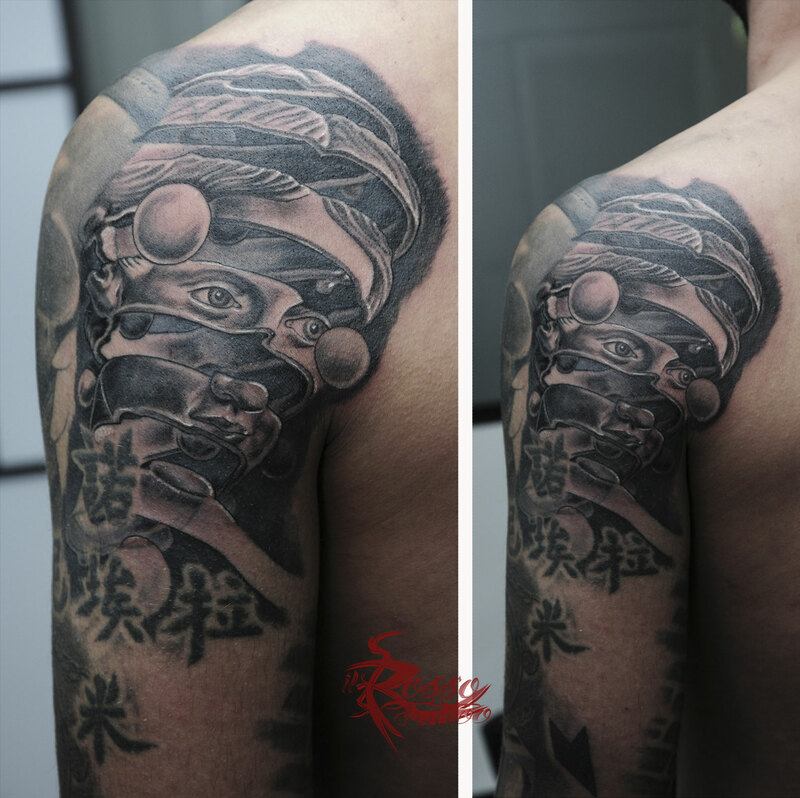 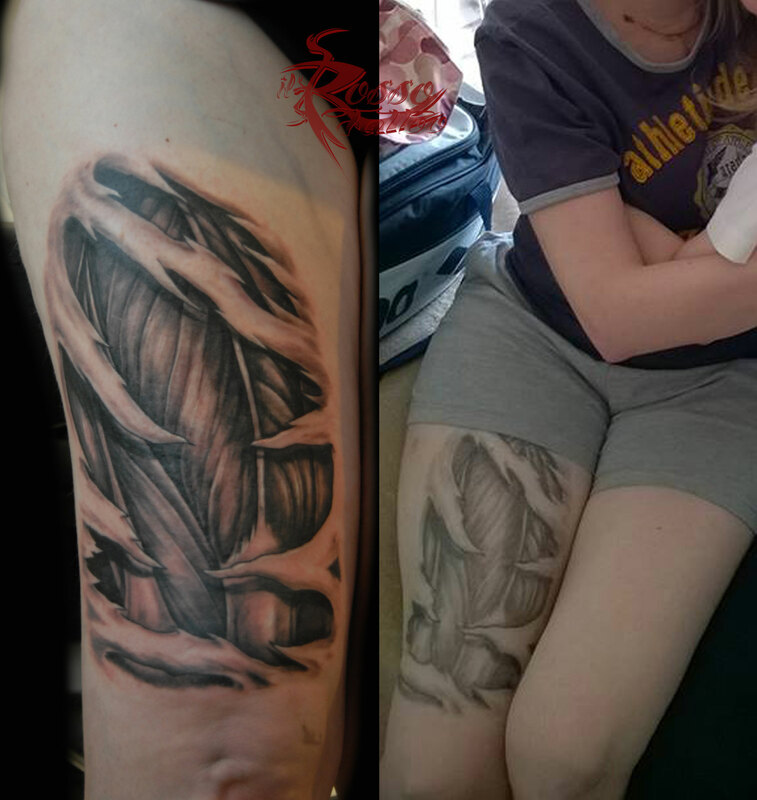 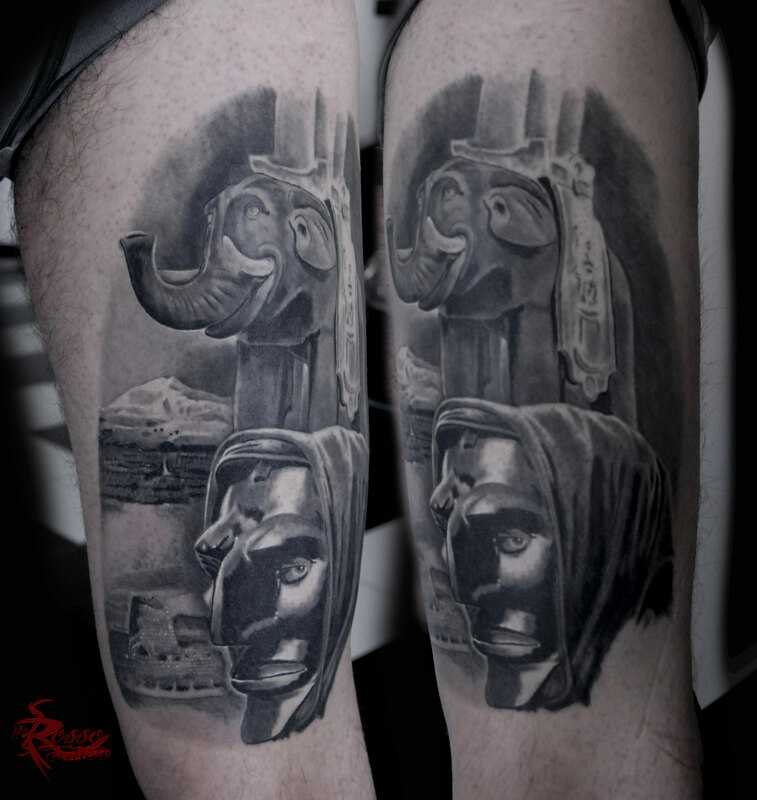 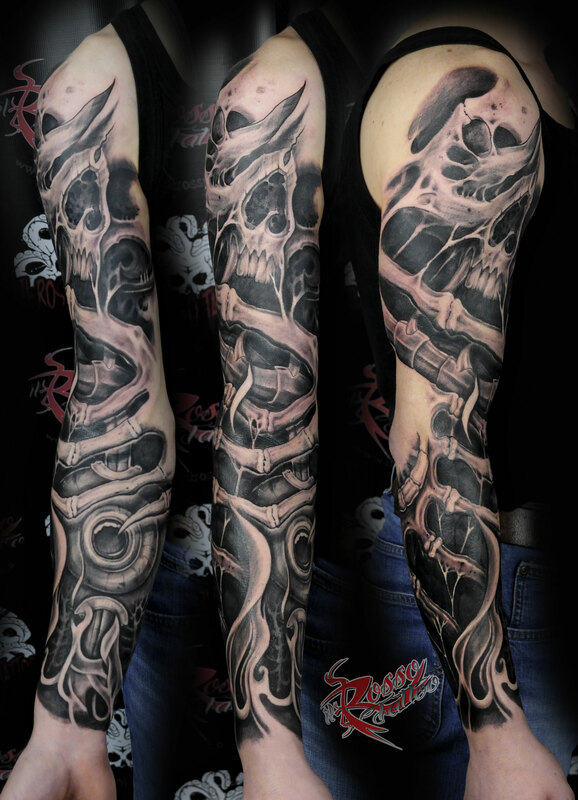 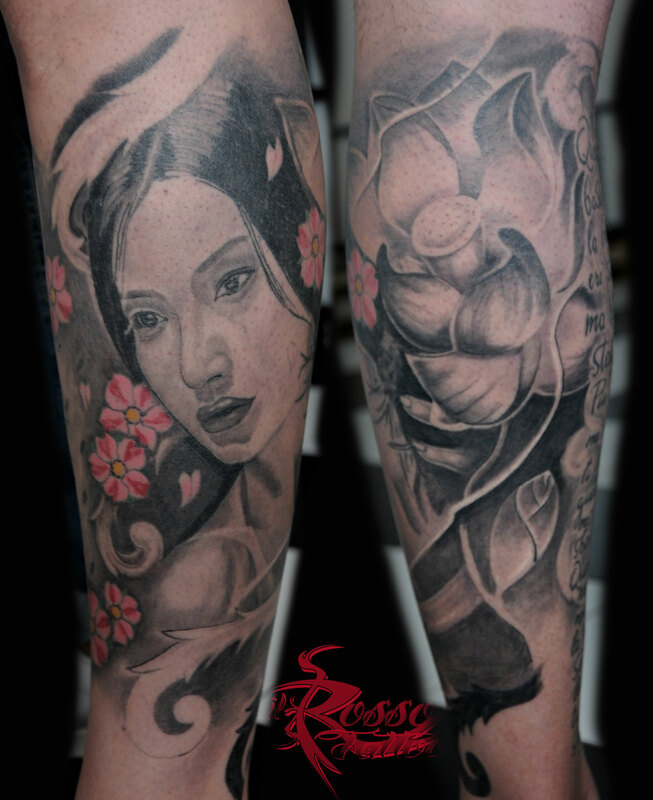 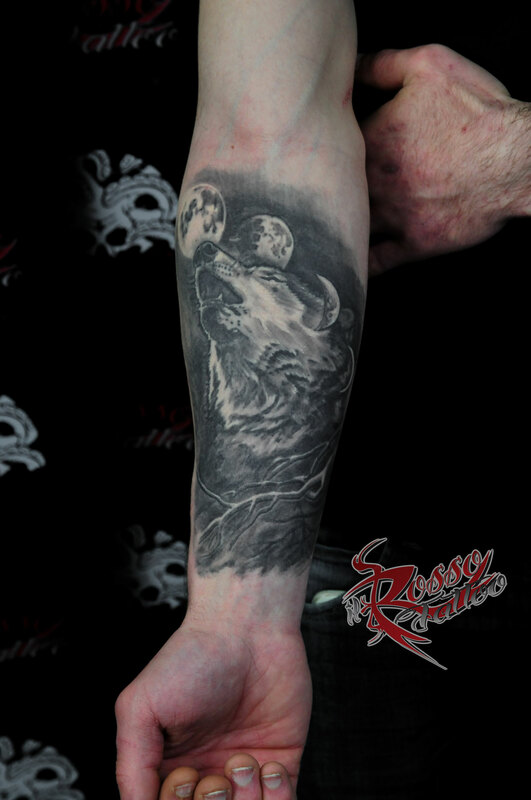 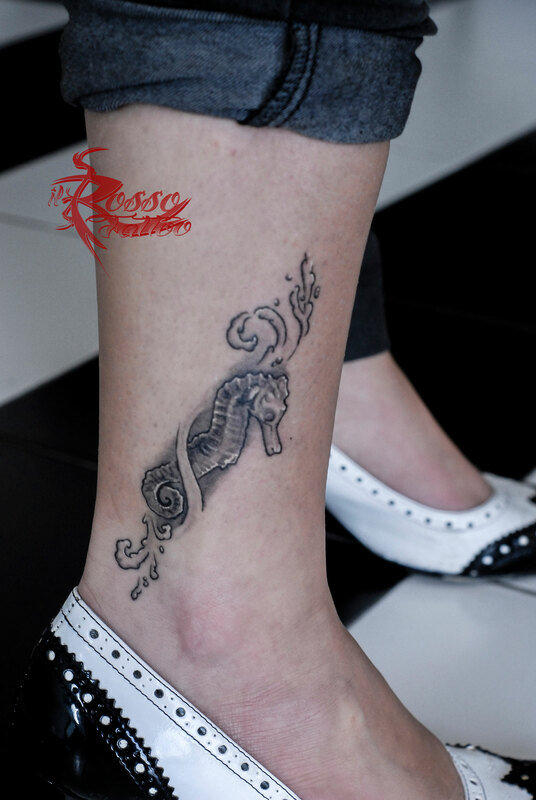 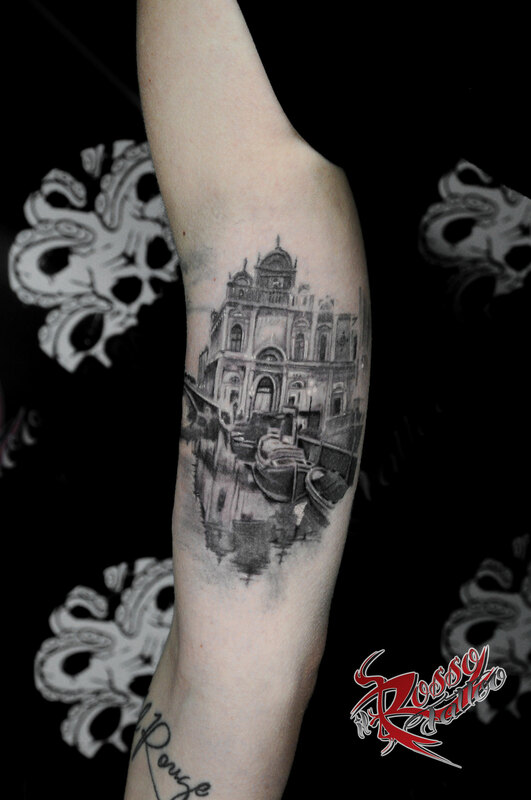 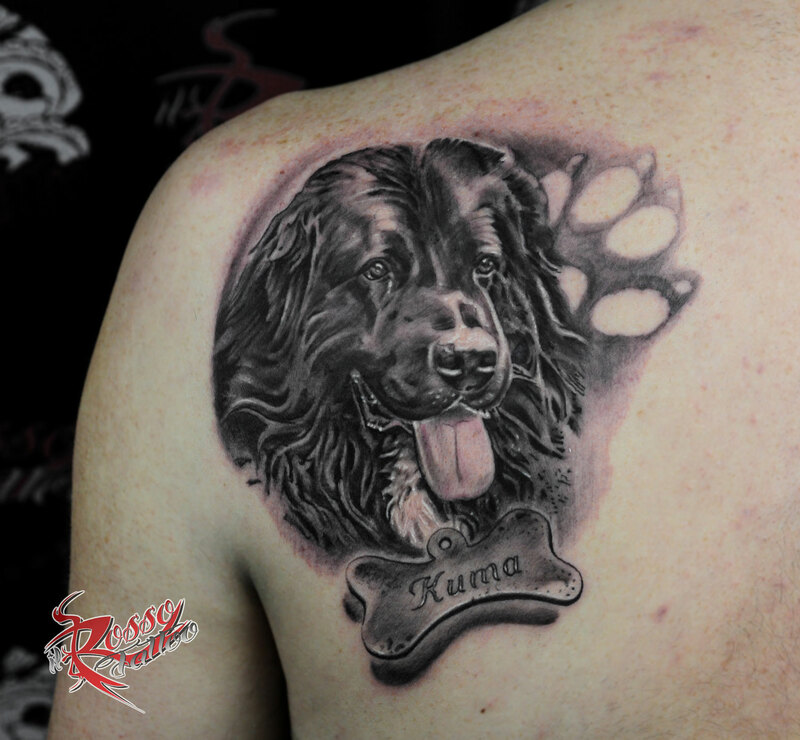 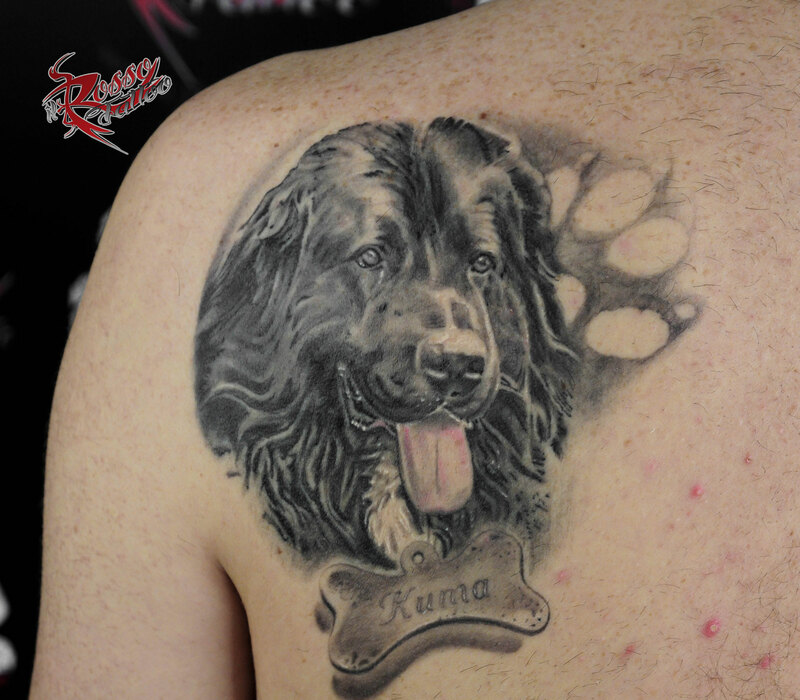 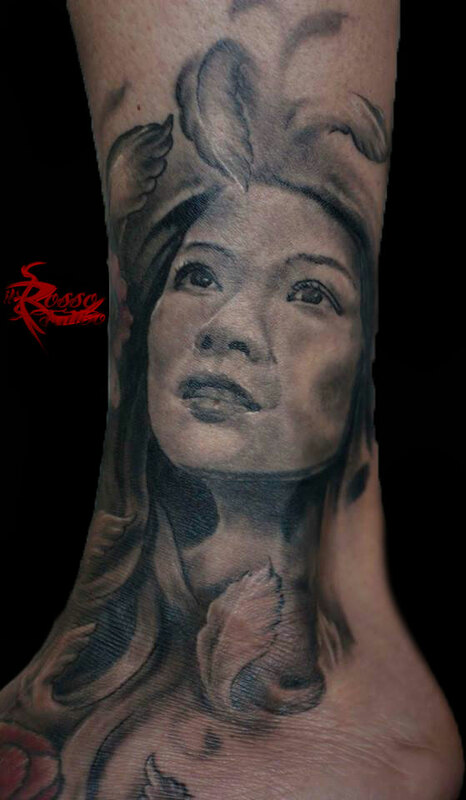 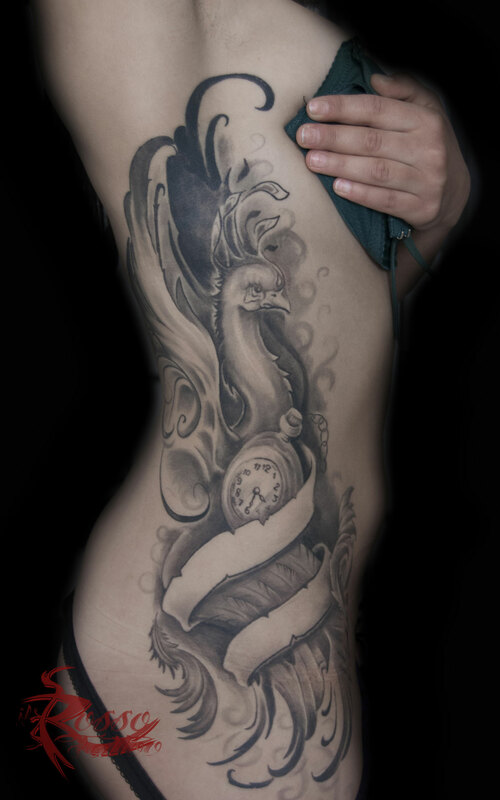 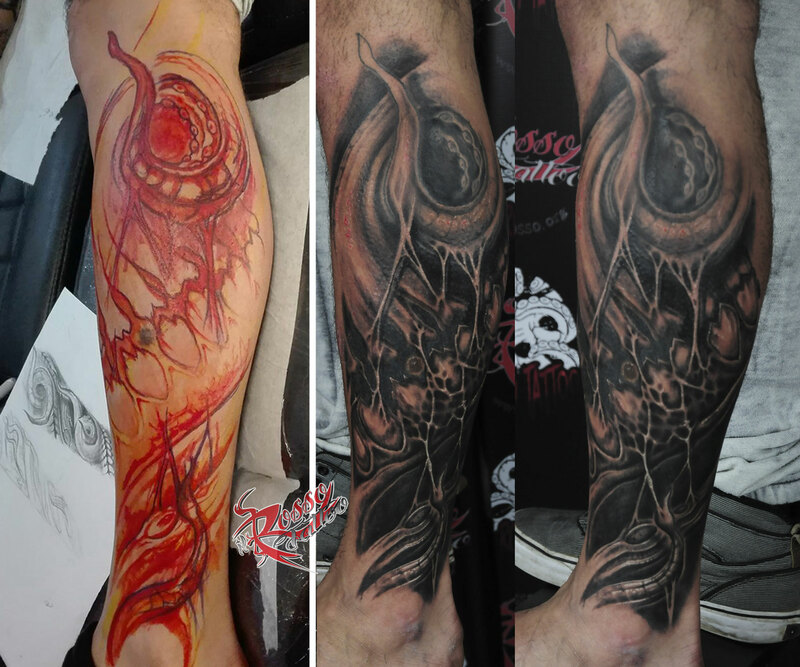 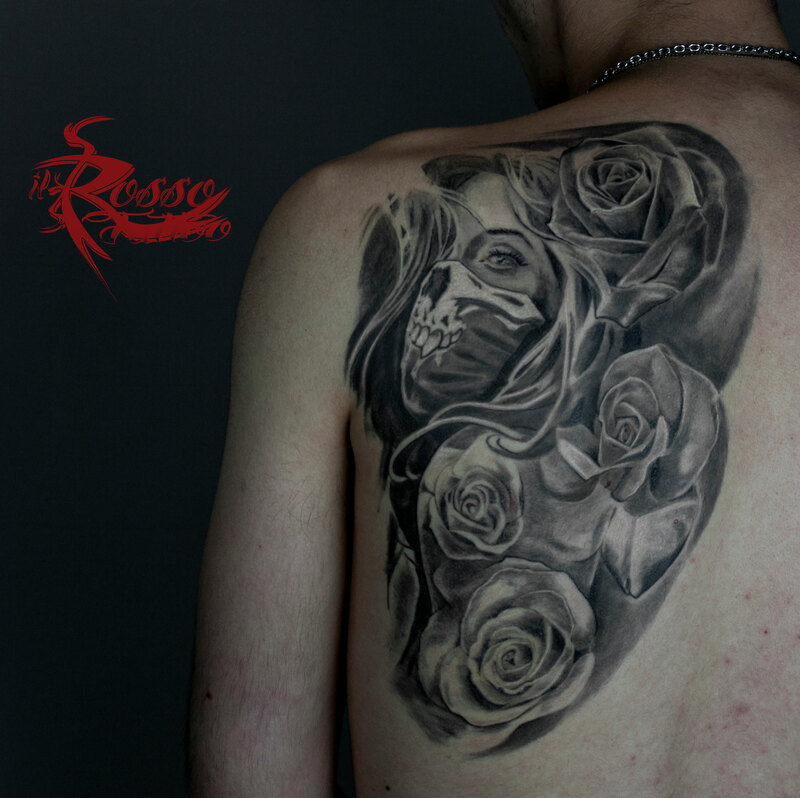 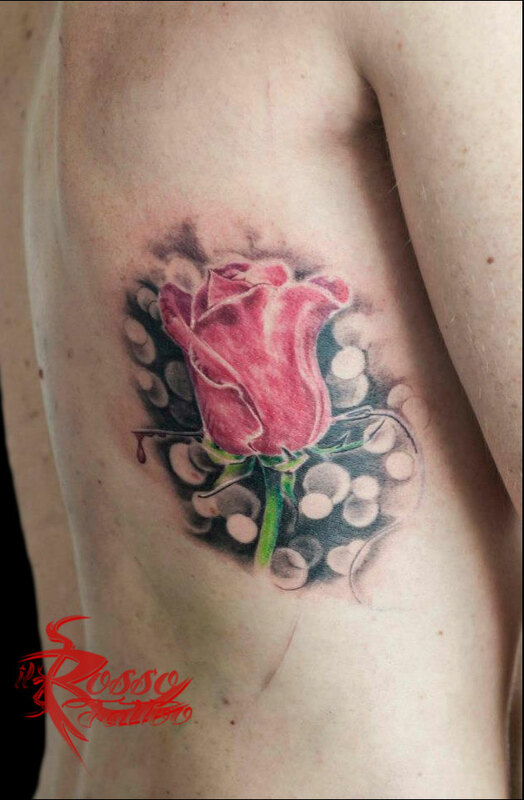 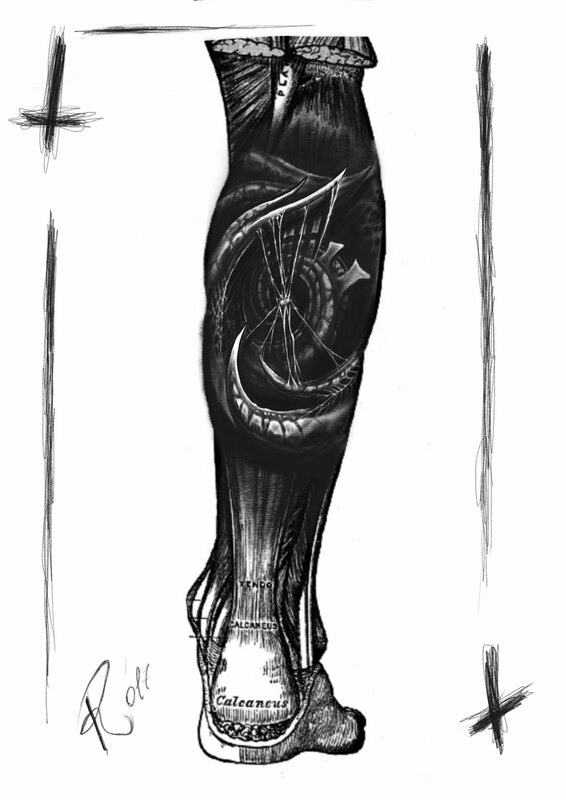 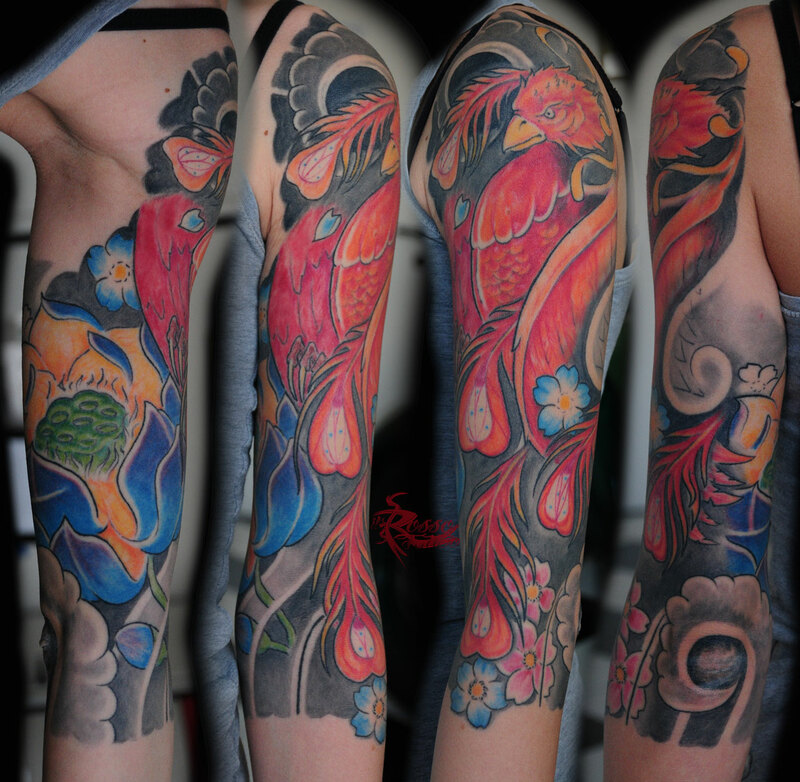 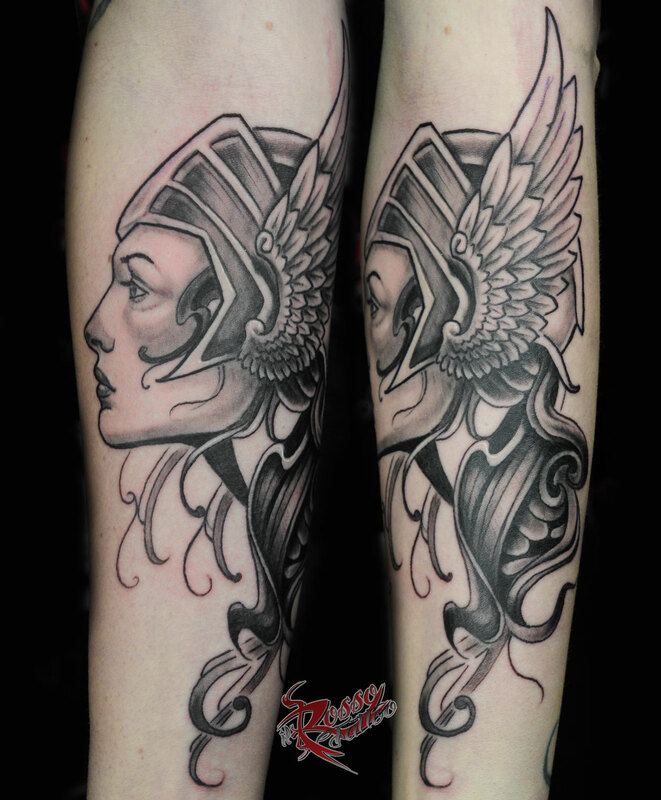 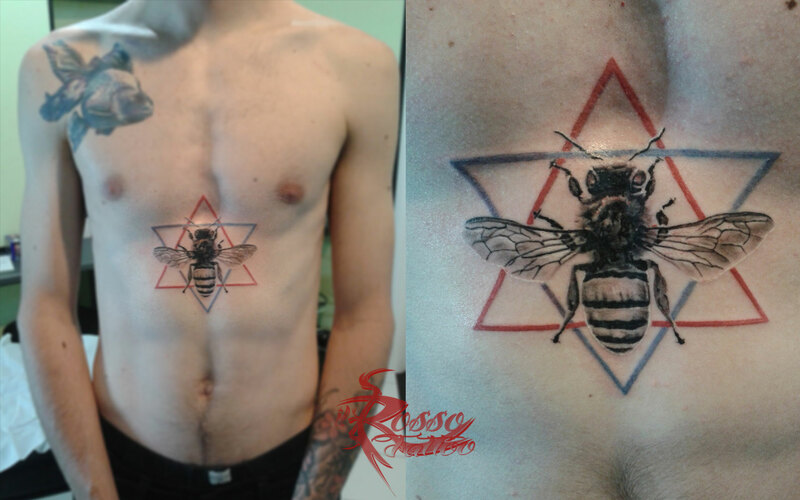 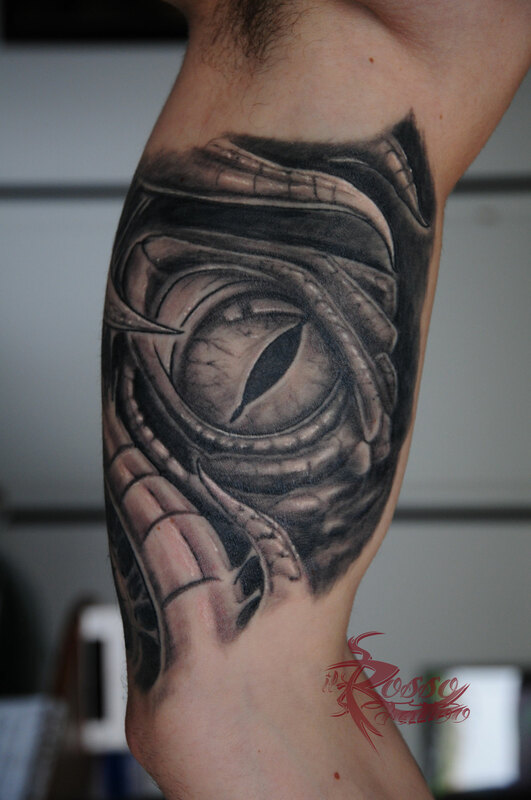 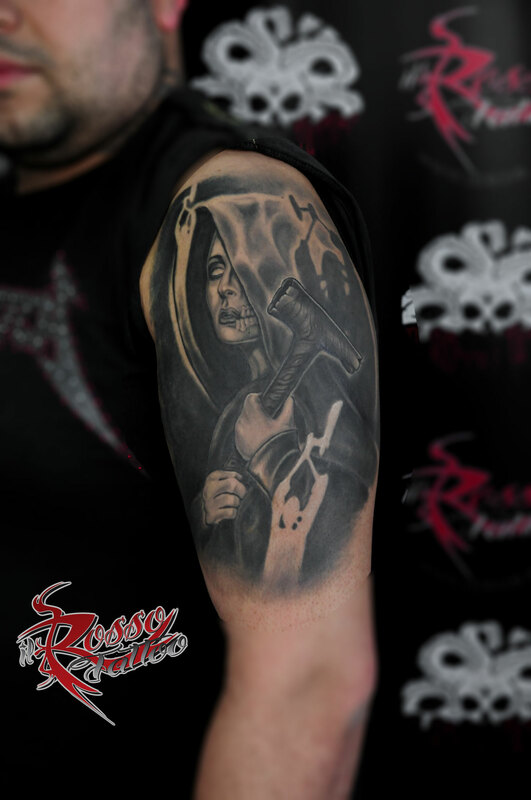 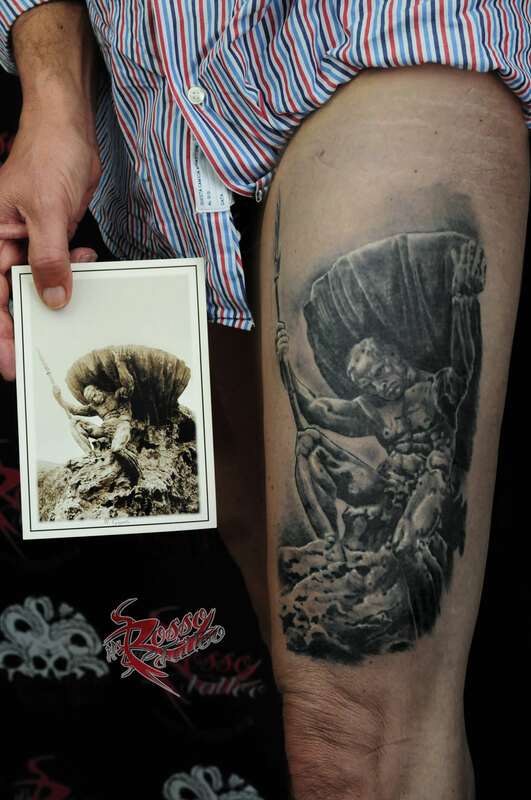 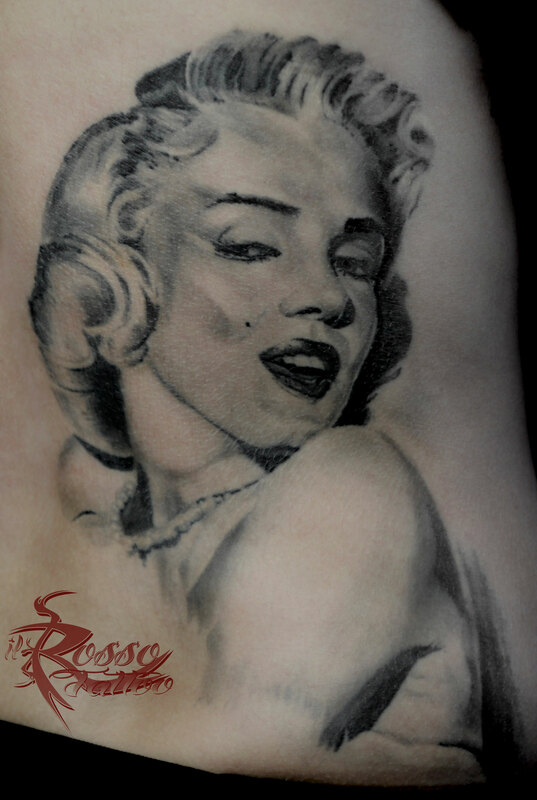 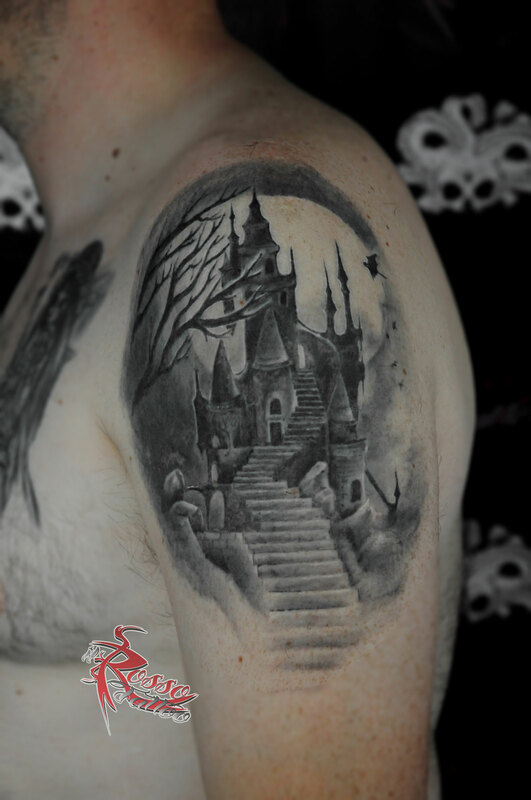 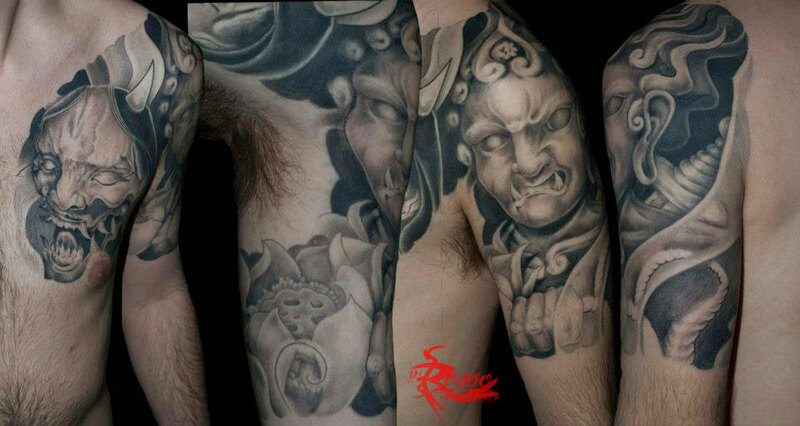 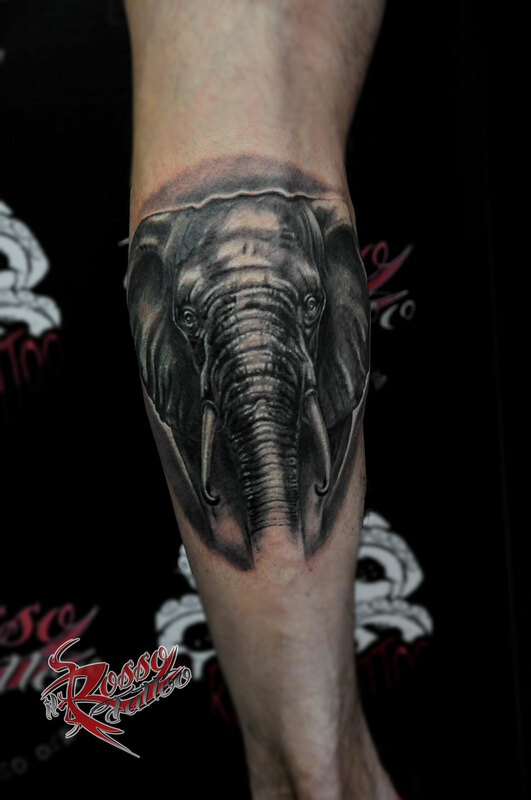 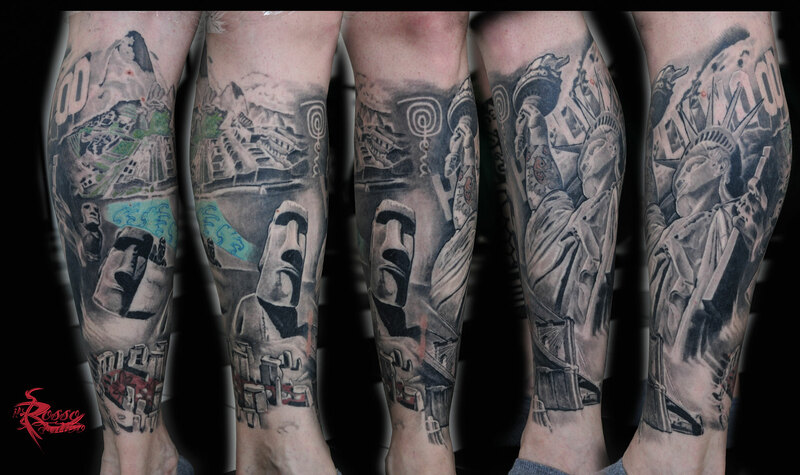 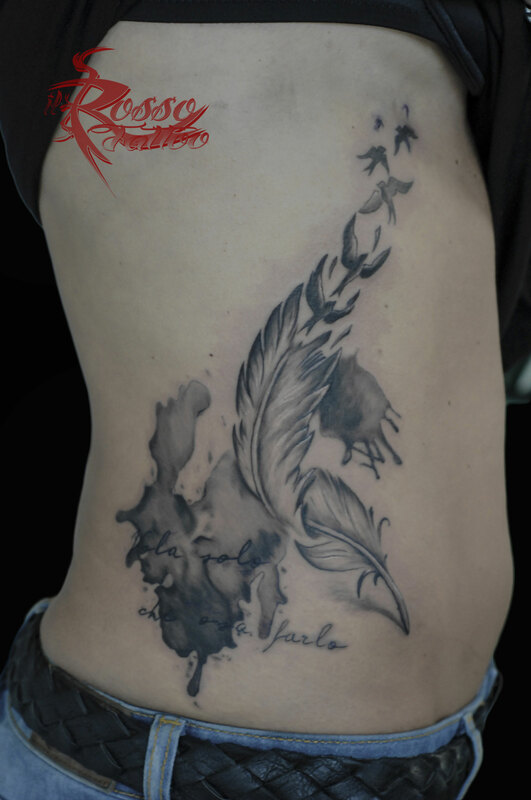 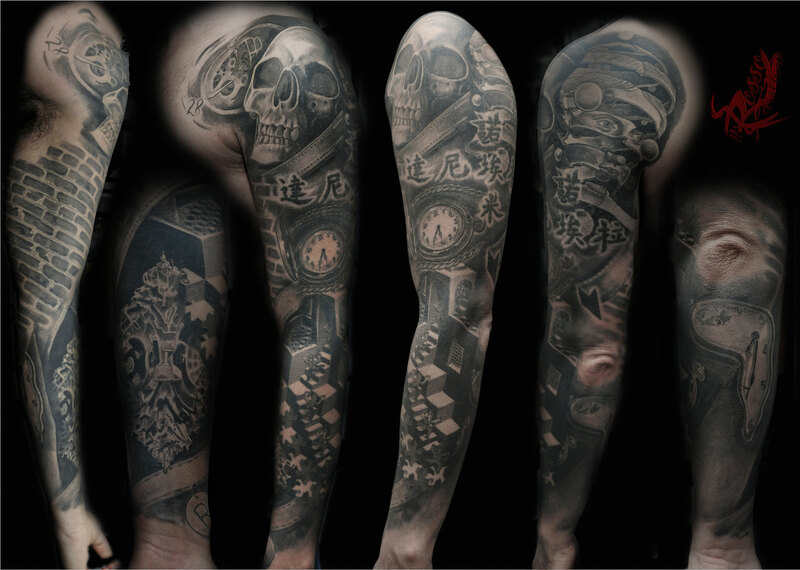 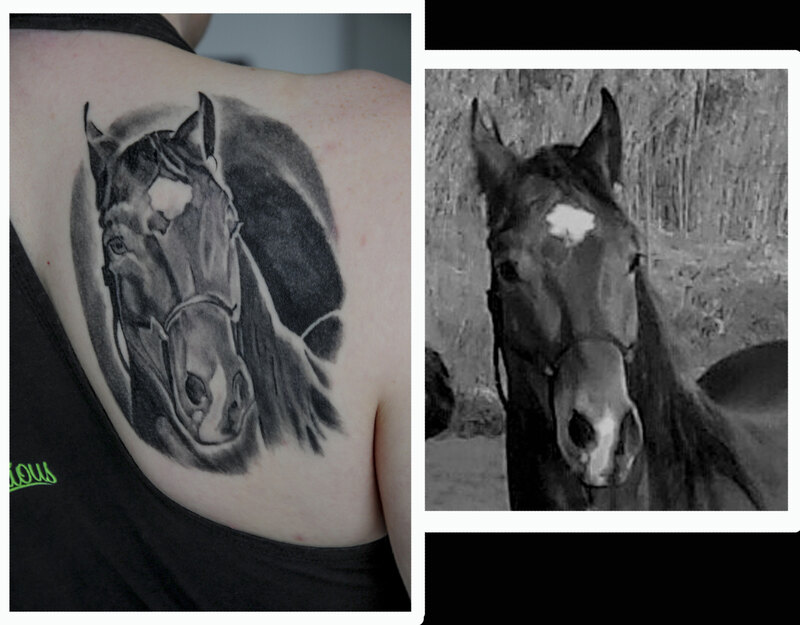 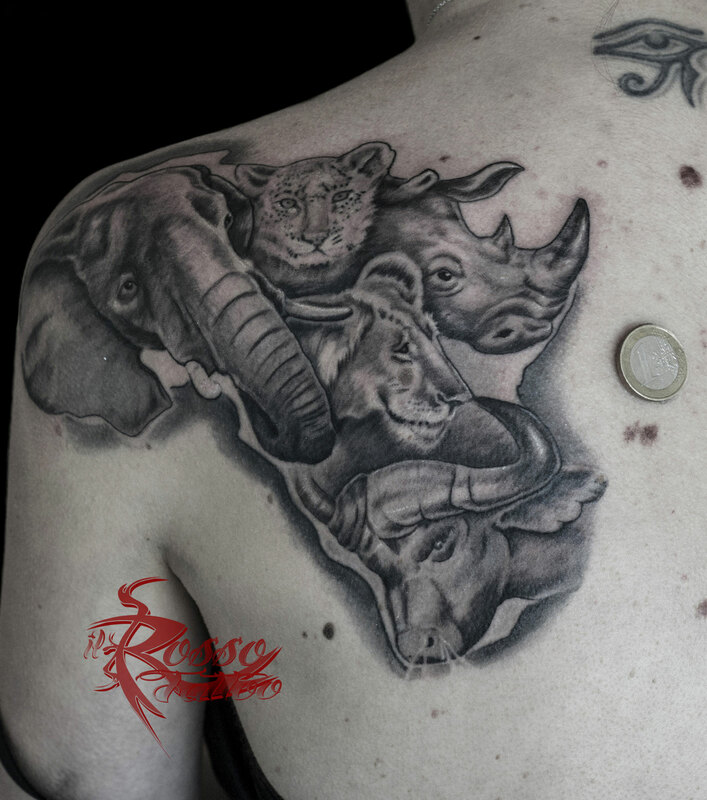 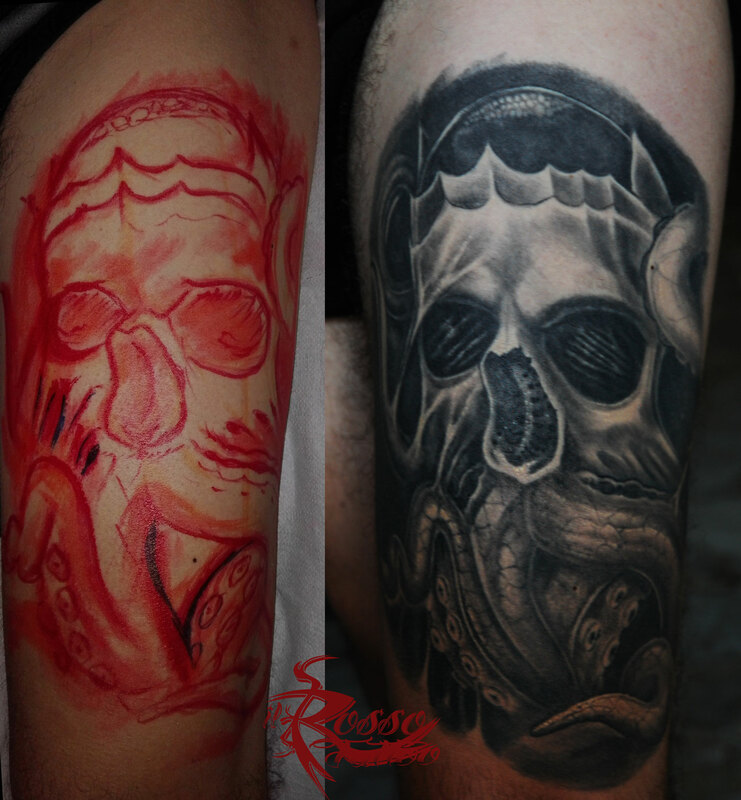 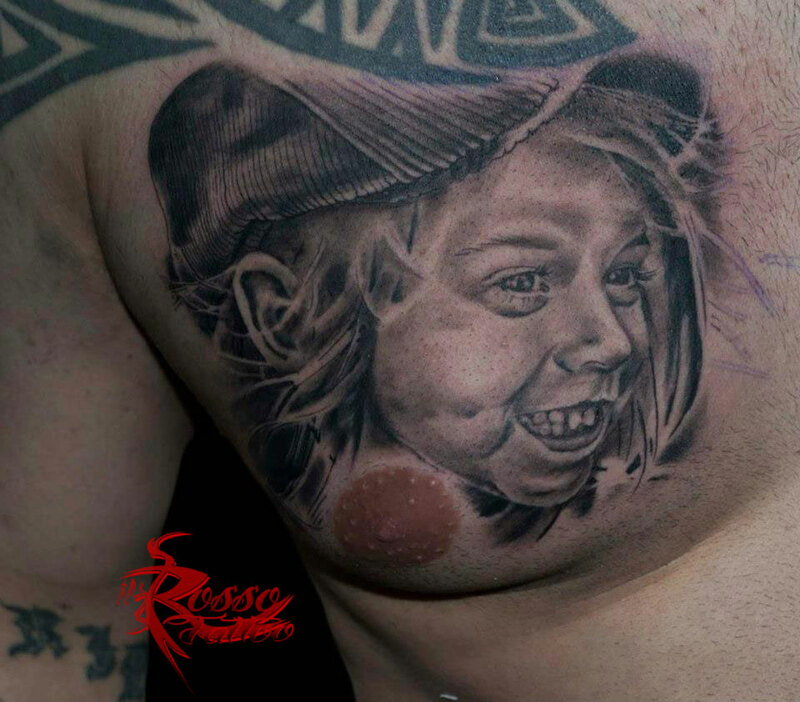 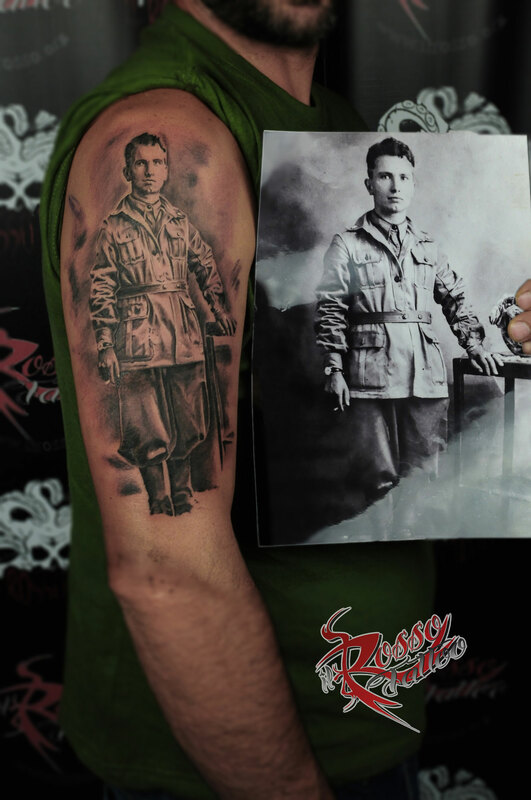 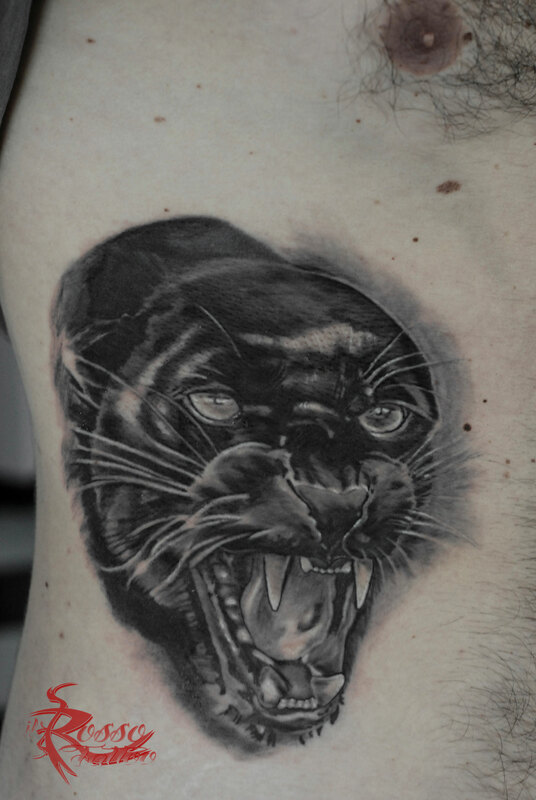 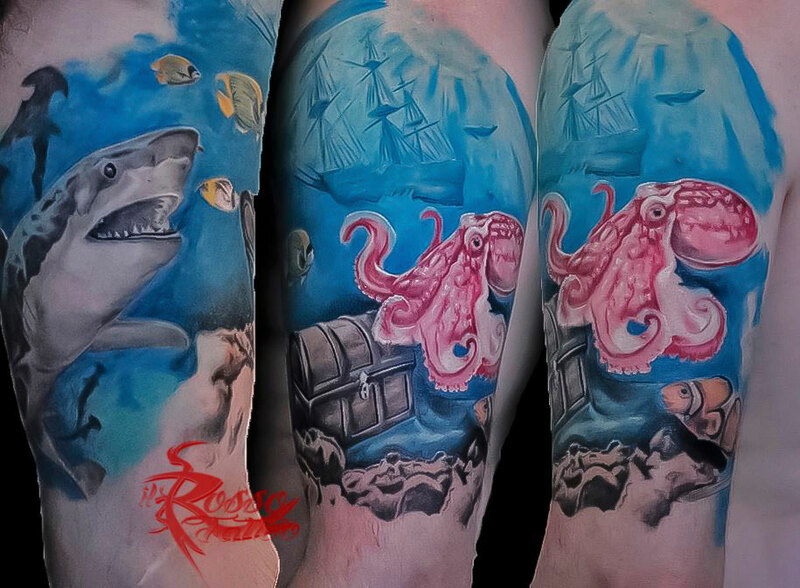 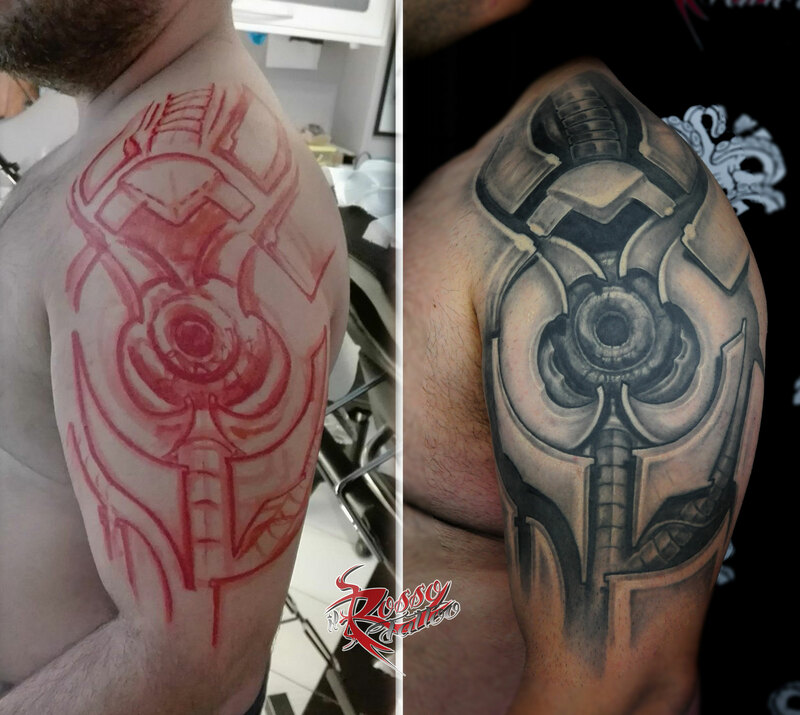 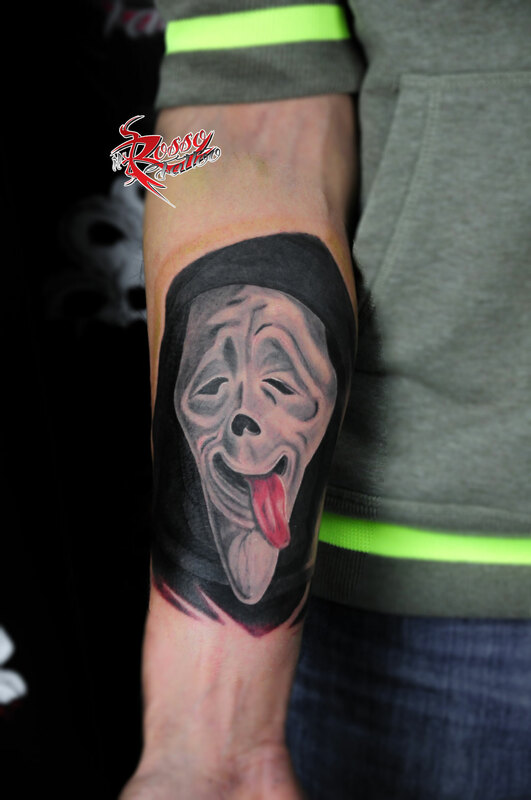 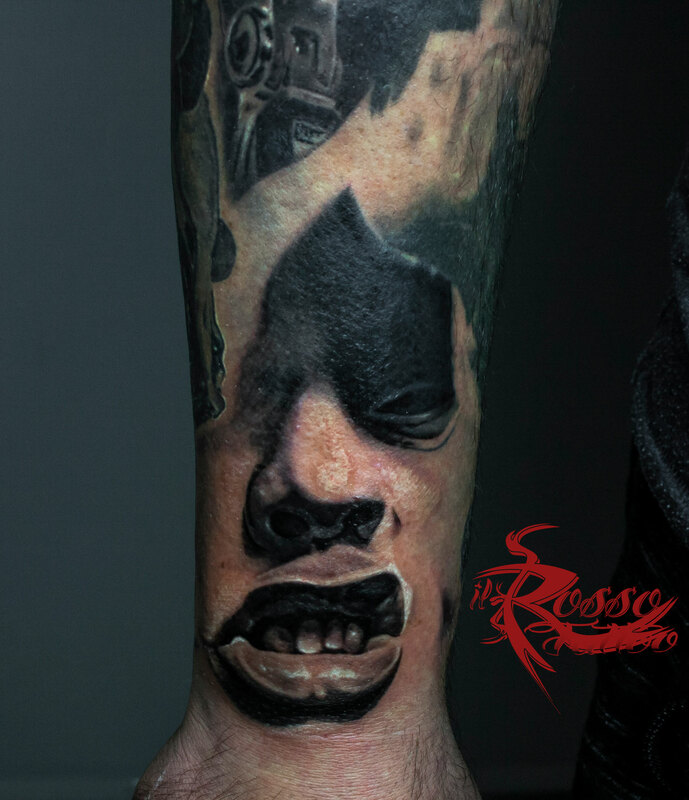 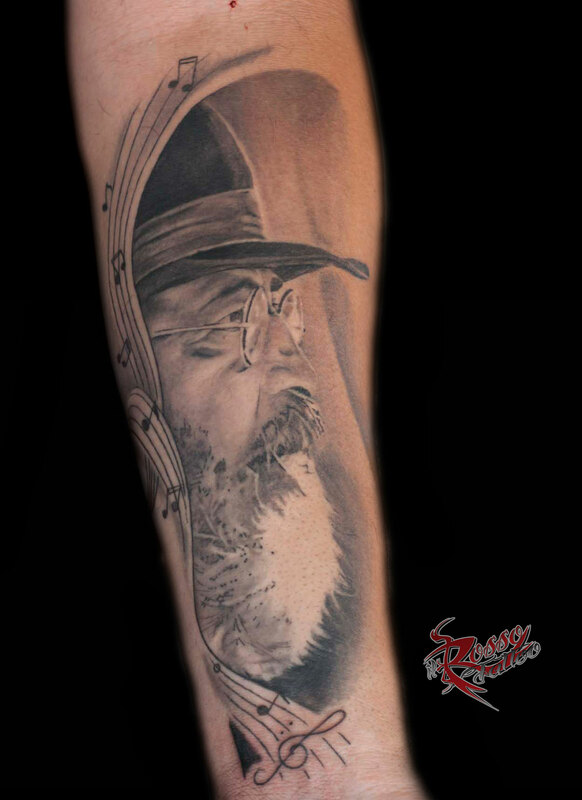 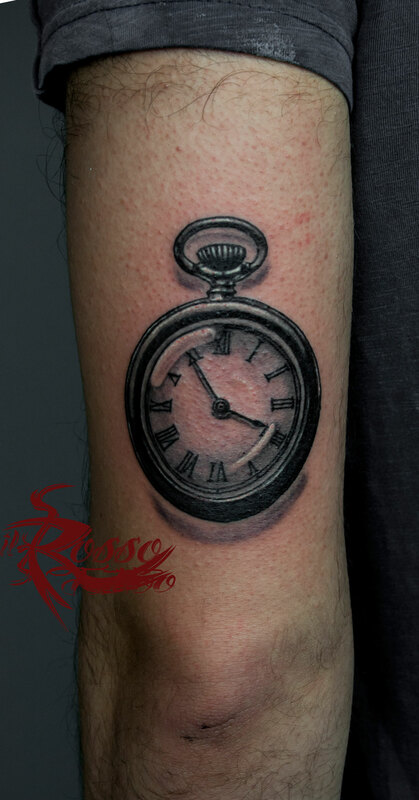 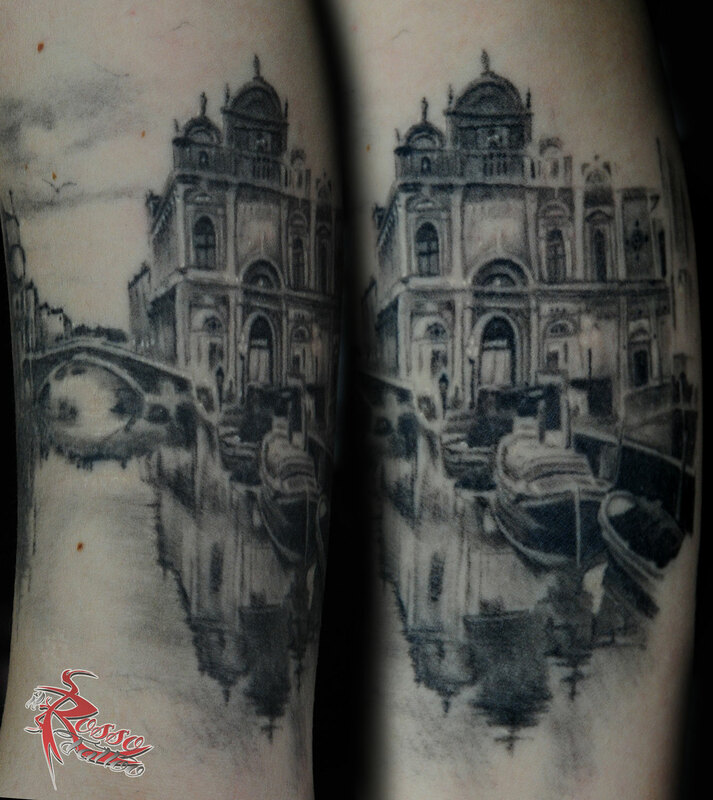 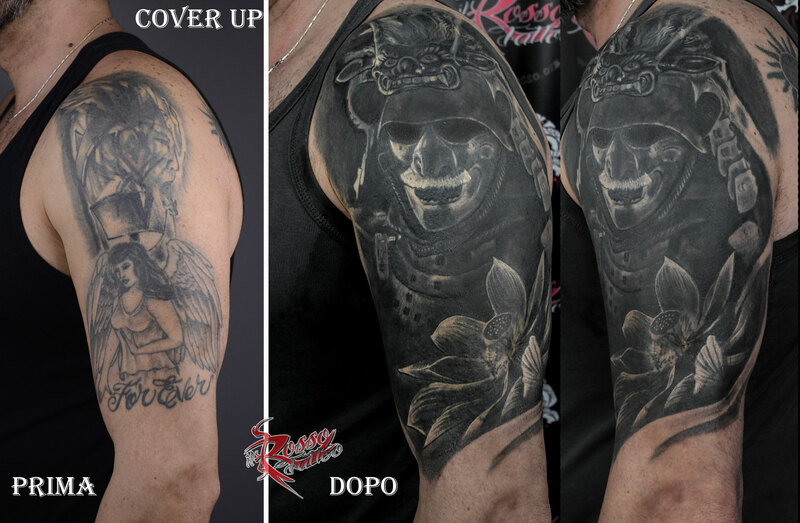 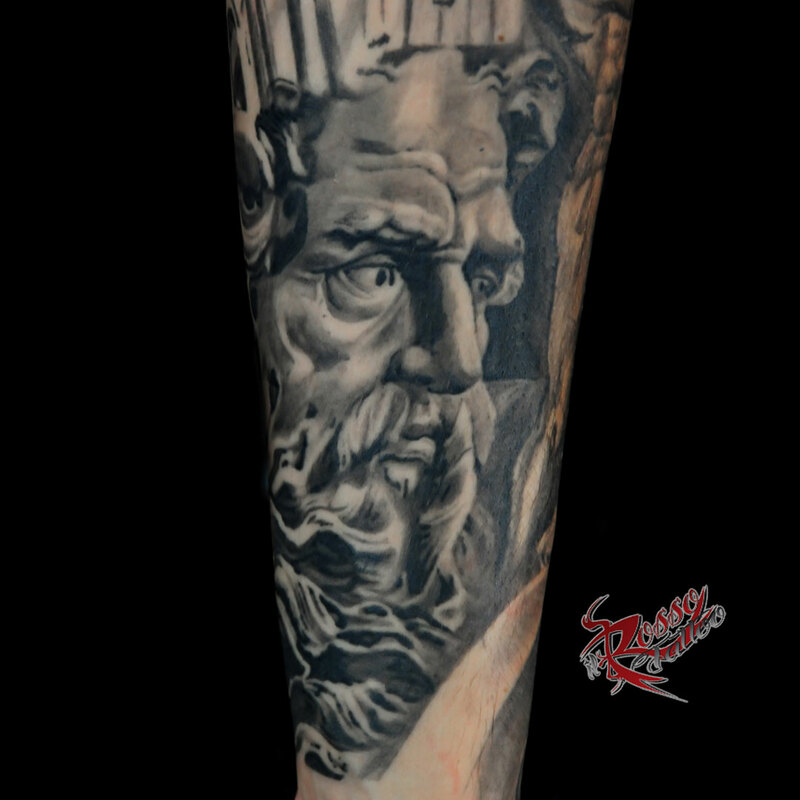 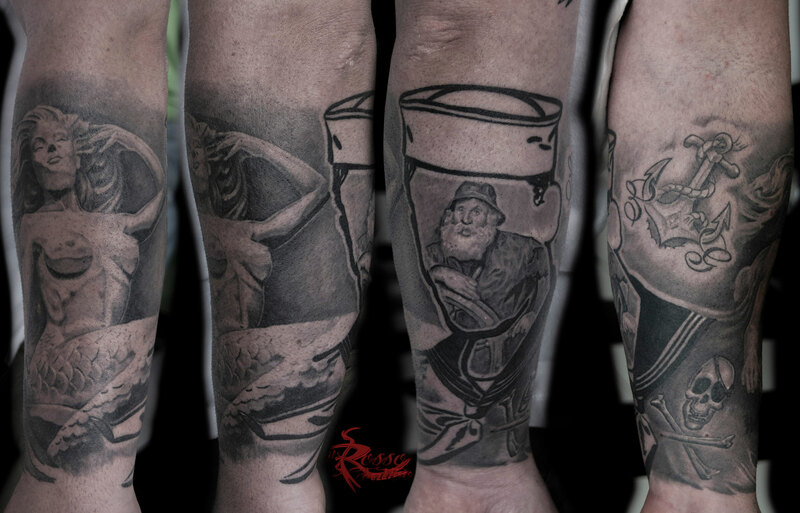 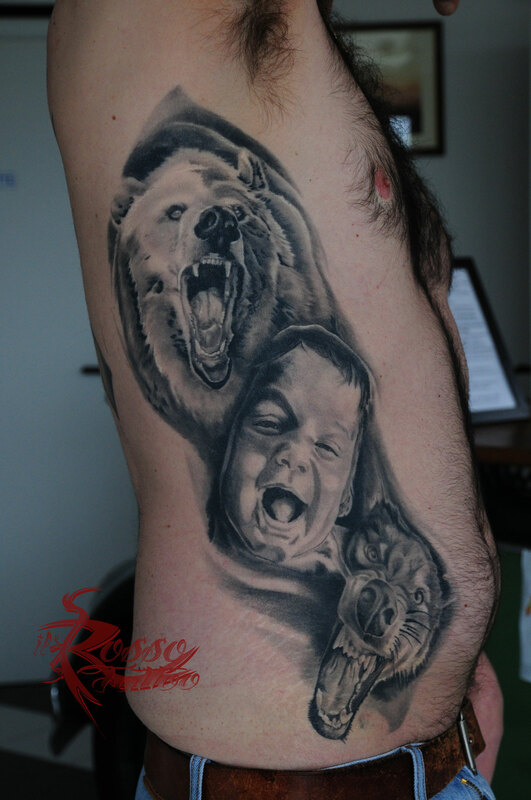 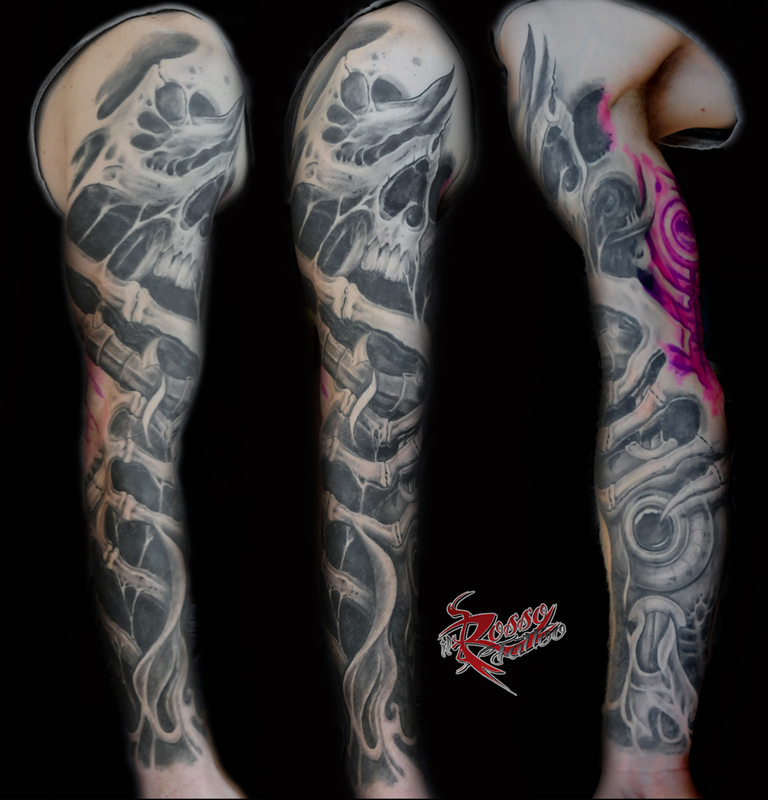 After spending time tattoing, I found my way in “Realism” preferring black and white. 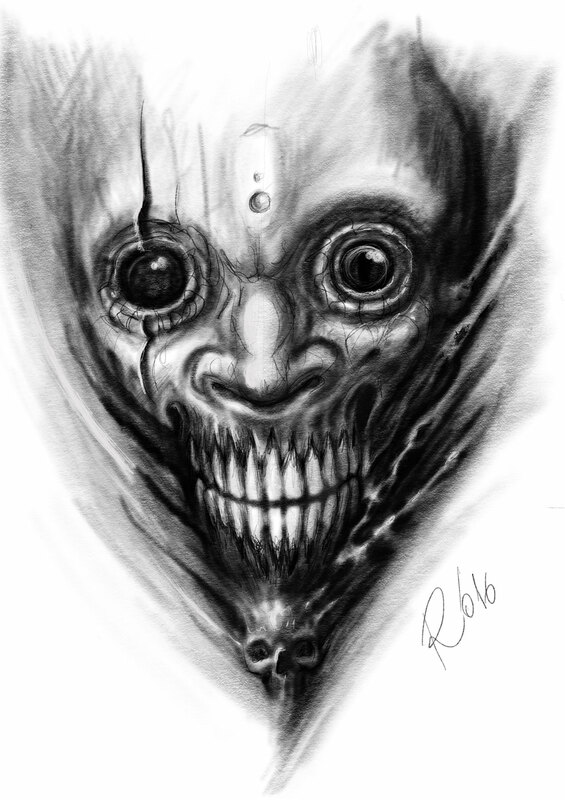 Thanks, however, to my metal soul I use the technique of realism in a style closer to my personality: Bioorganic style… I fell in love with it in a visceral way!! 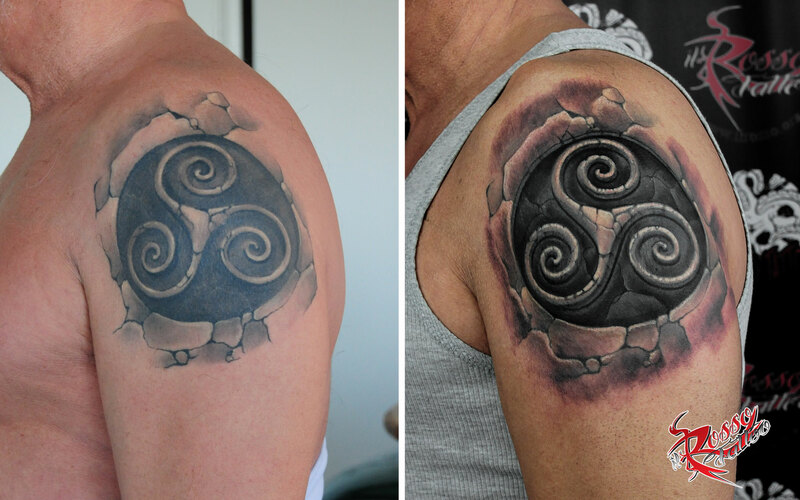 !If at first glance they may seem two totally different and distant styles, they are very close on different points of view. 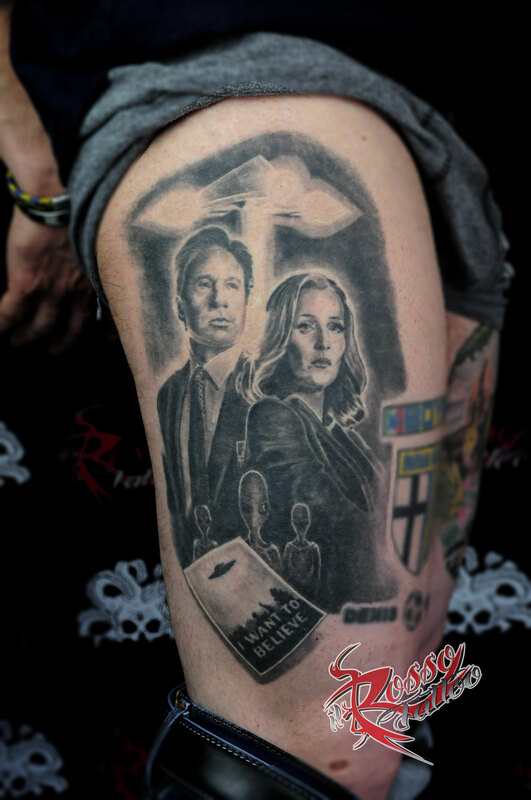 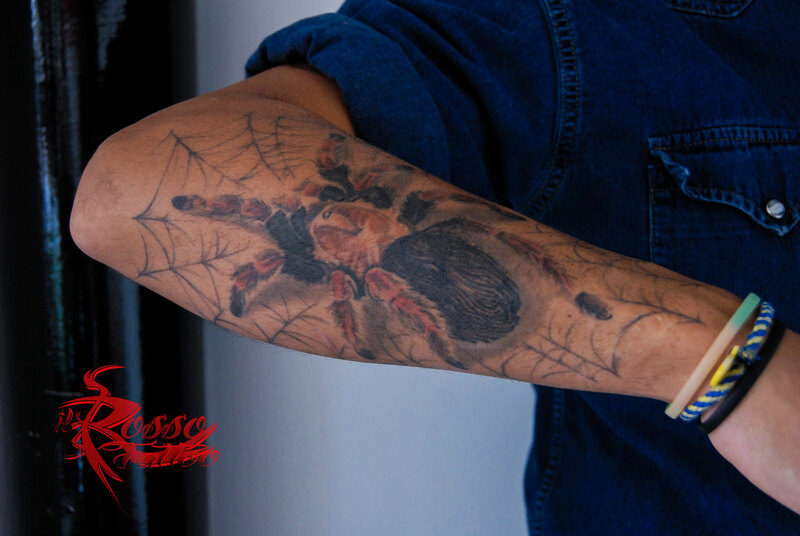 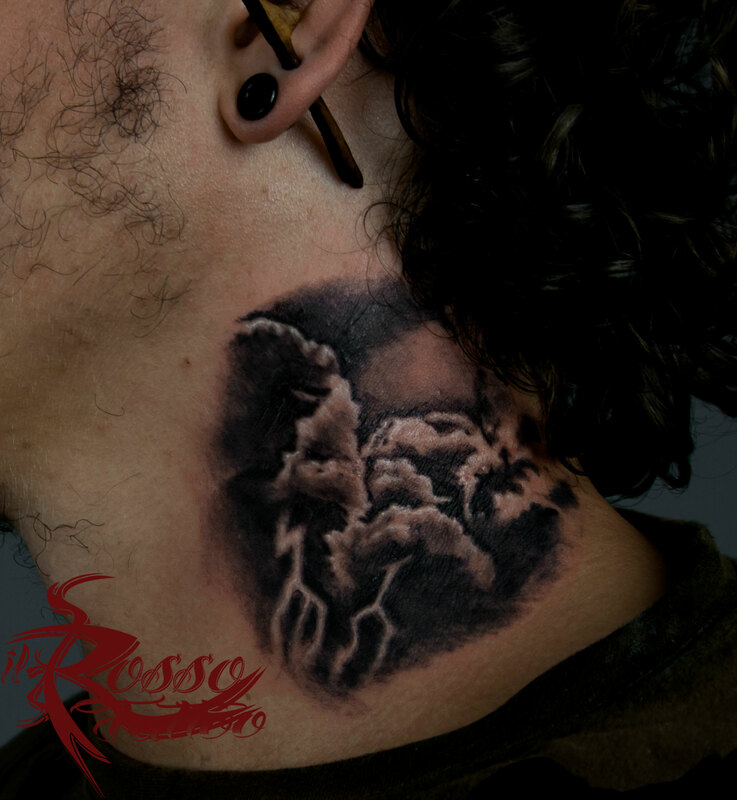 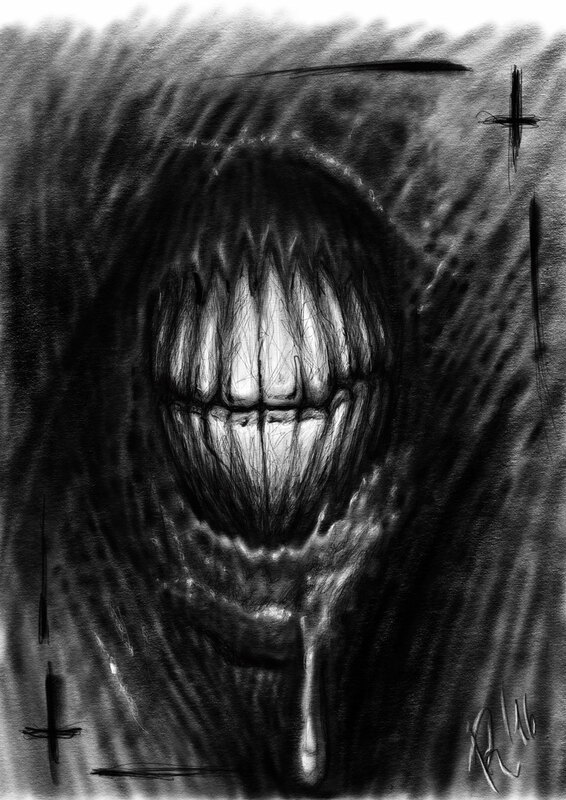 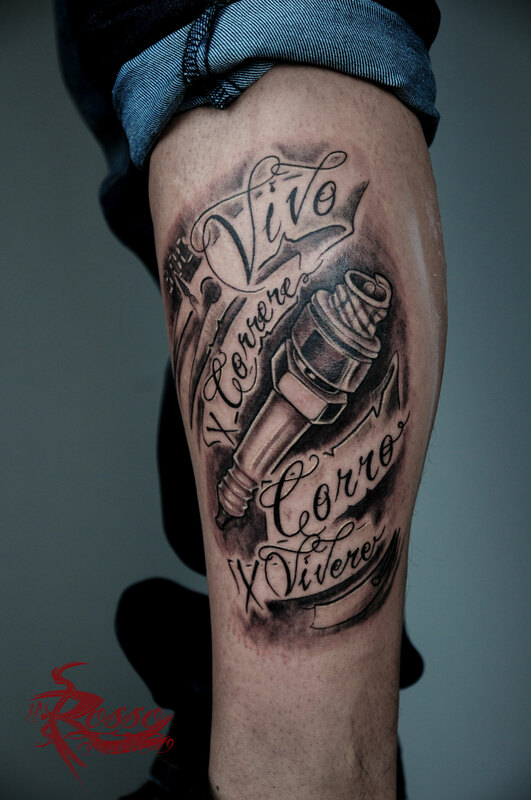 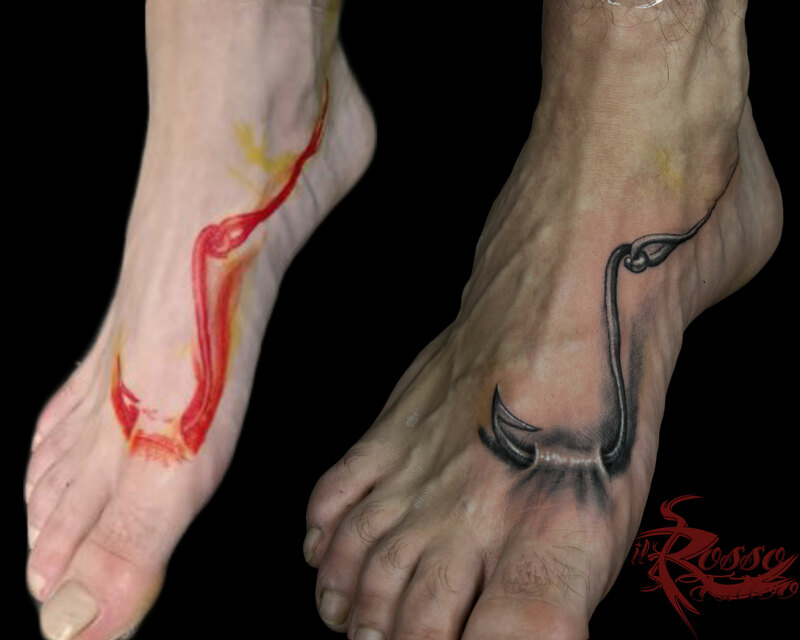 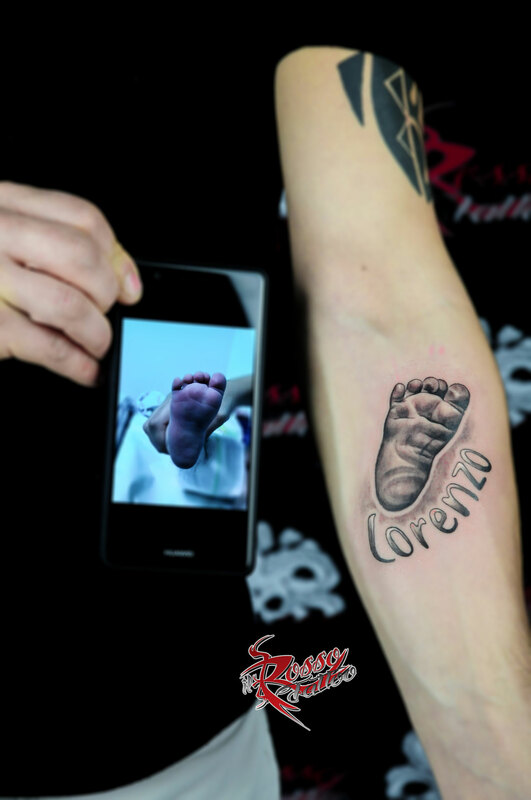 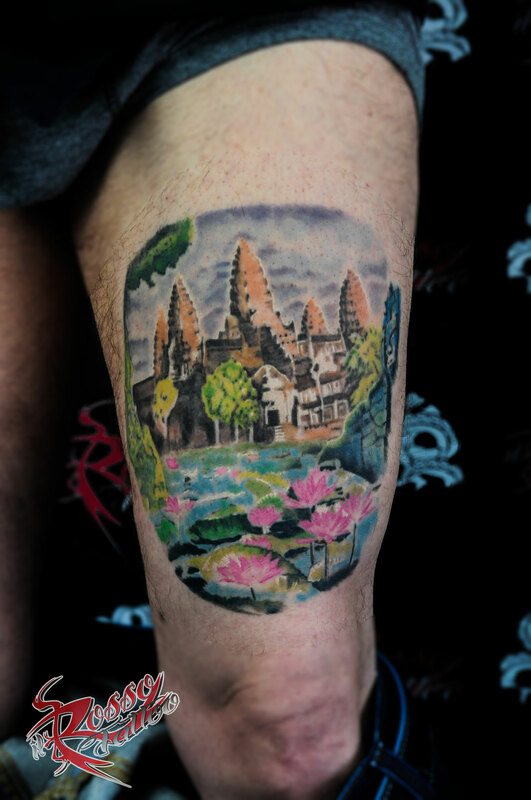 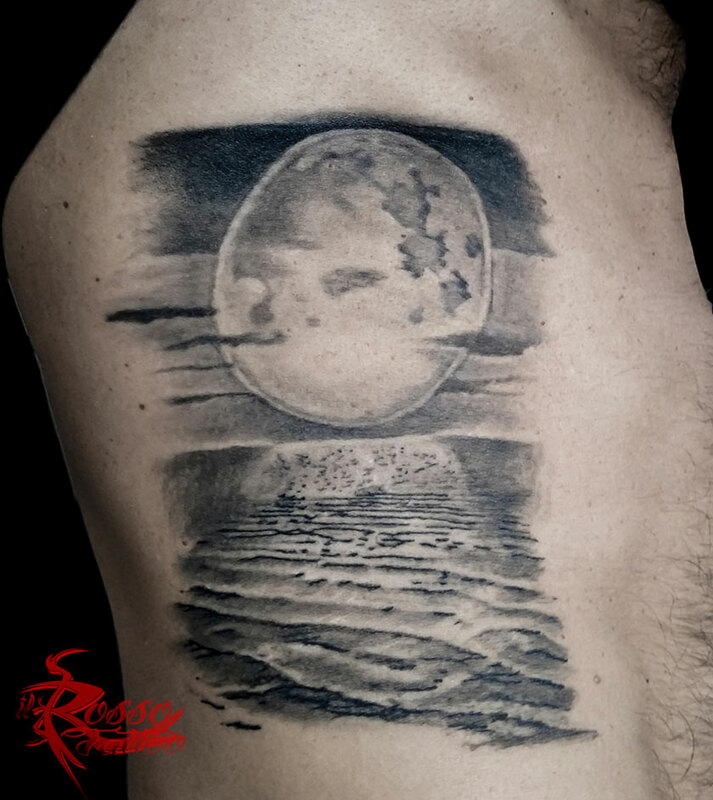 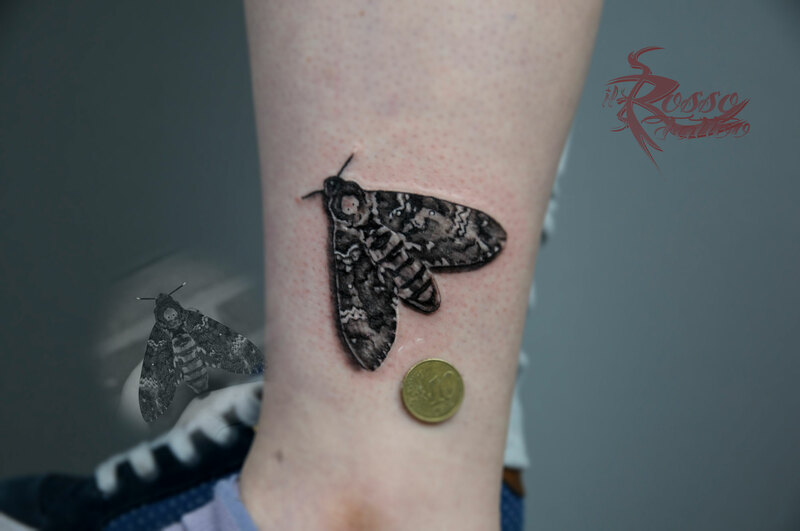 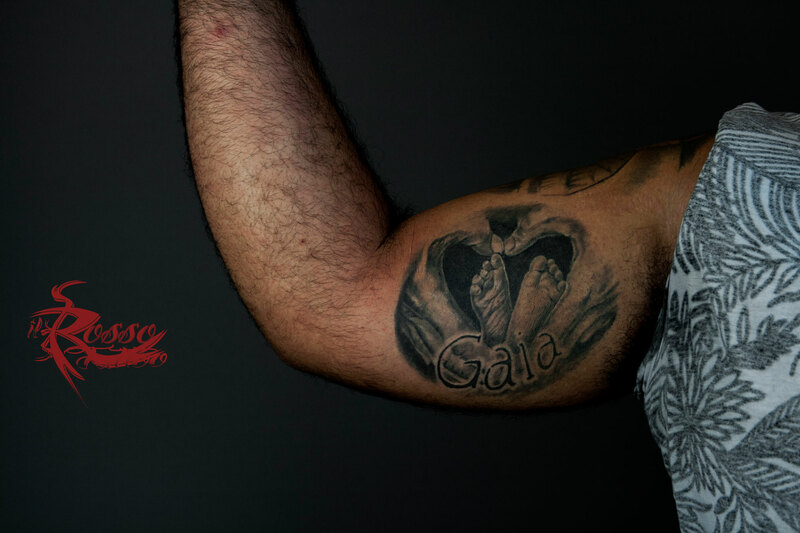 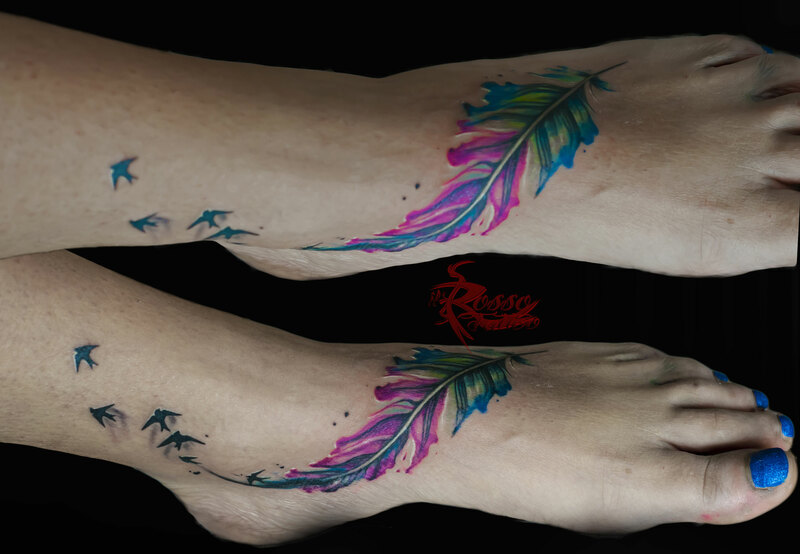 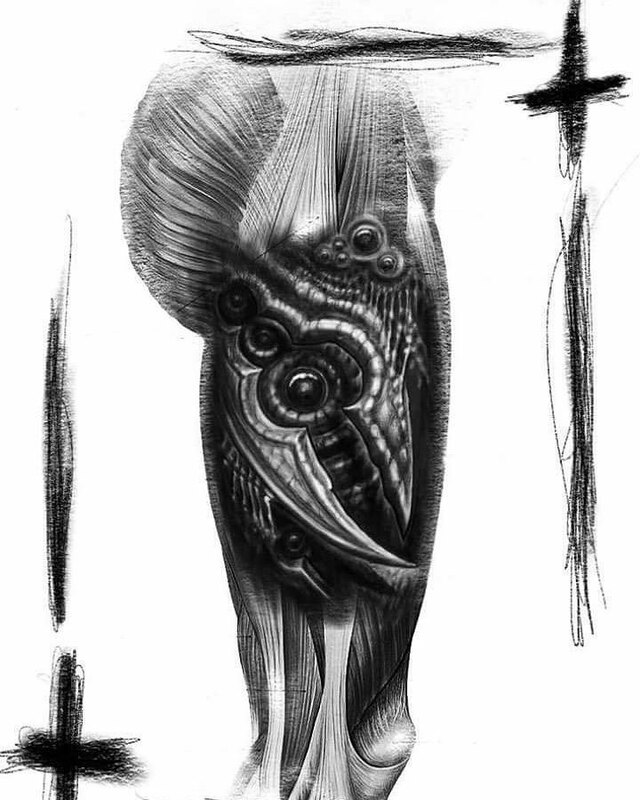 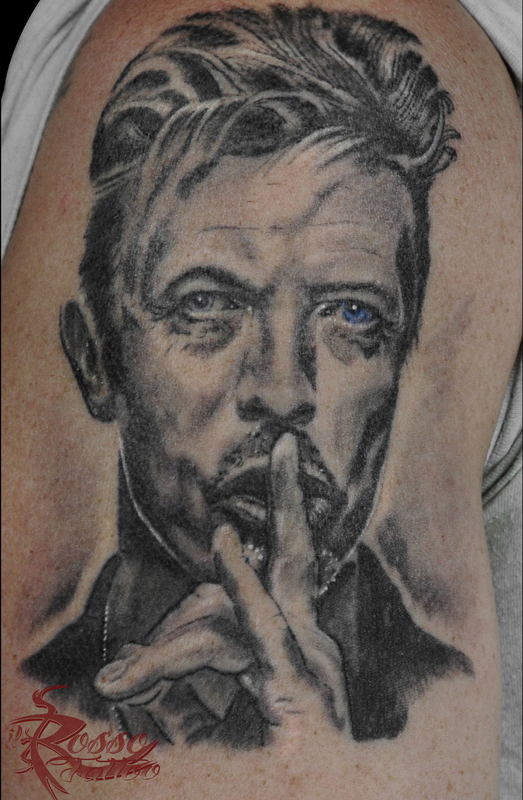 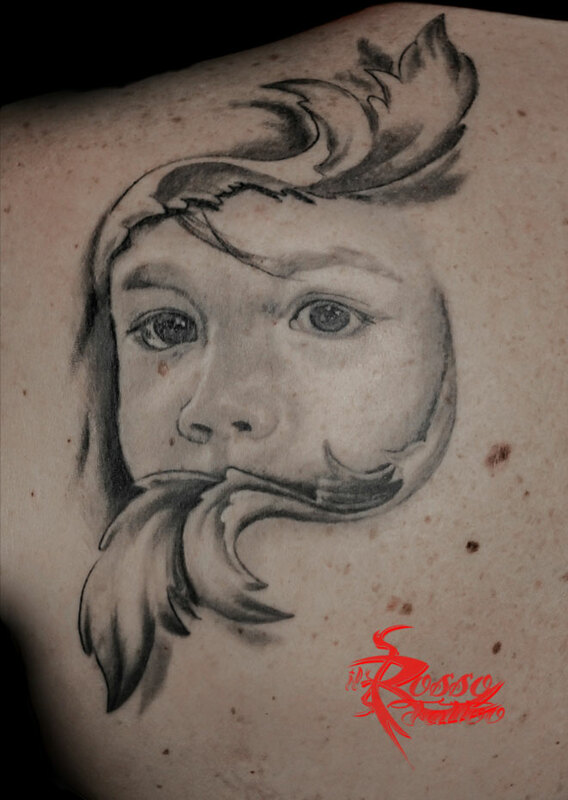 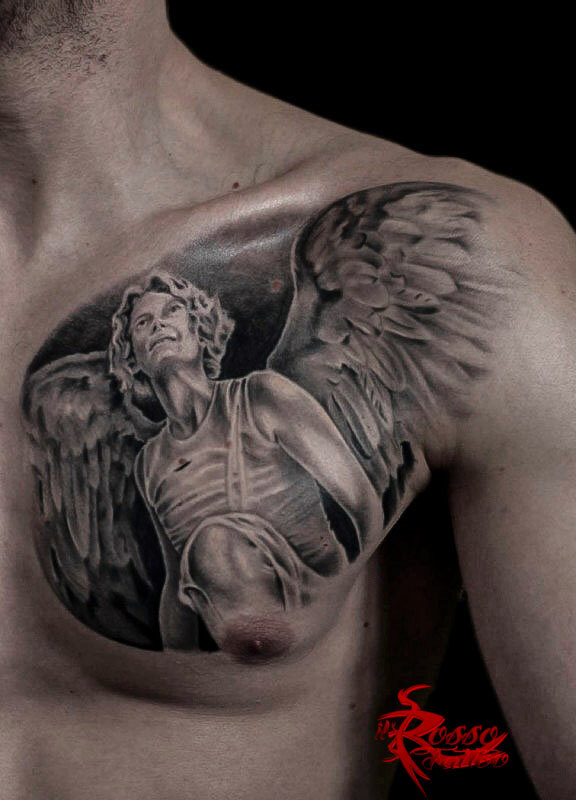 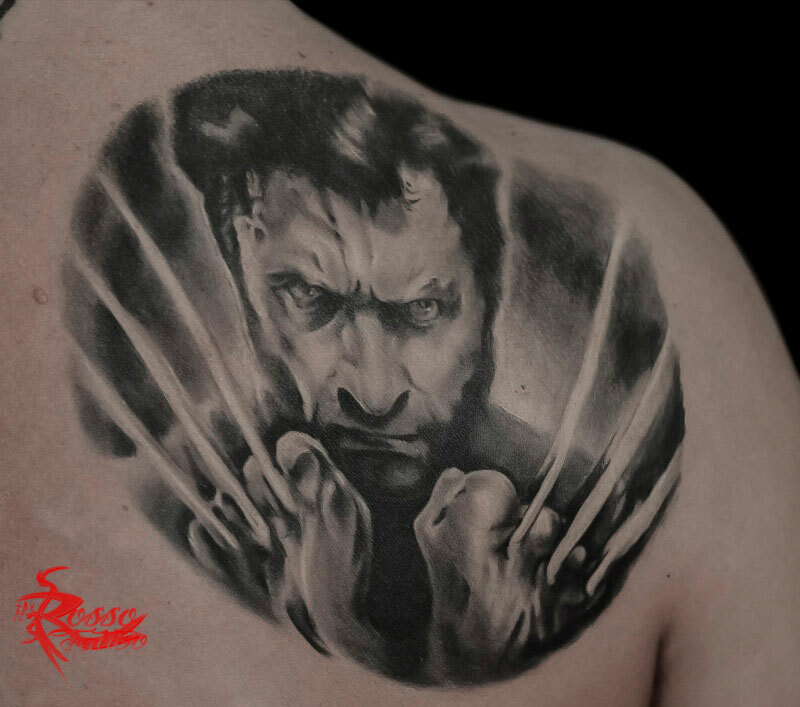 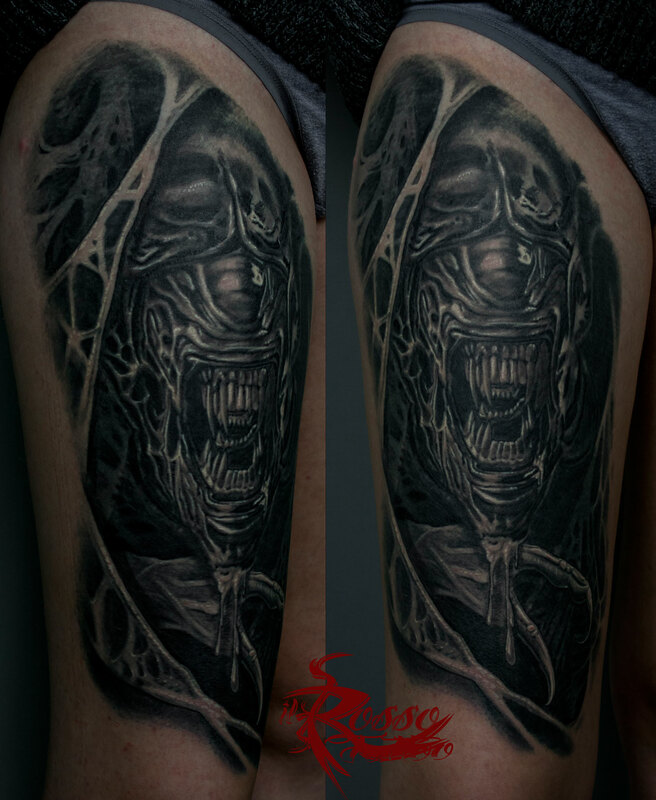 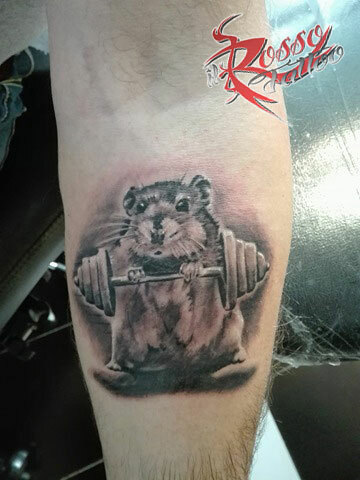 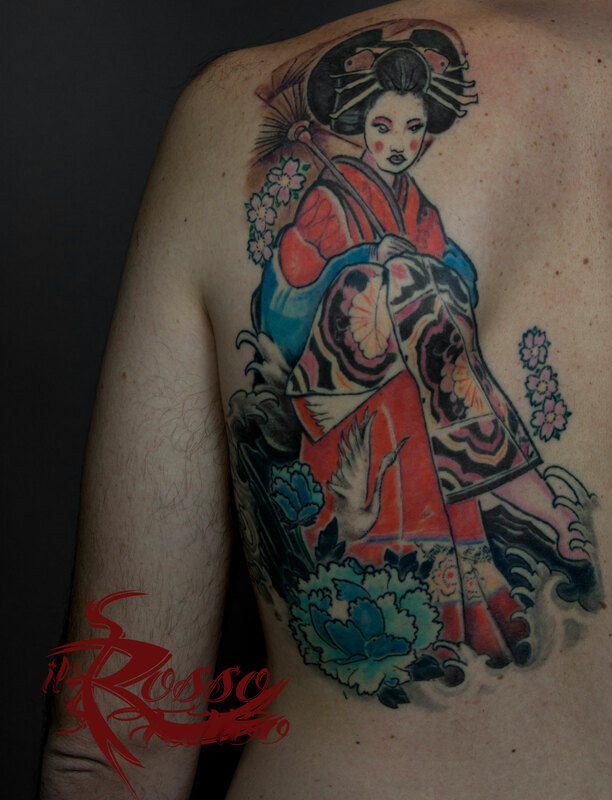 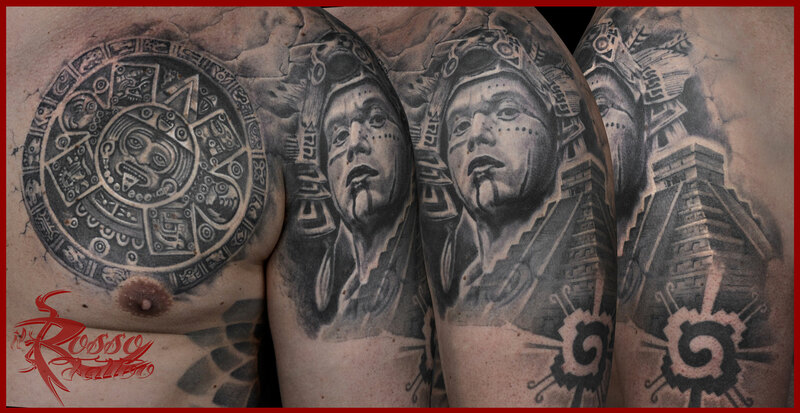 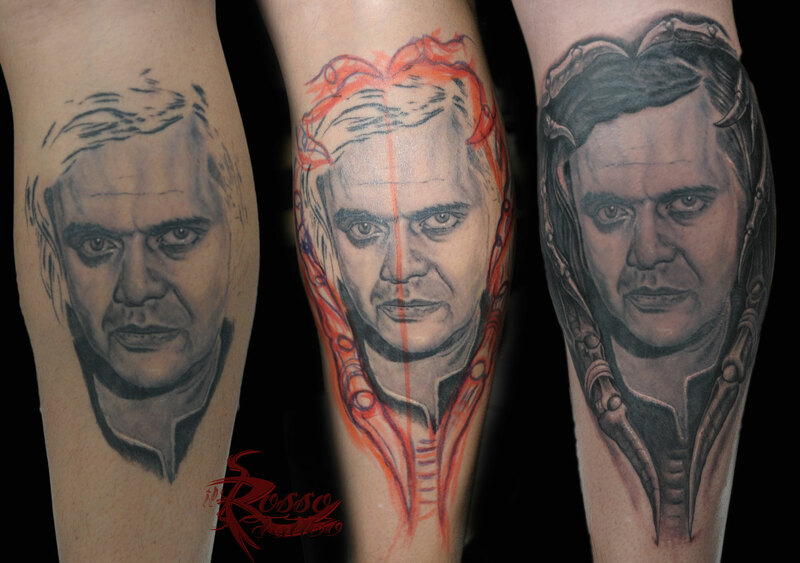 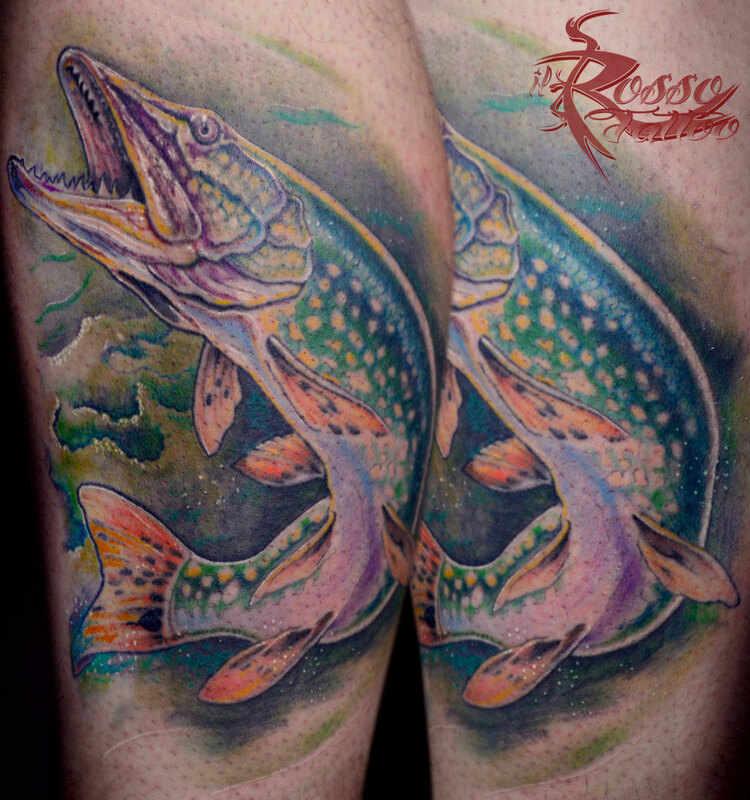 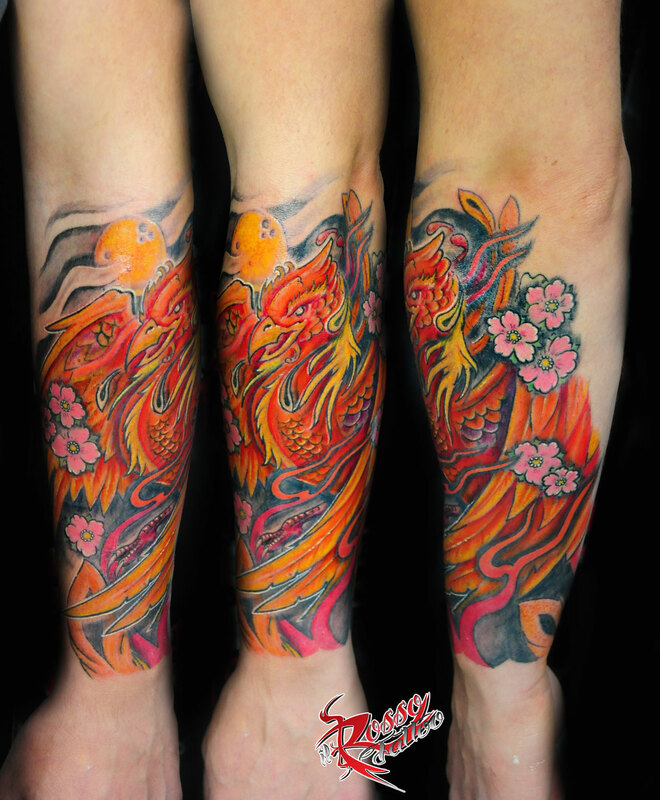 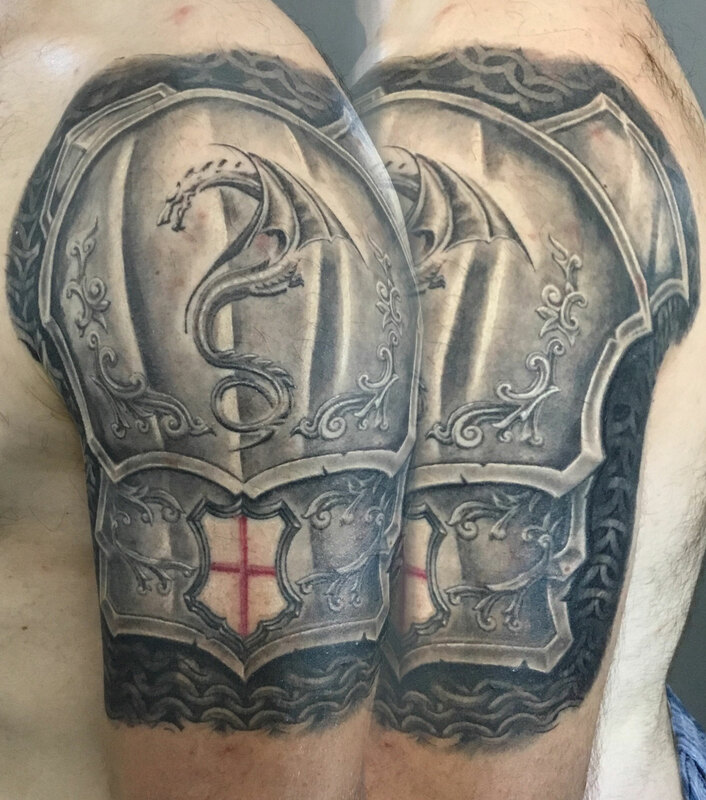 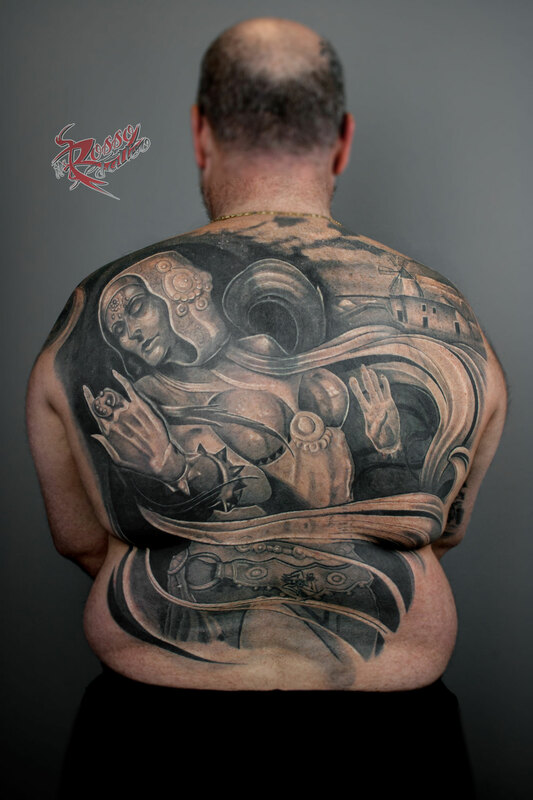 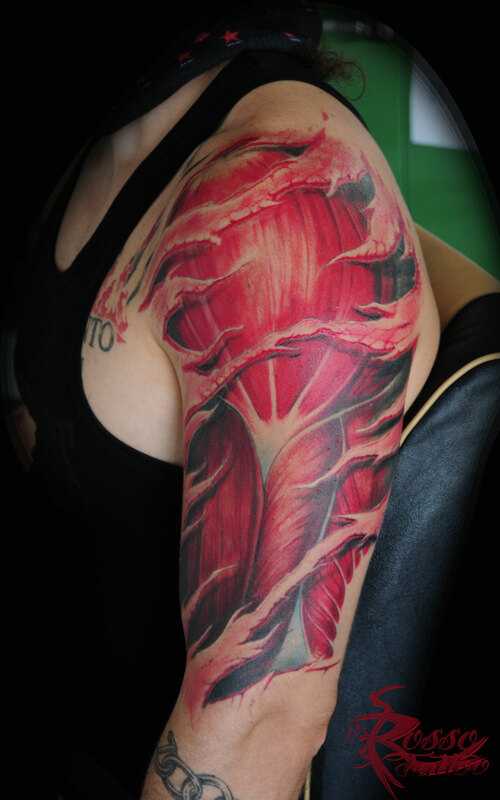 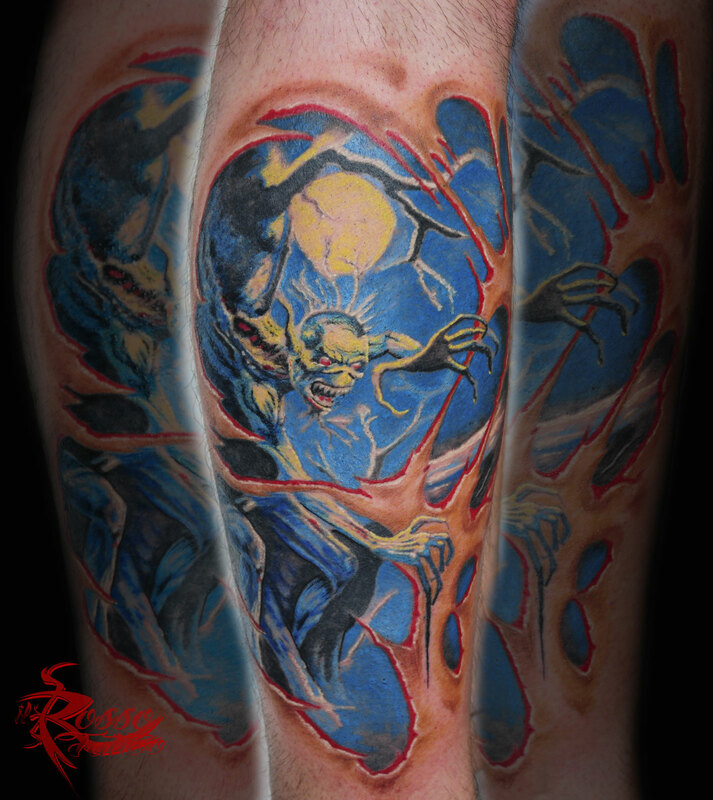 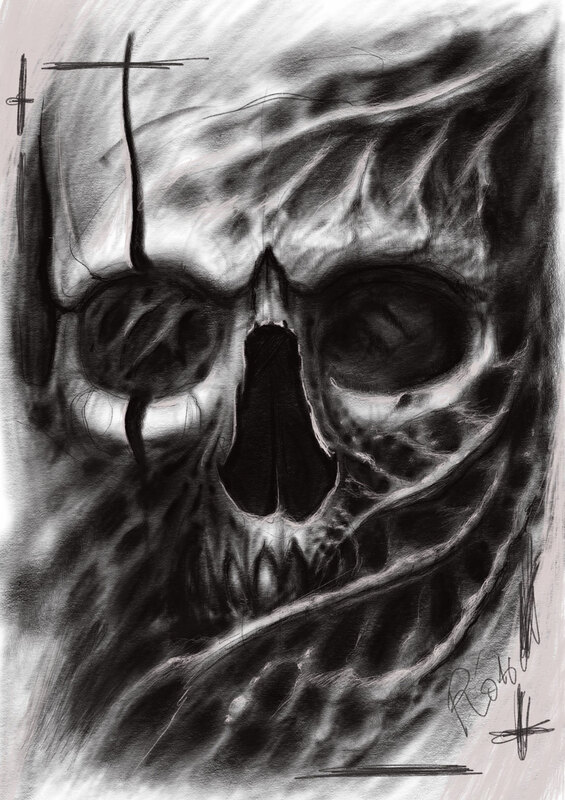 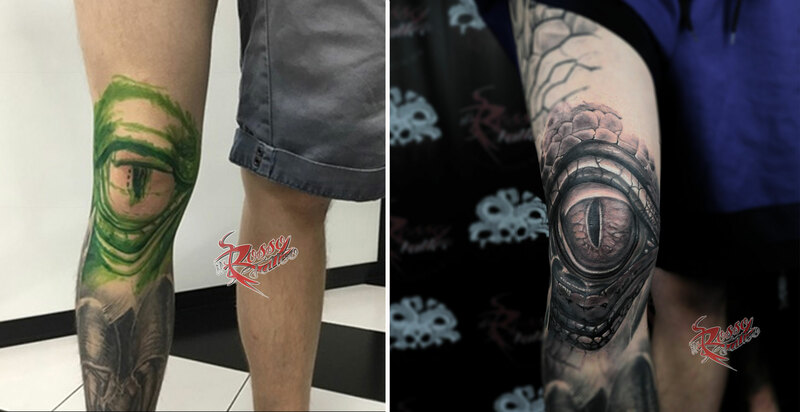 I try to put a part of “Realism” in all my bioorganic, meticulously researching lights and shadows to convey strong emotions and a widespread sense of three-dimensionality that serve to “merge” the tattoo with our body. 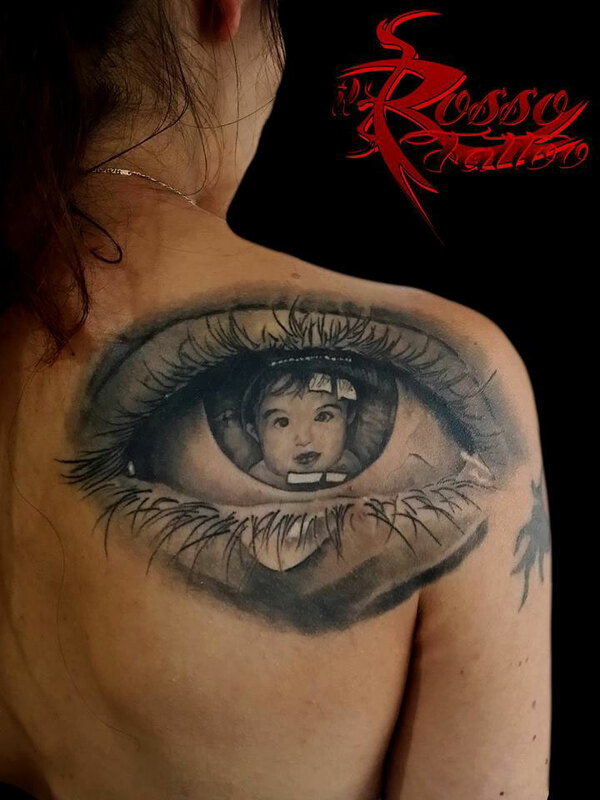 I deeply believe that every good artist who is in love with his art should have an artistic background of realism in order to be able to interpret reality according to his artistic-psychological vision, reinterpreting and reinventing themselves and their works. 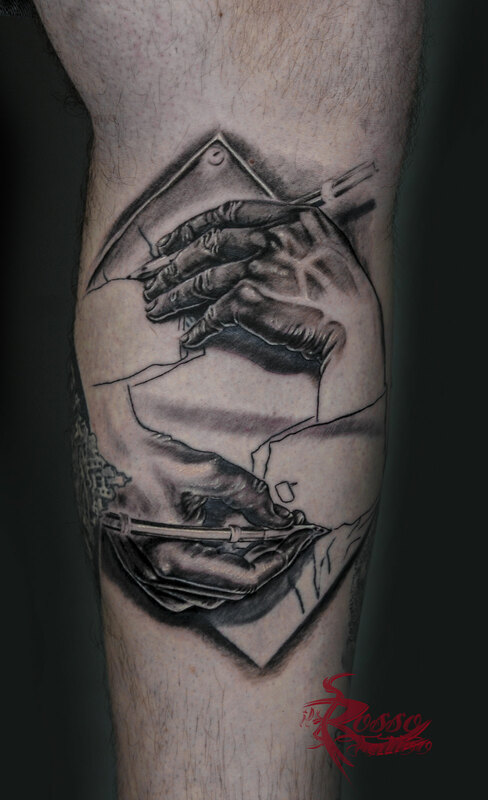 Pablo Picasso studied for years life drawing before devoting himself to “Cubism” and I think that “Guernica”, today, would not be the same great and indelible work without a knowledge. 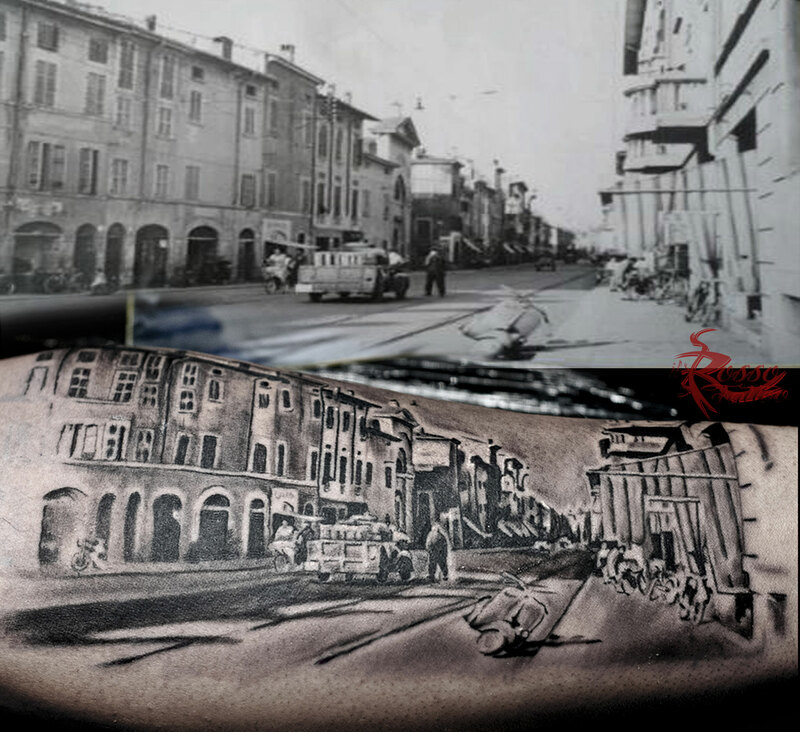 Over the years, I’ve cultivated various and different interests such as playing drums, love for vintage cars, grind kilometers with my bike but nothing like drawing. 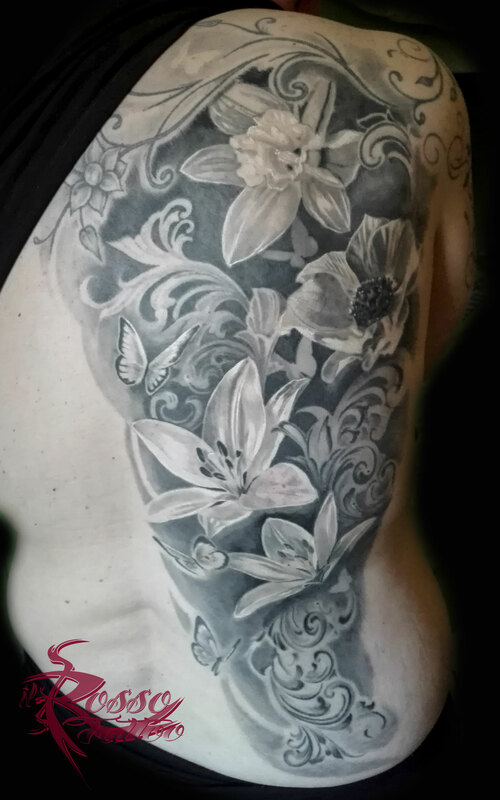 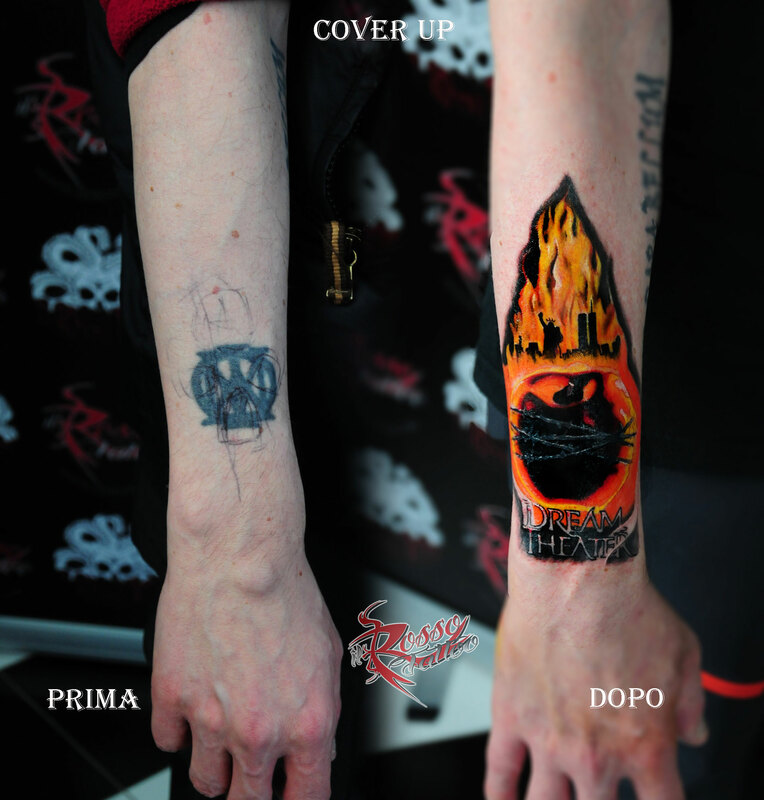 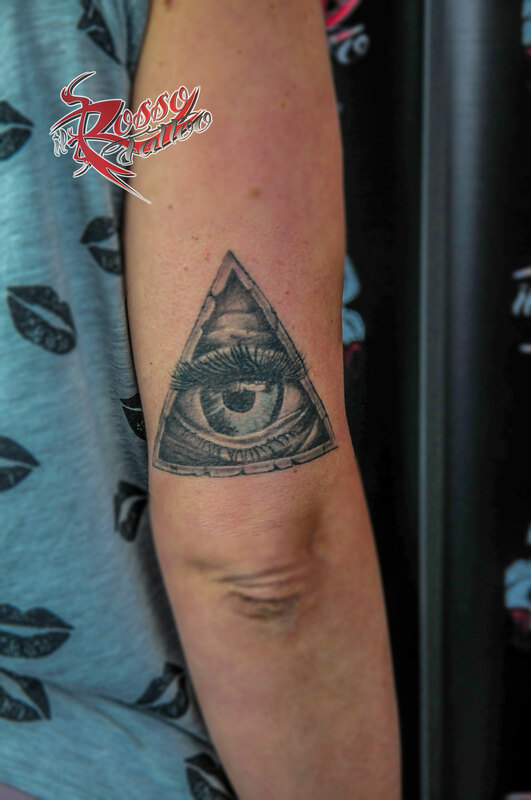 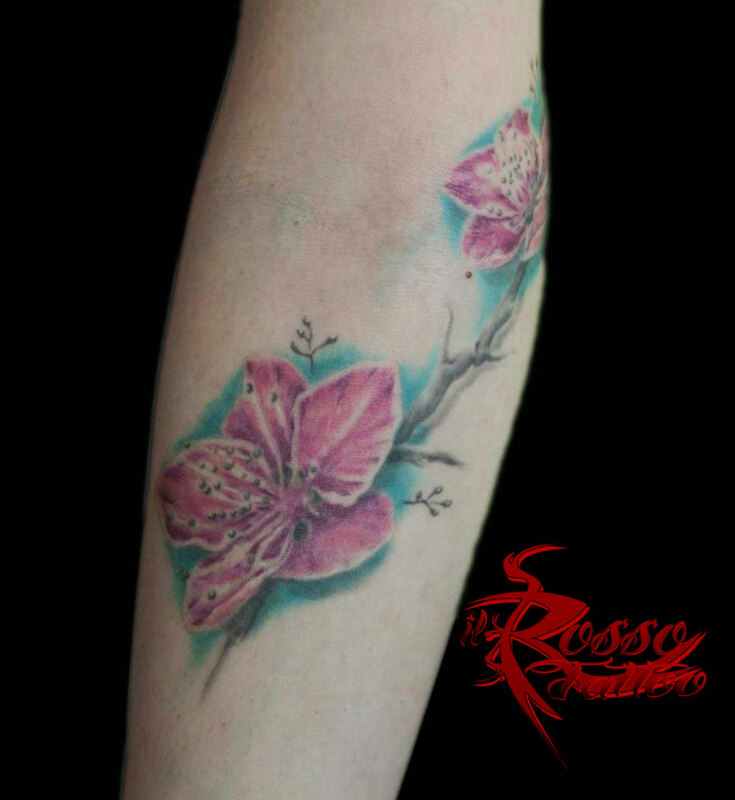 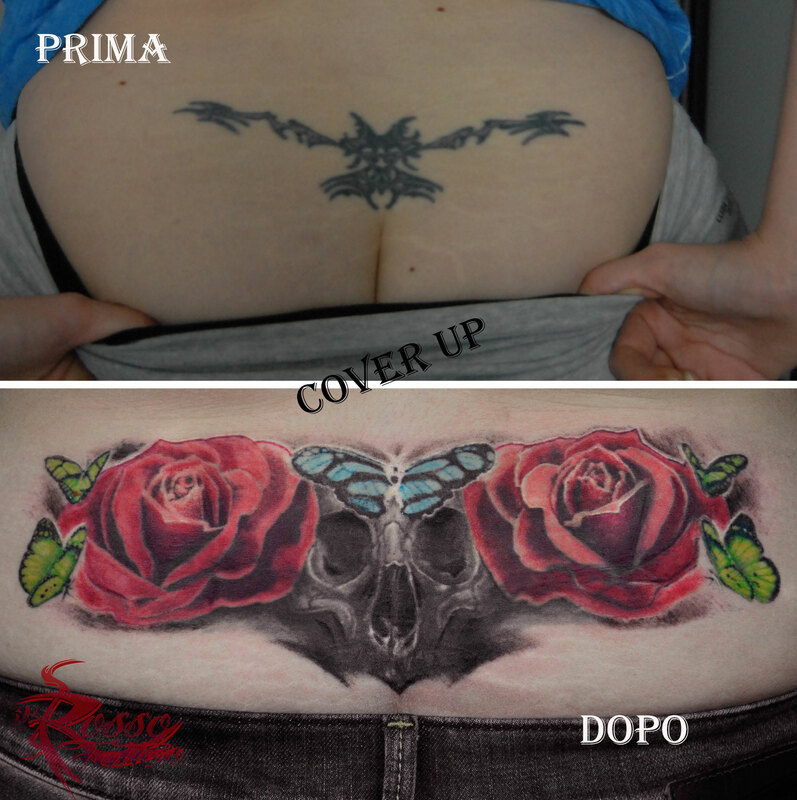 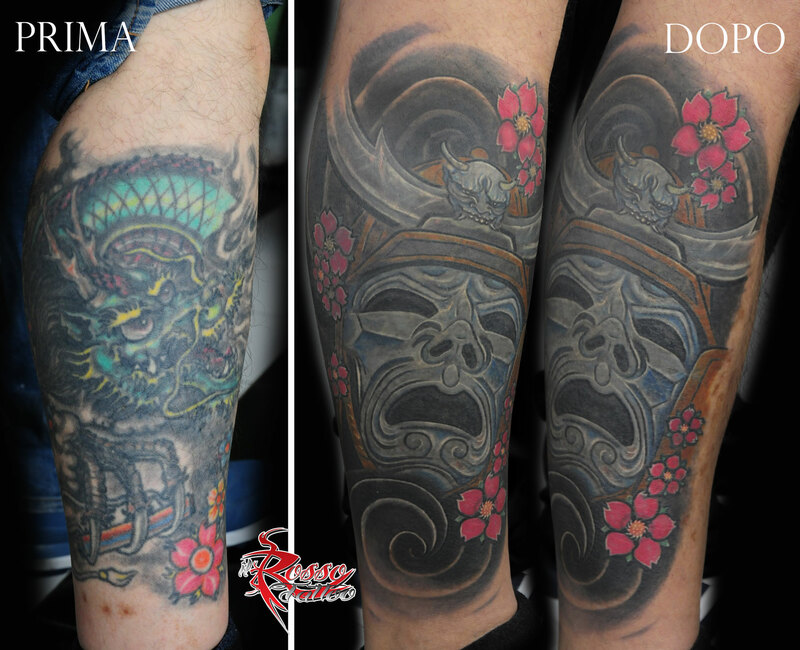 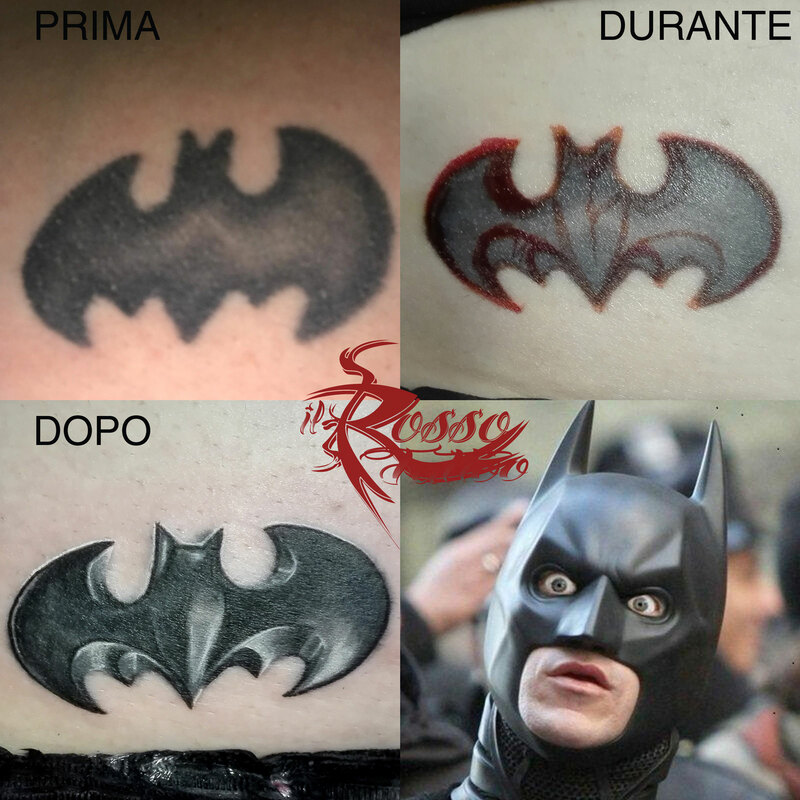 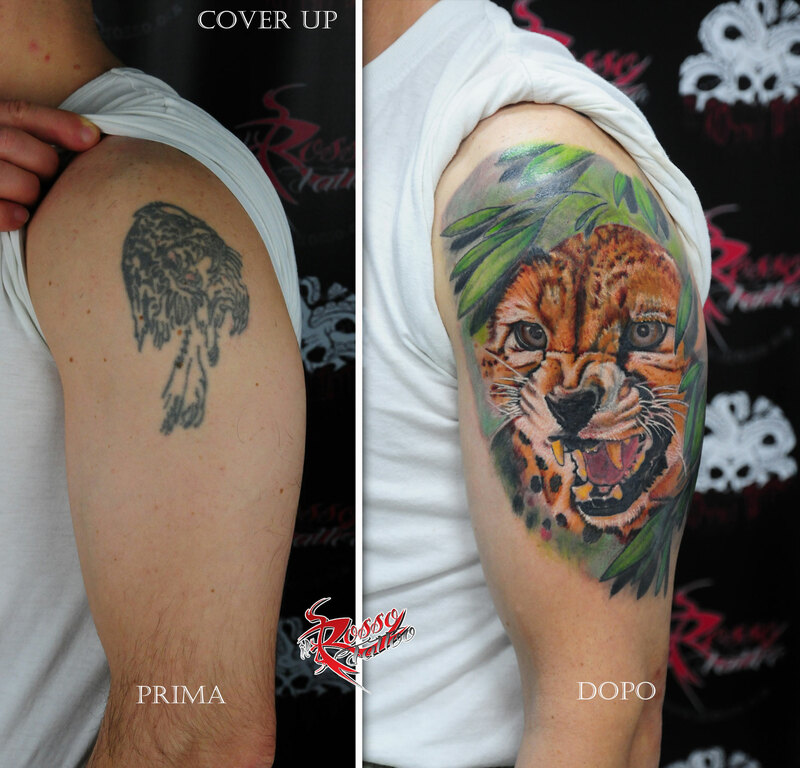 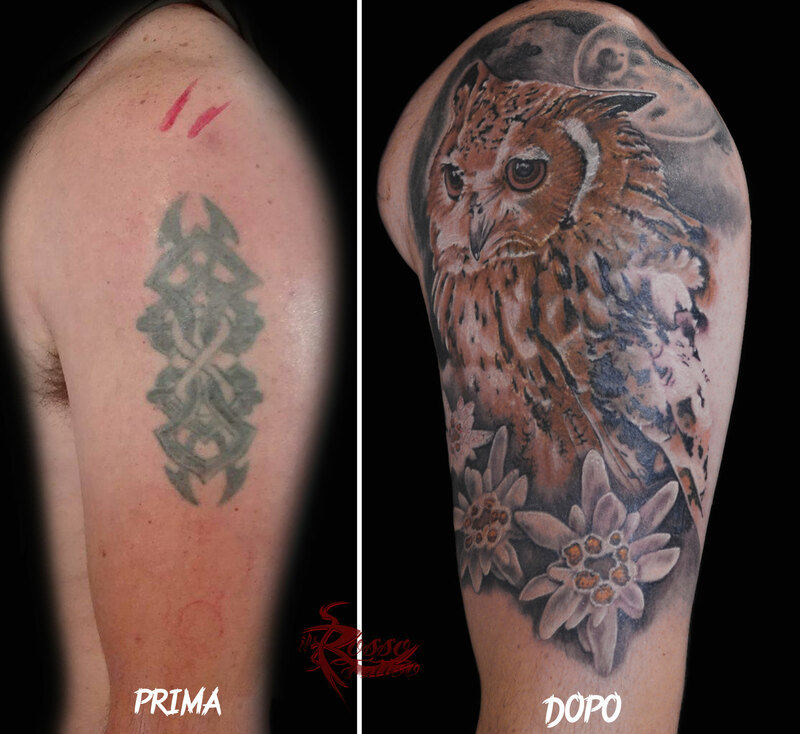 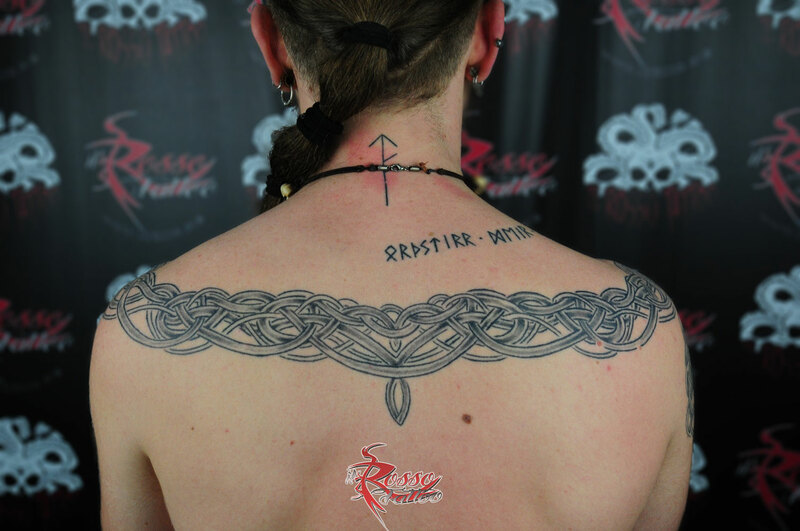 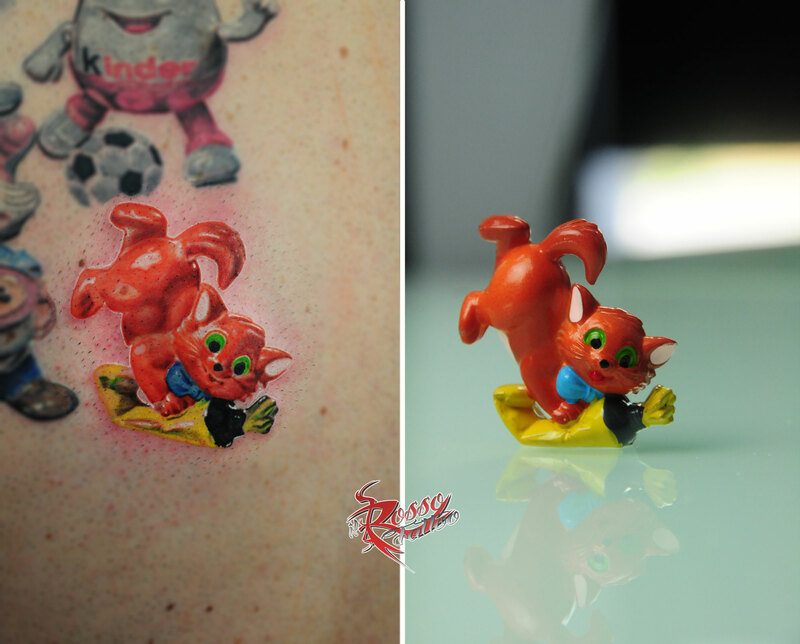 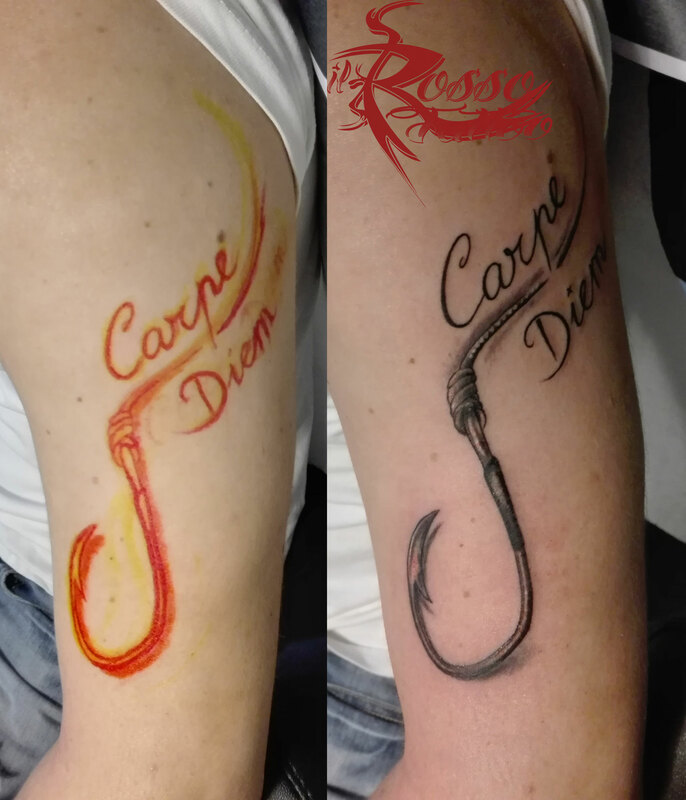 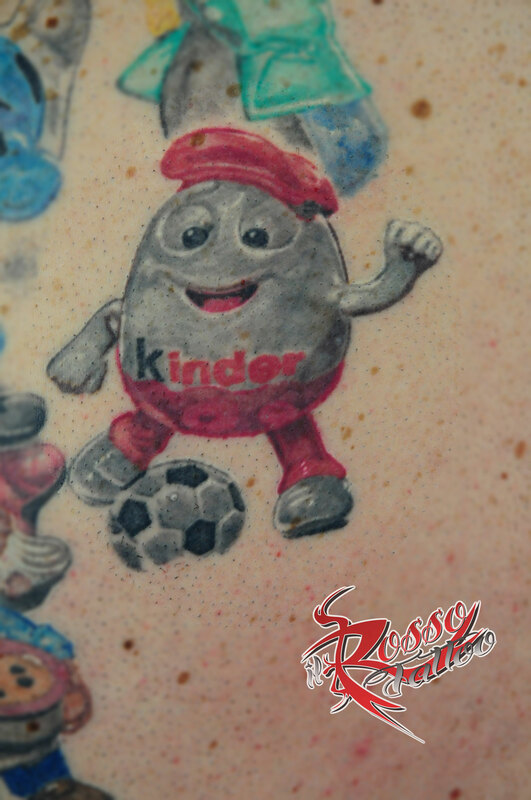 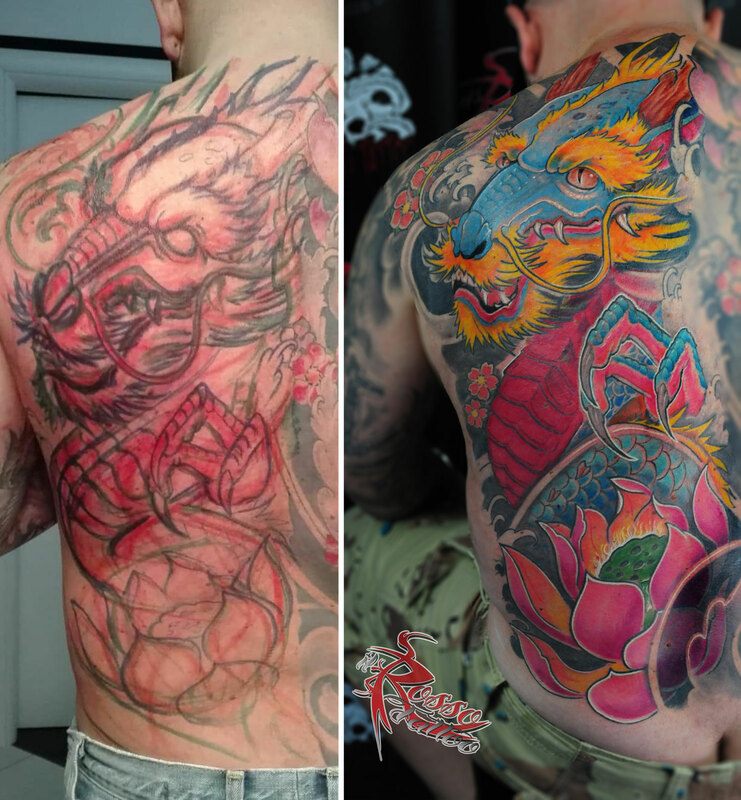 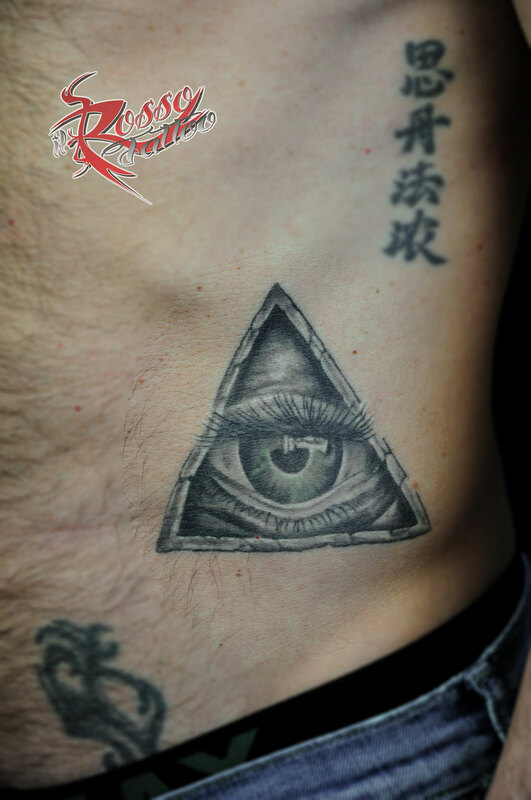 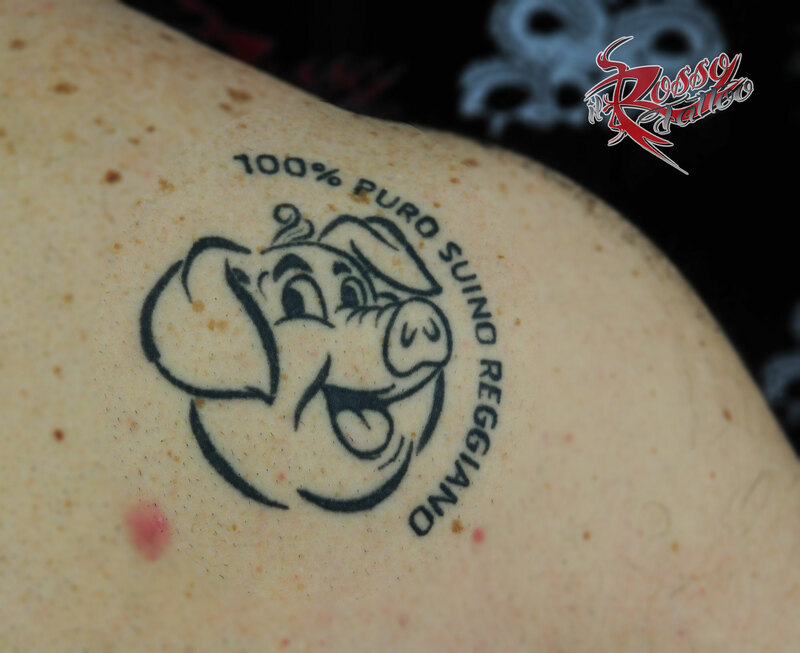 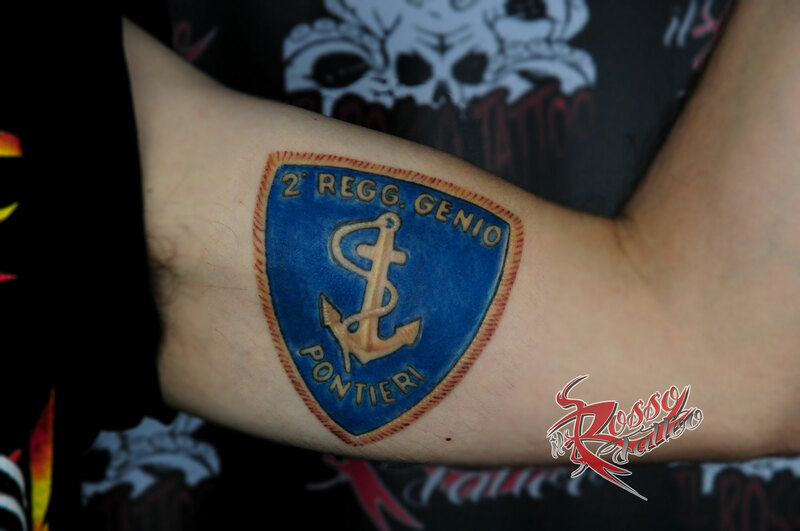 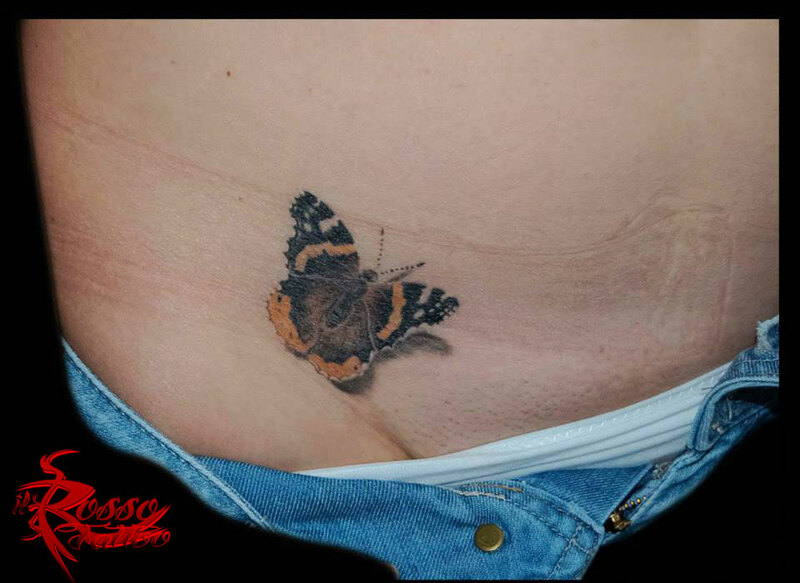 With great satisfaction since 2016 I am a rapporteur at the ausl of Parma and Piacenza to train the new tattoo artists and piercers. 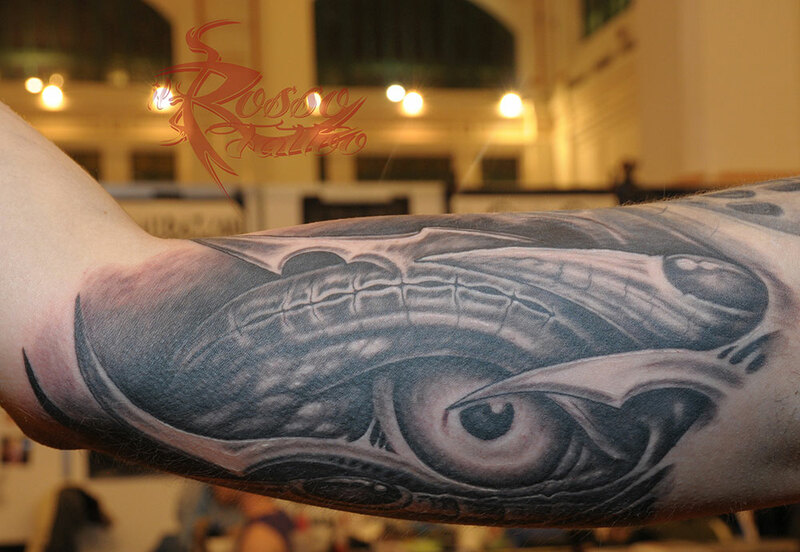 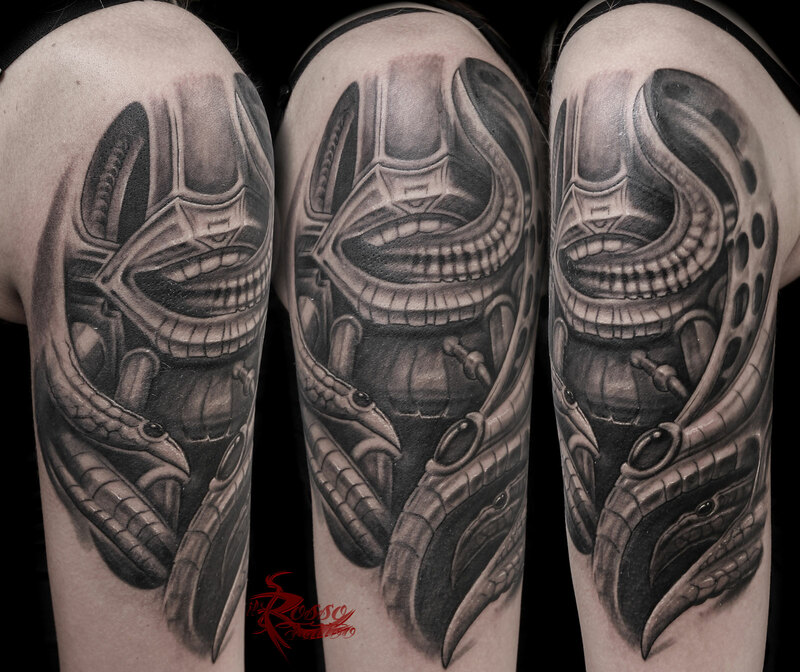 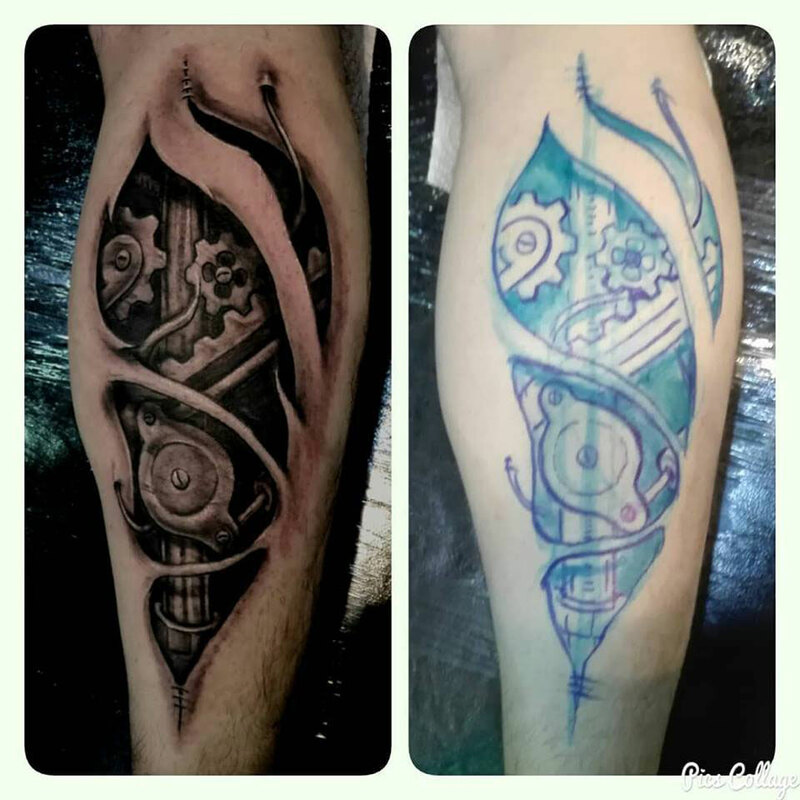 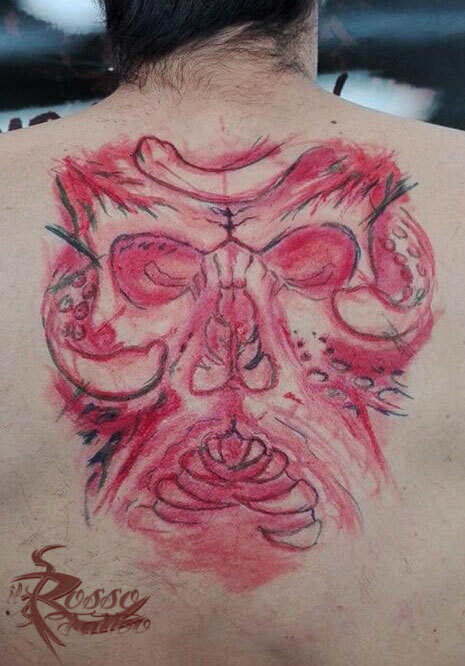 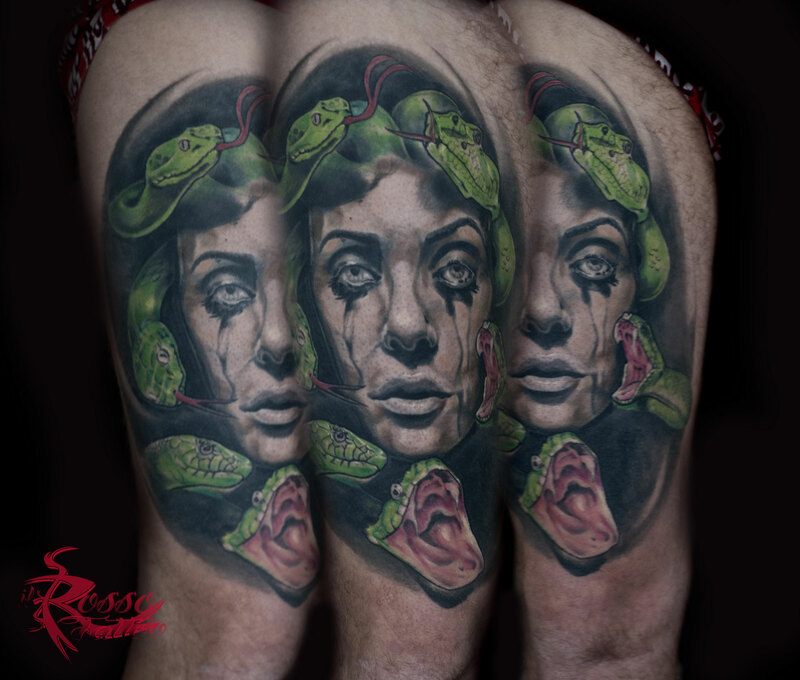 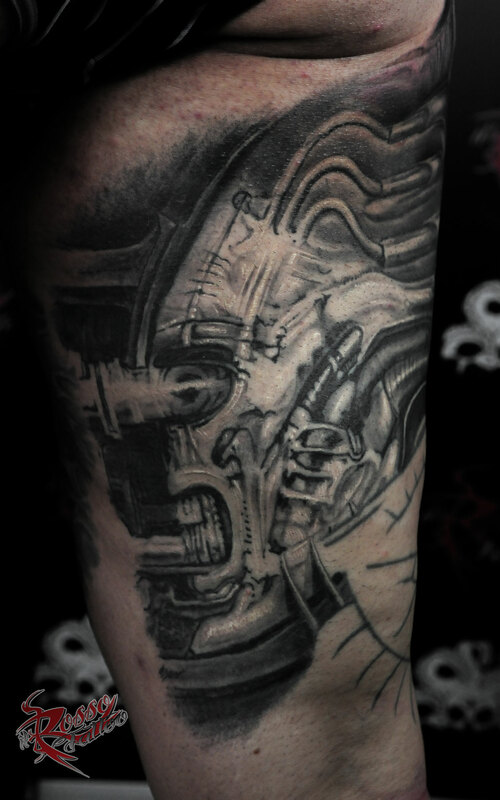 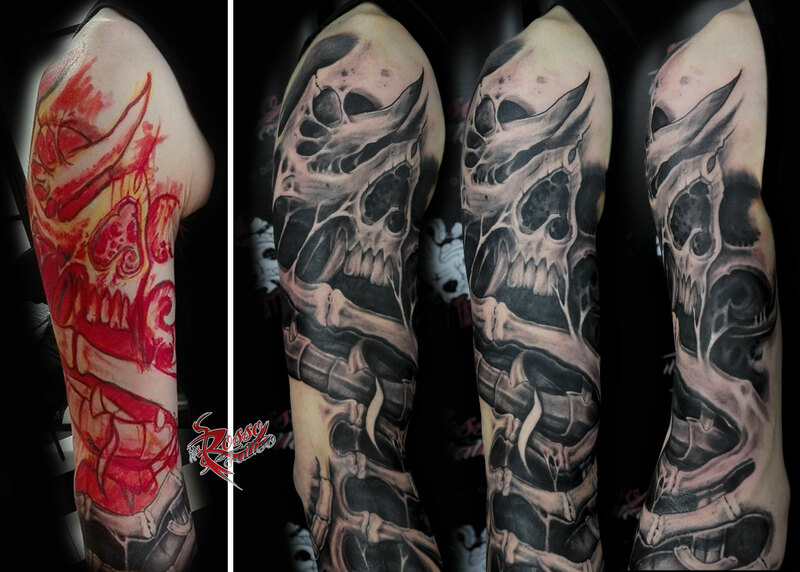 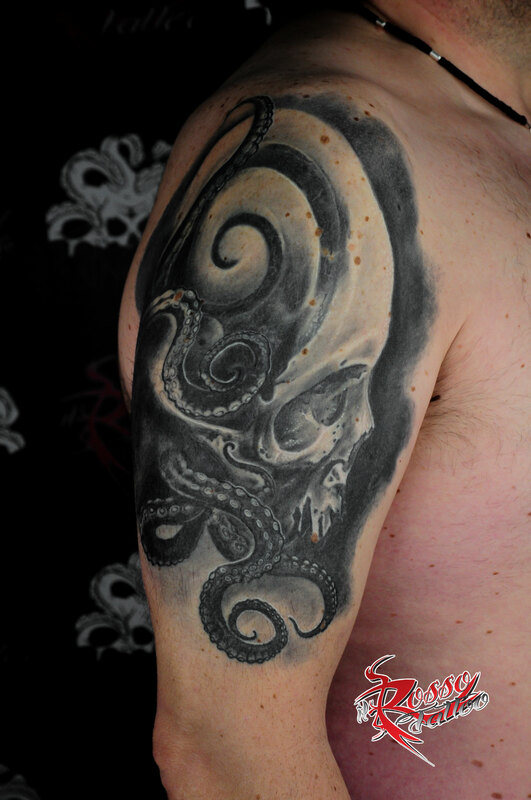 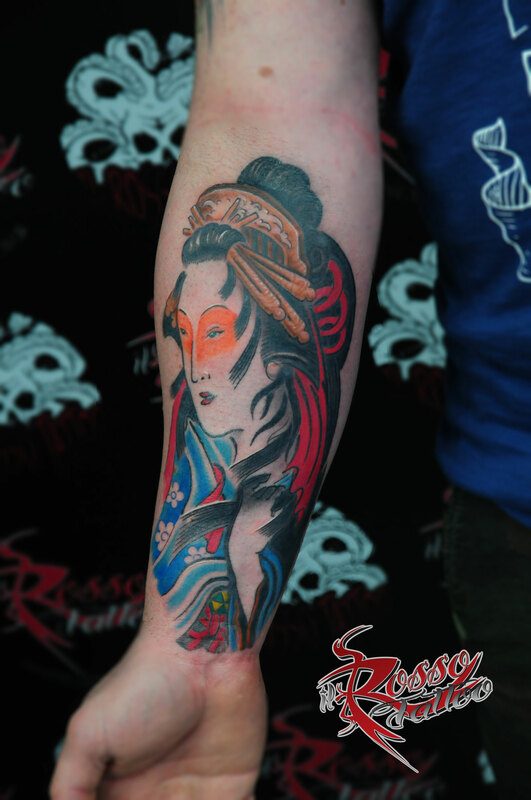 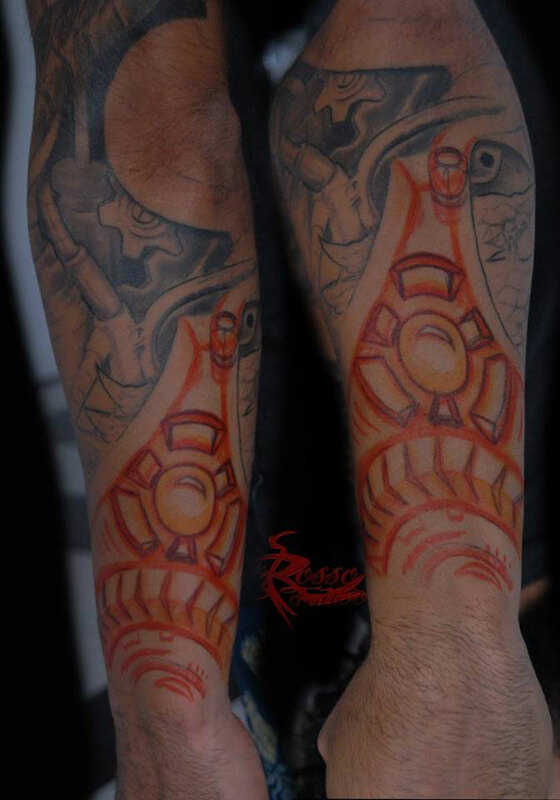 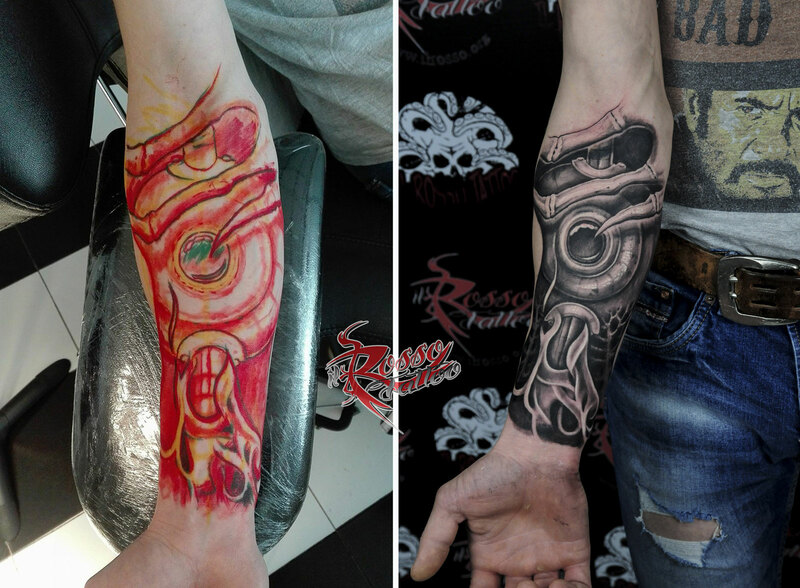 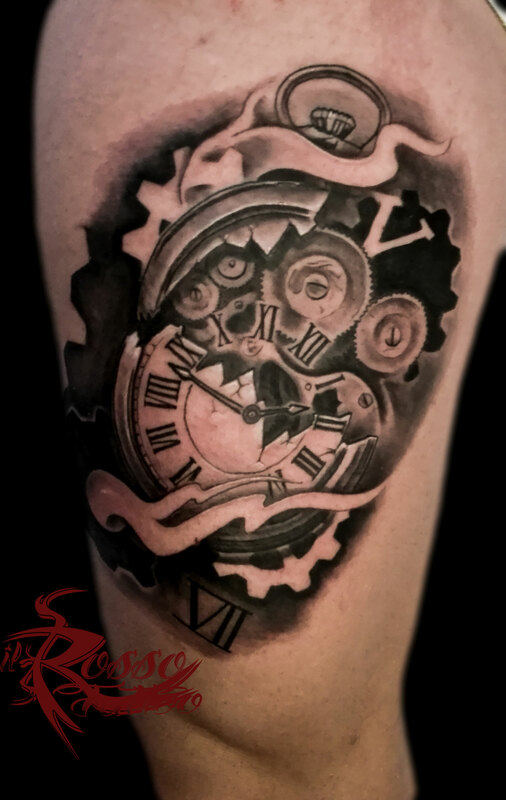 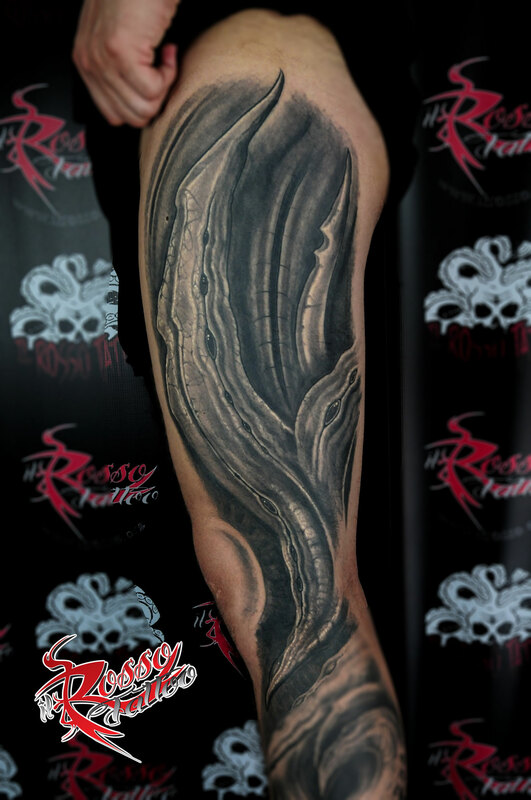 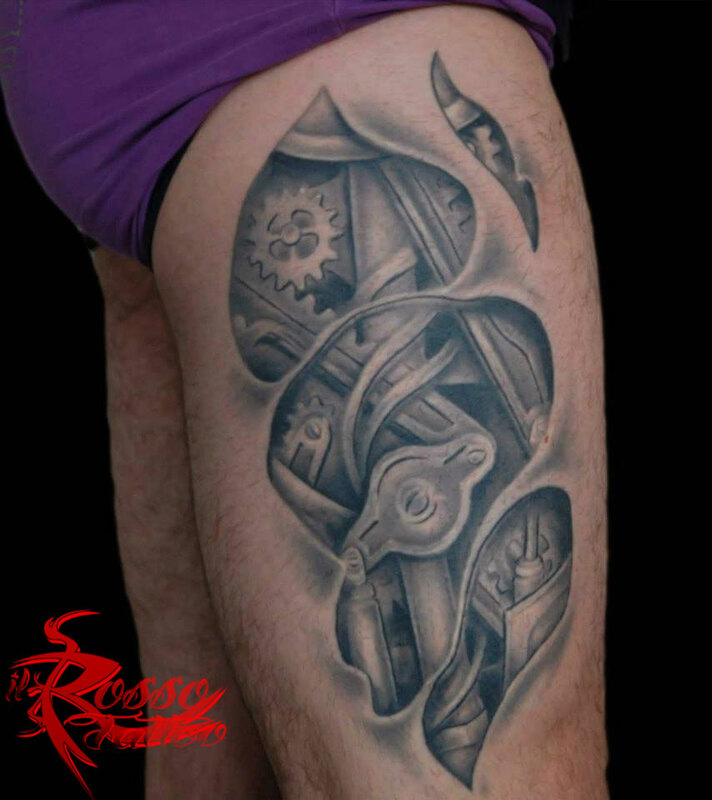 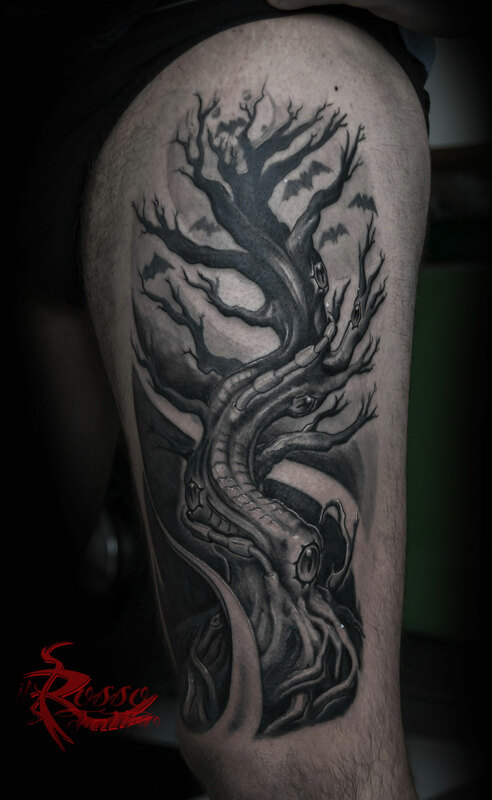 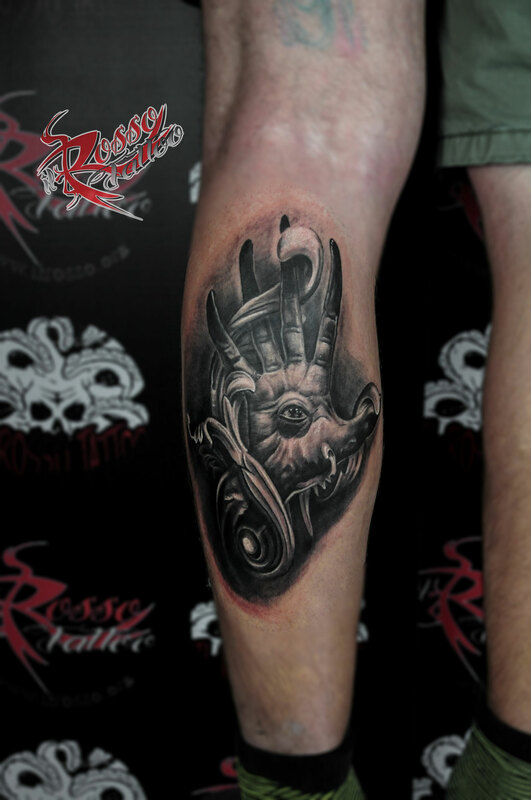 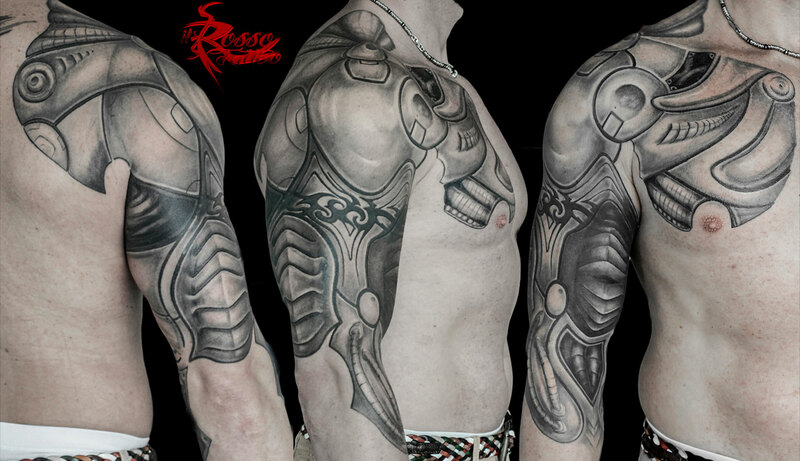 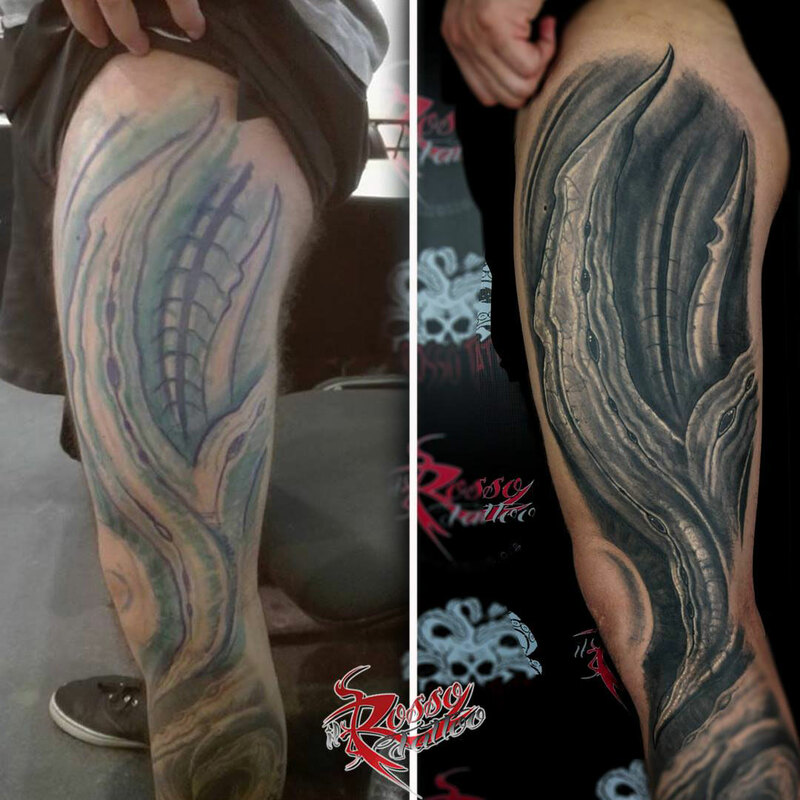 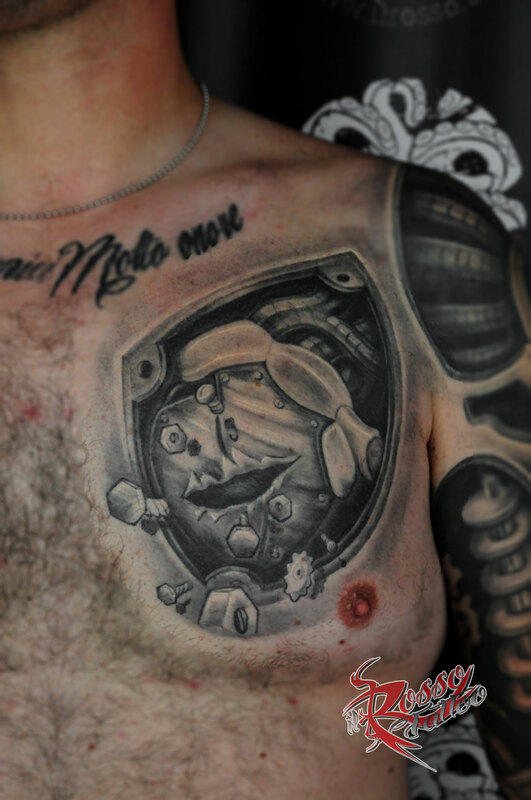 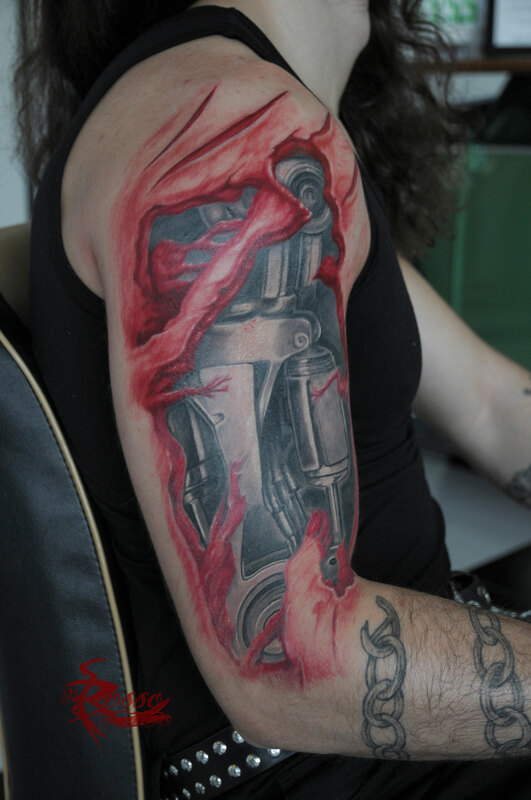 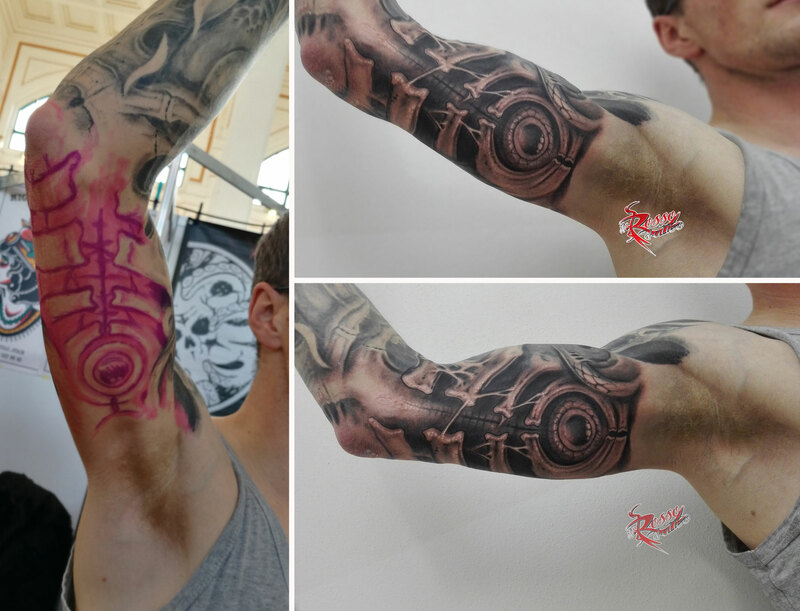 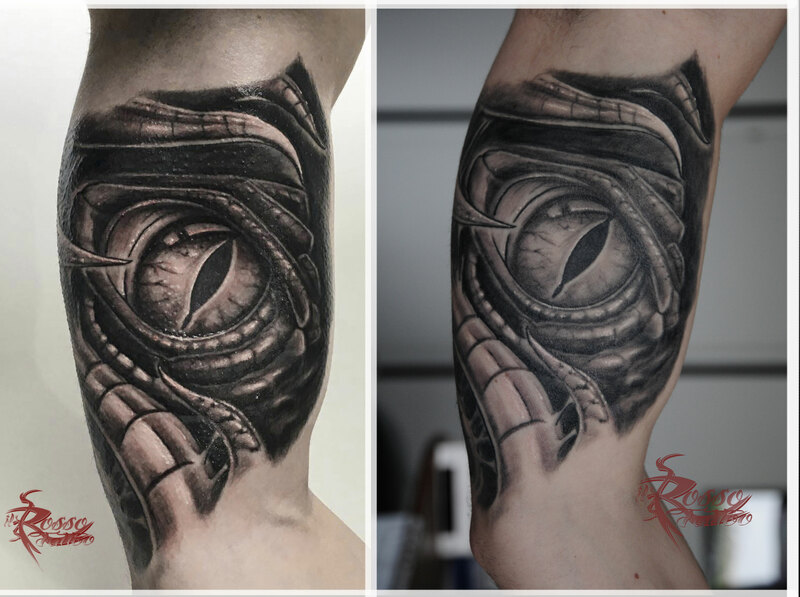 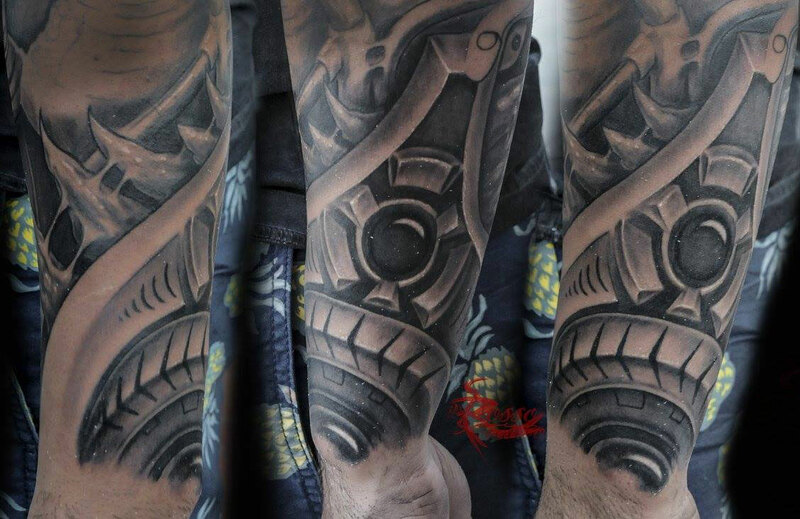 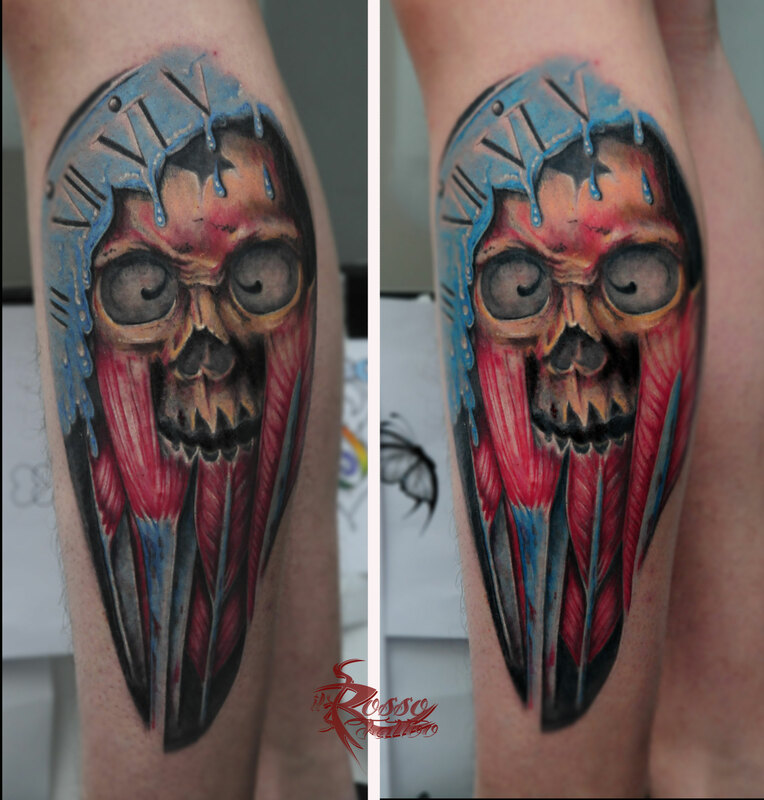 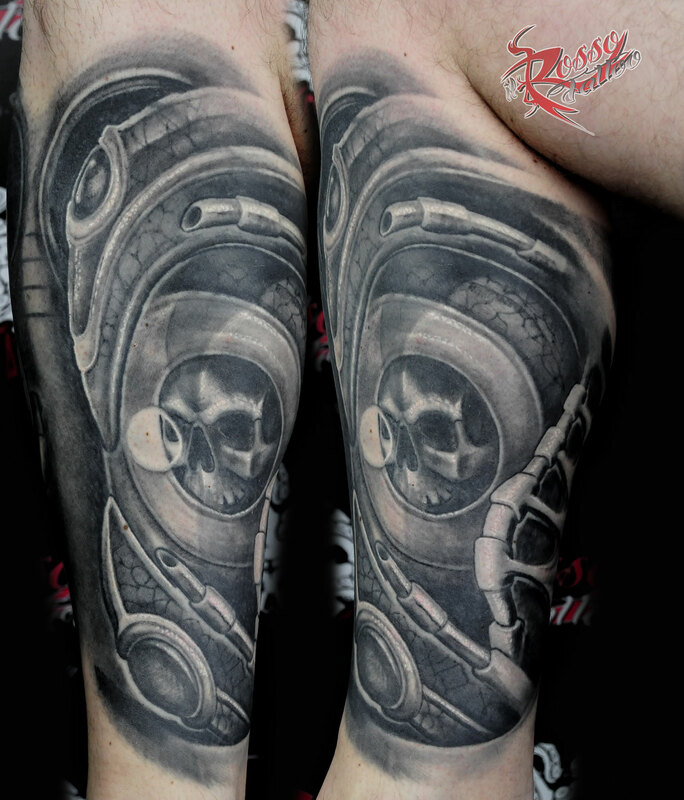 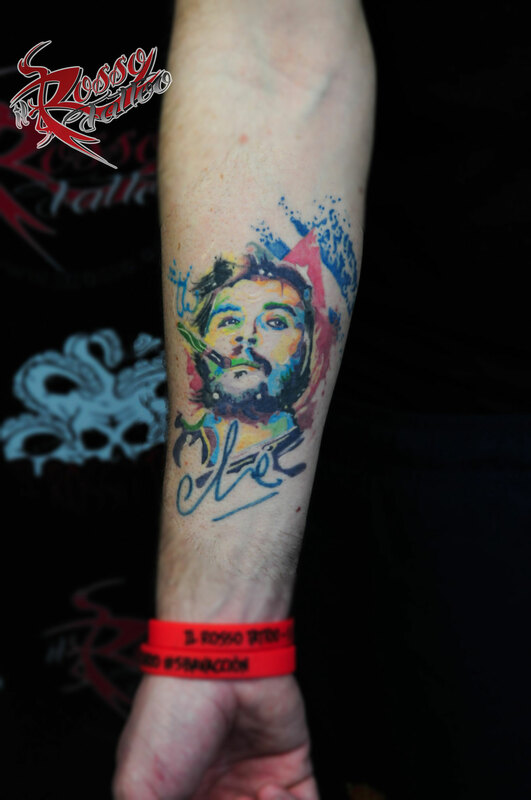 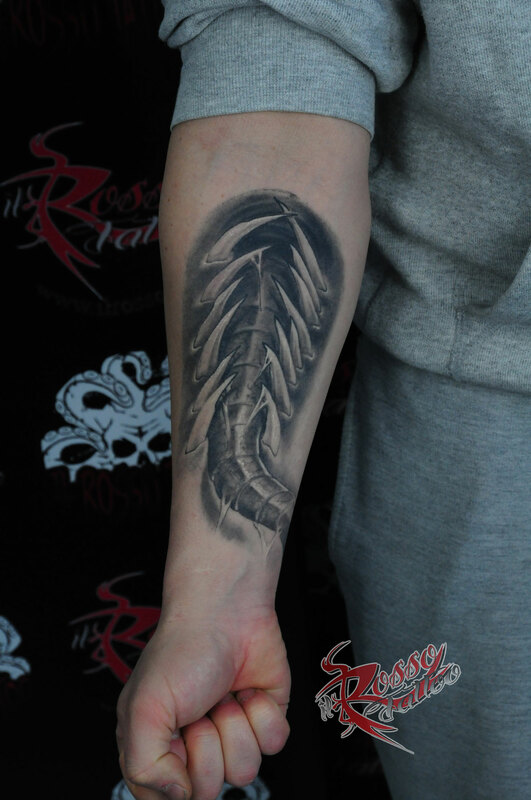 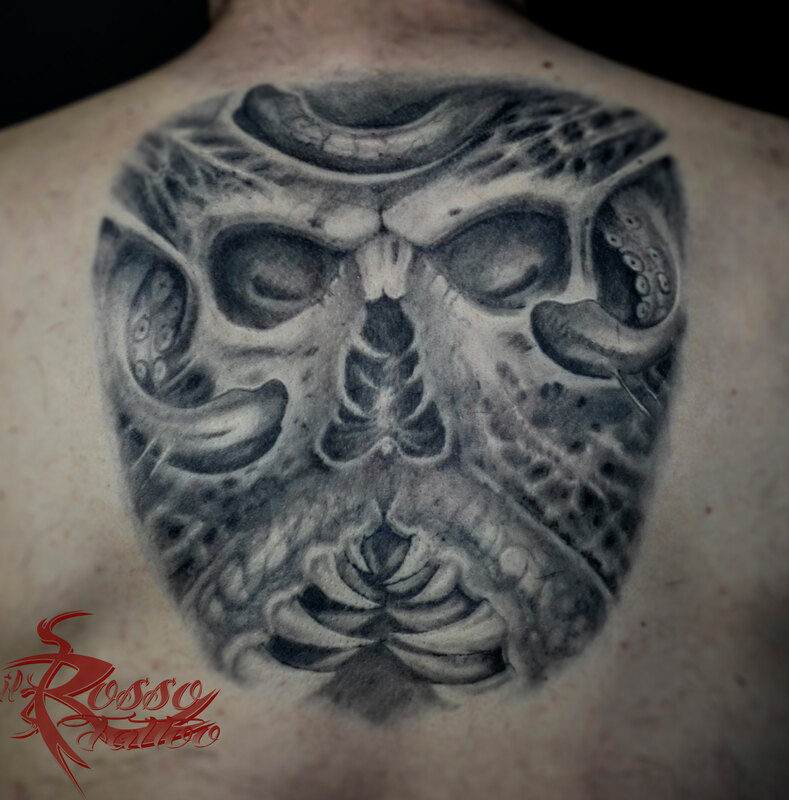 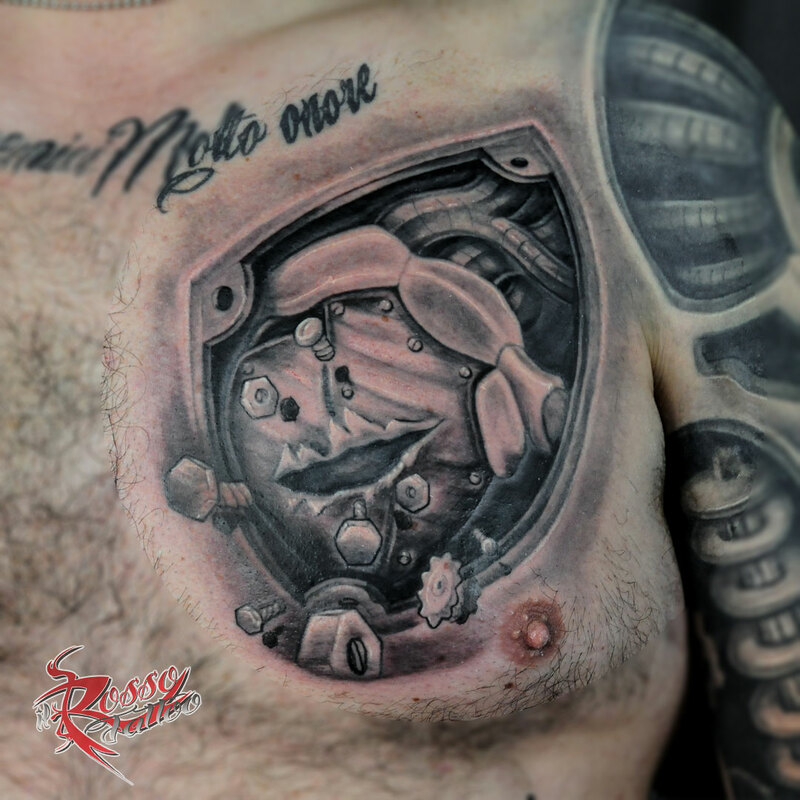 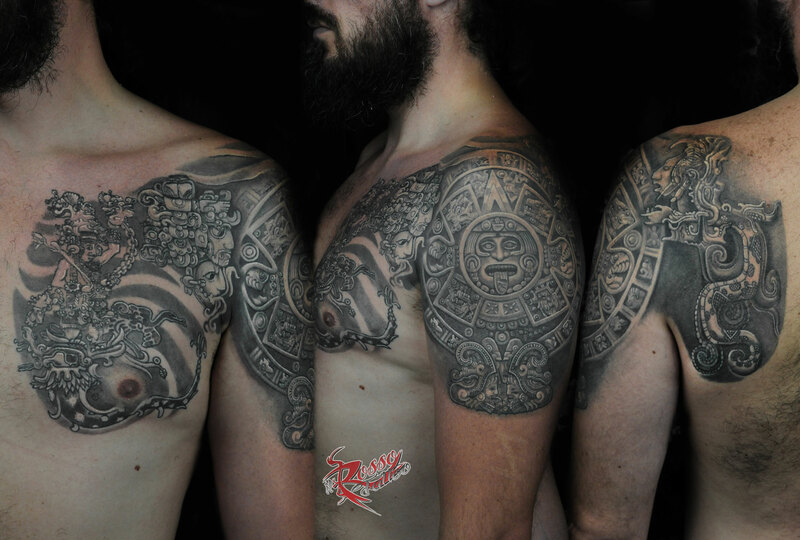 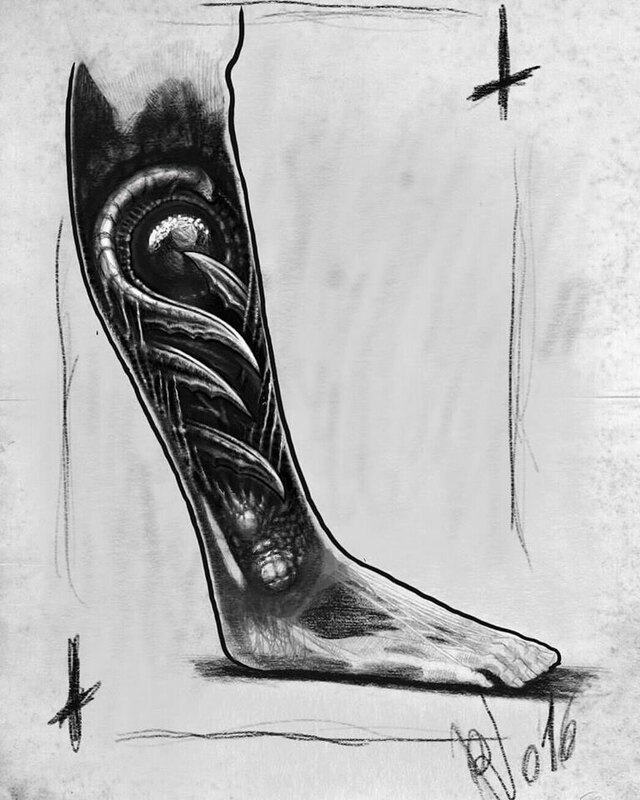 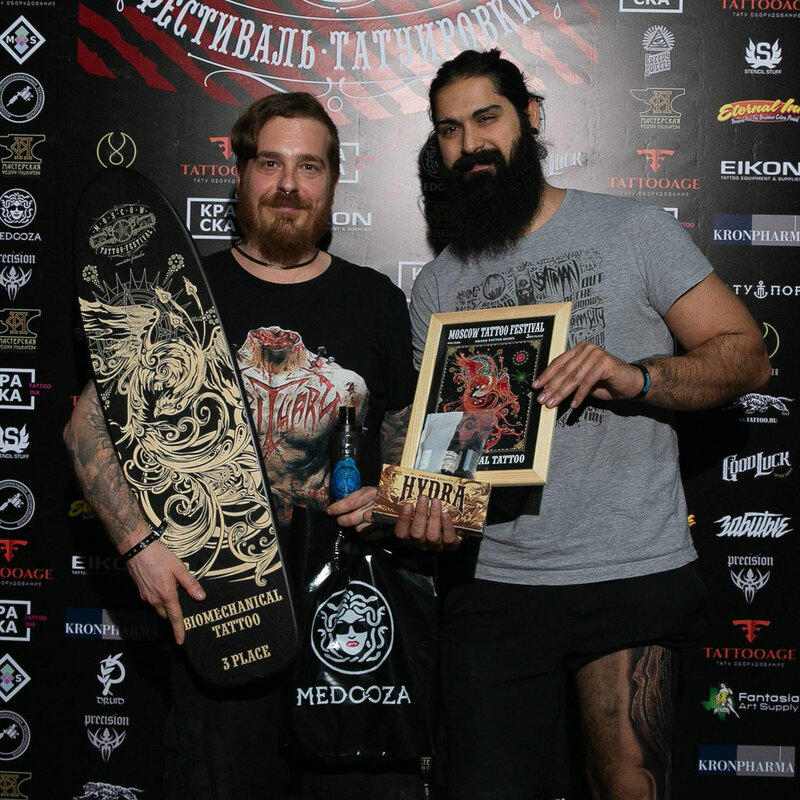 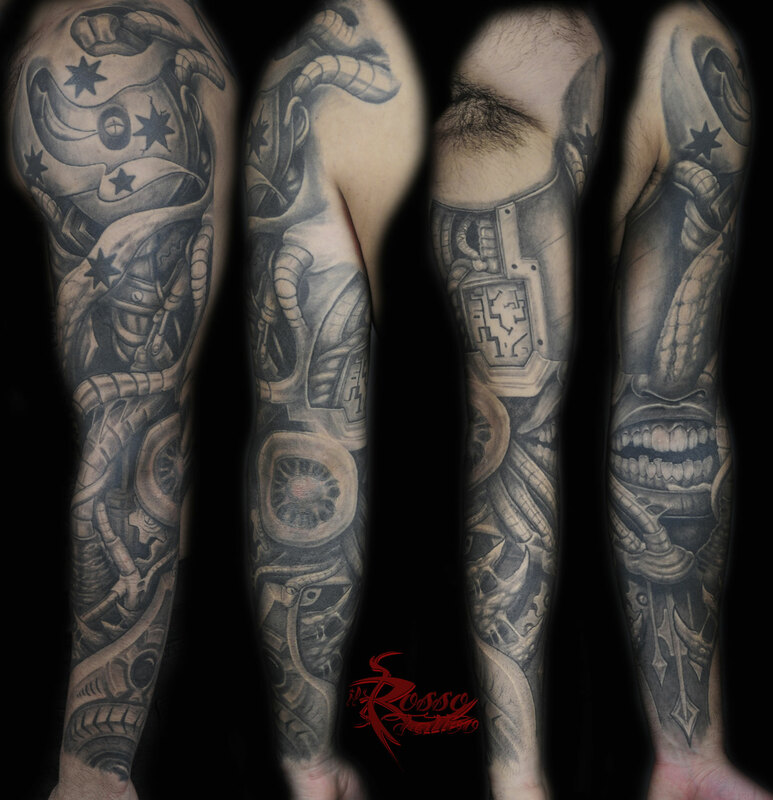 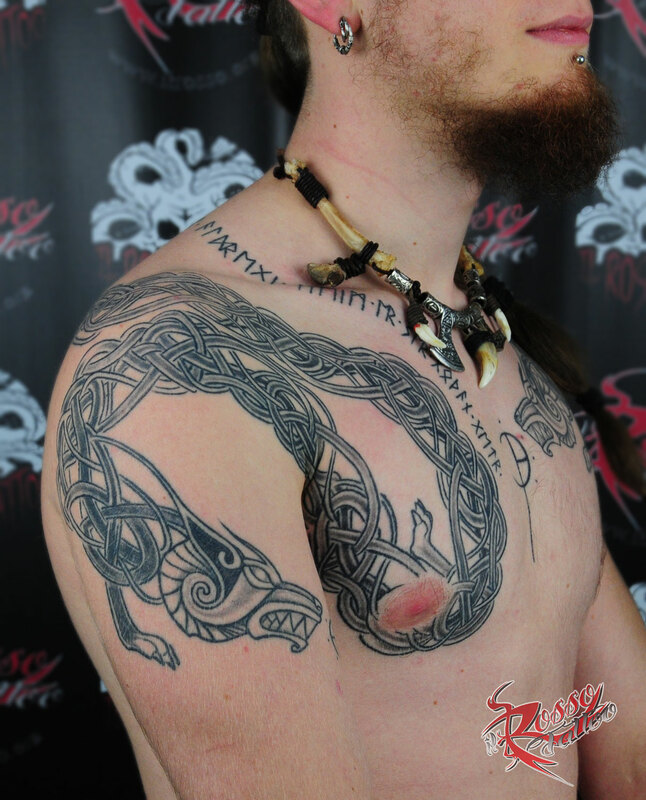 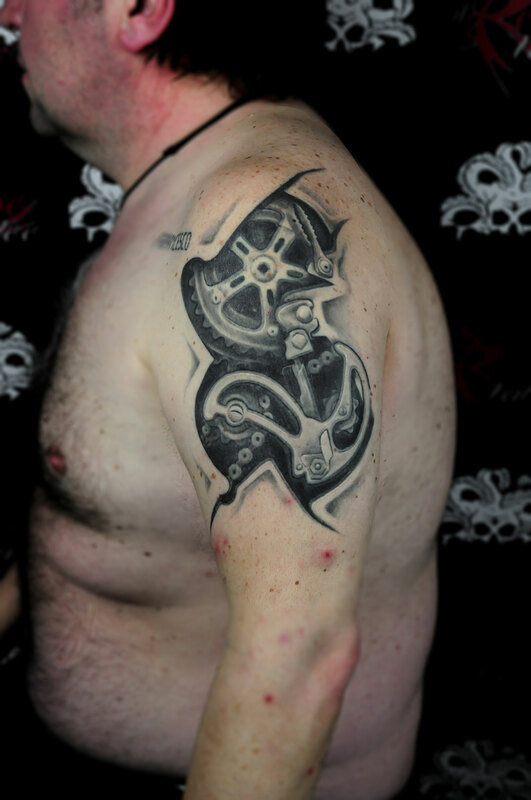 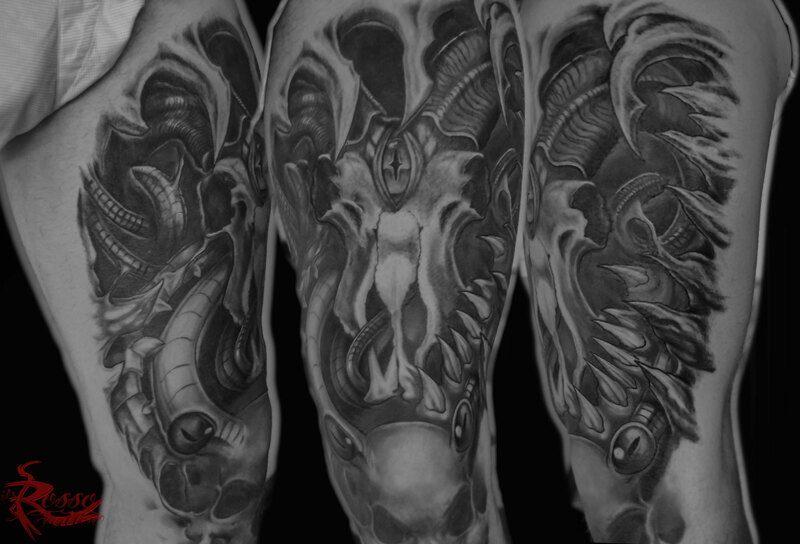 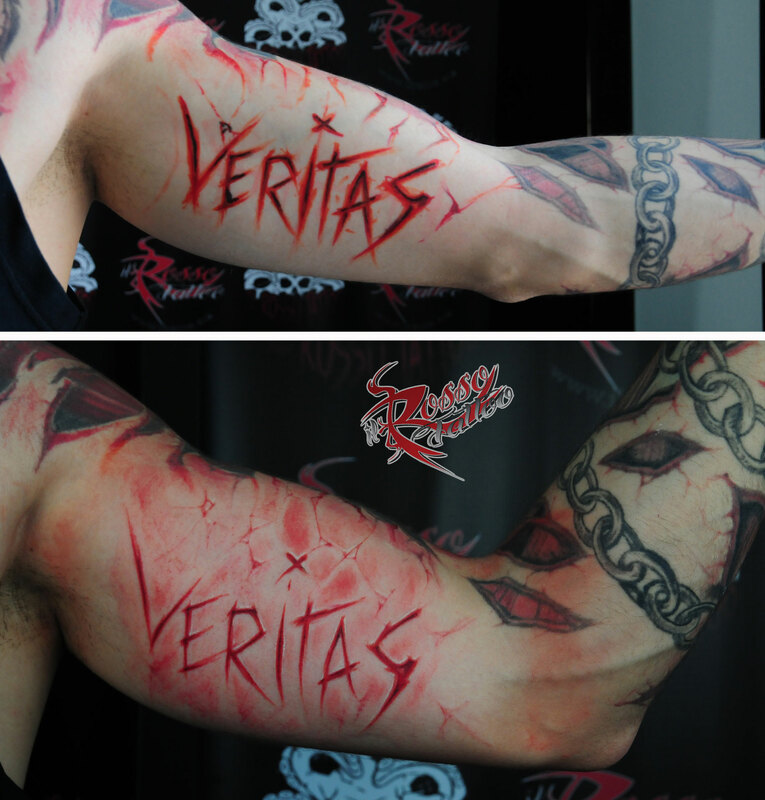 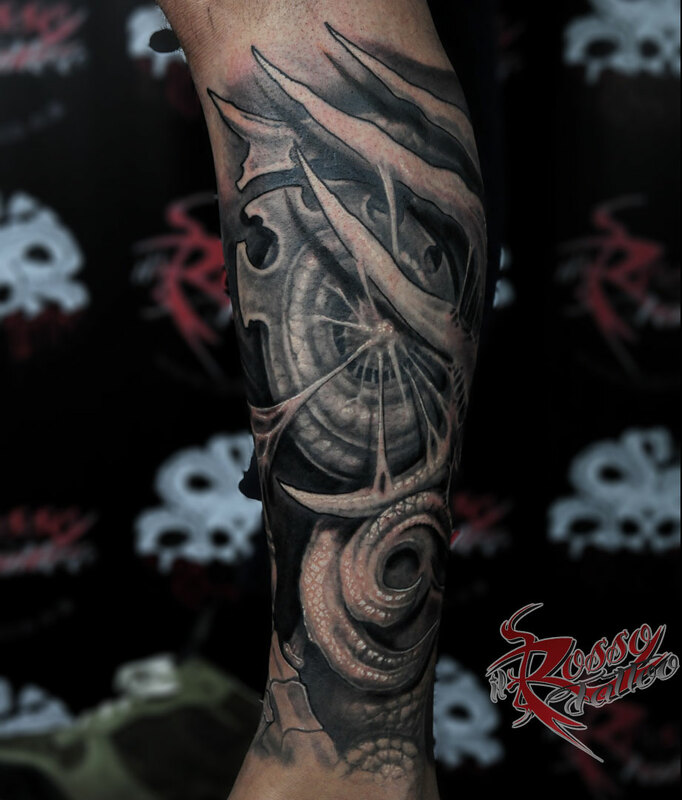 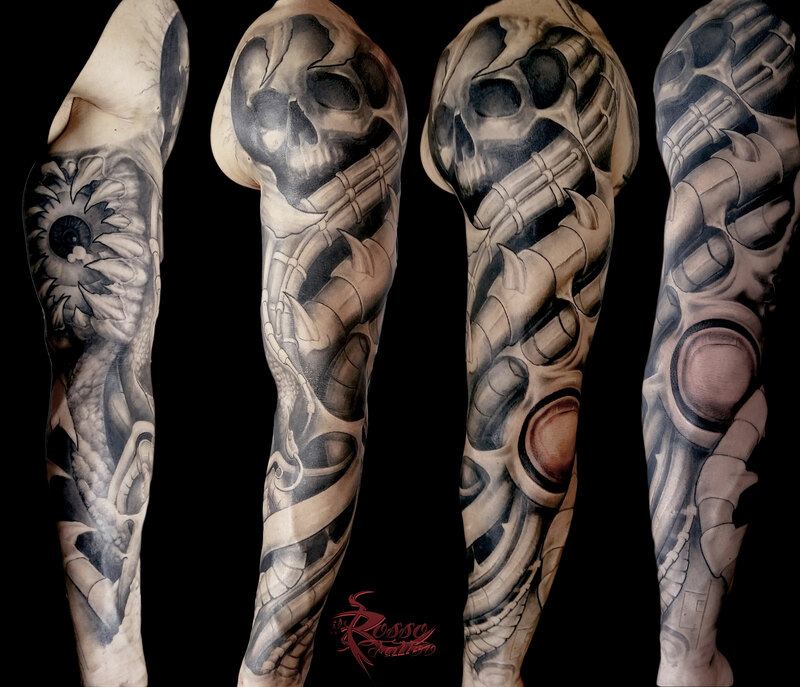 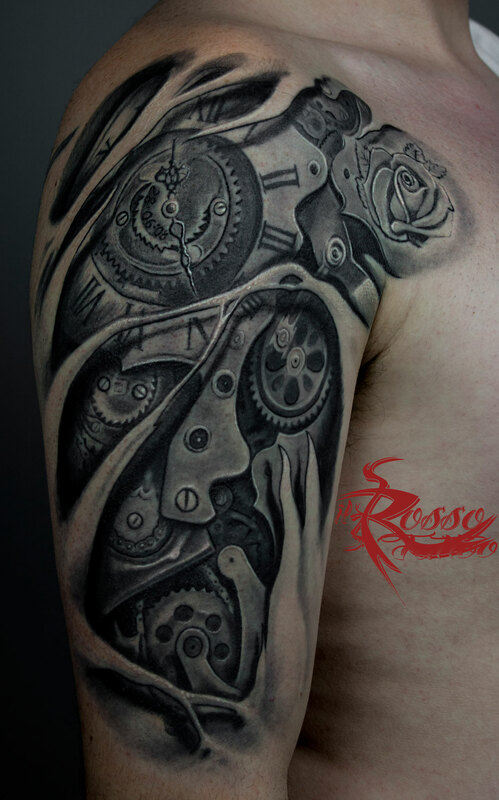 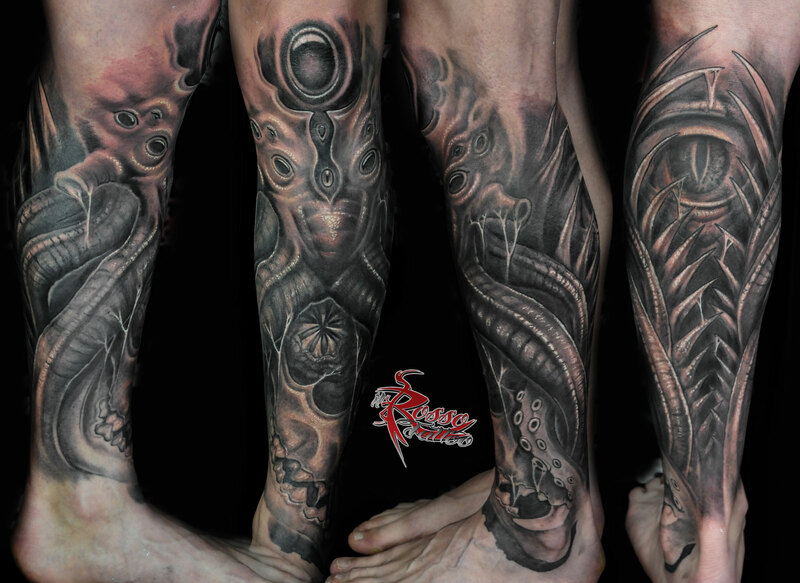 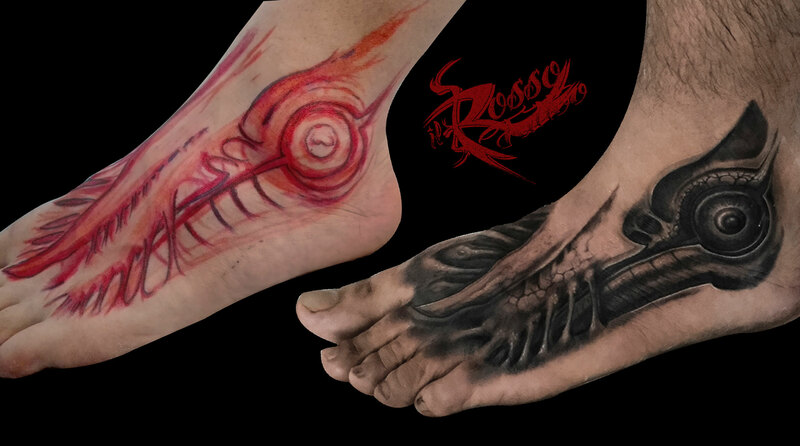 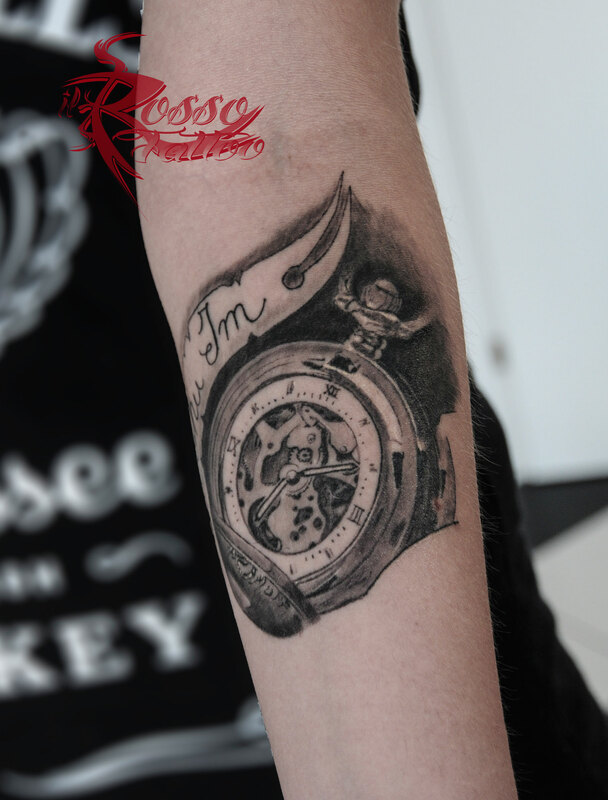 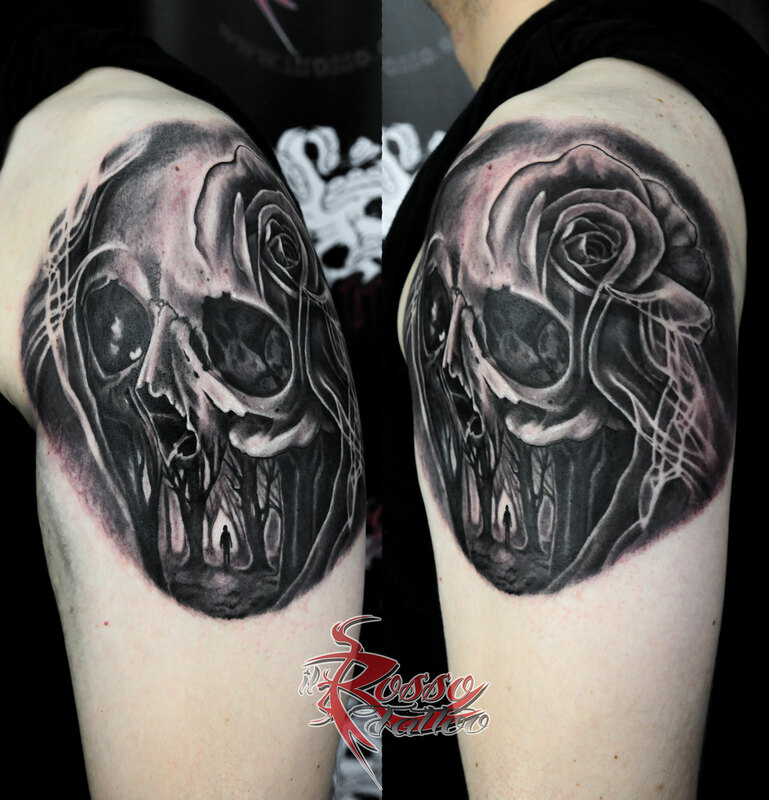 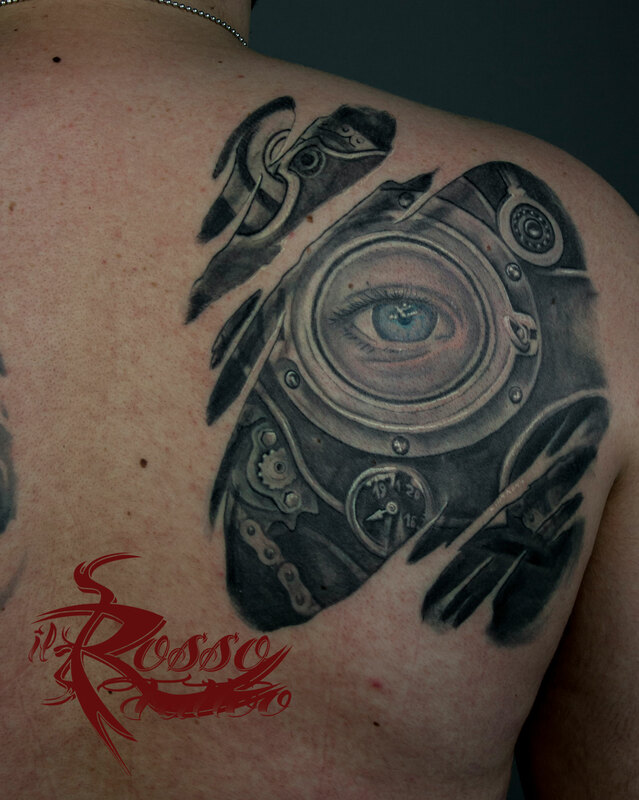 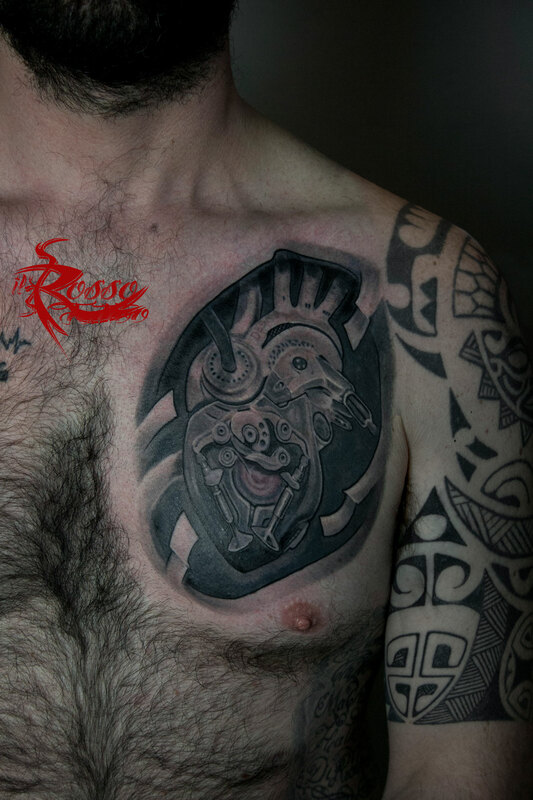 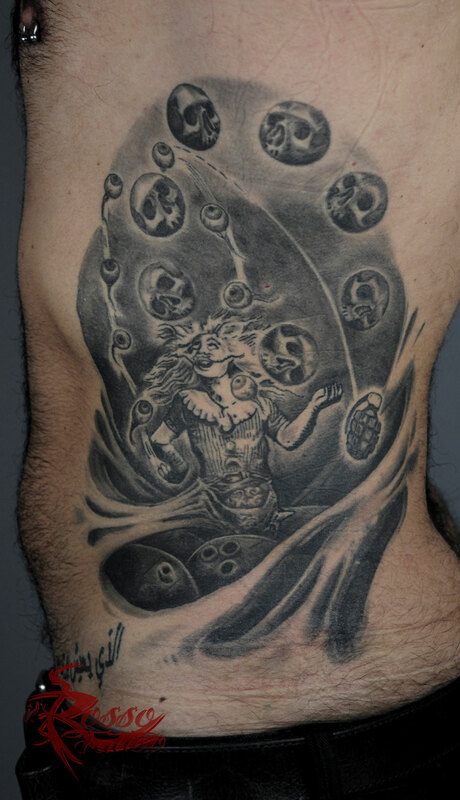 In 2018 I won the third prize at the Moscow Tattoo Convention as “Best Biomechanical Tattoo”.